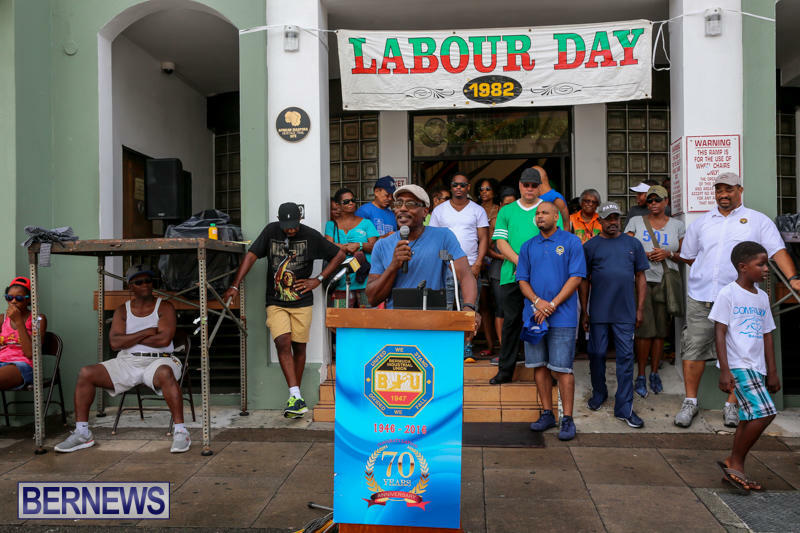 Labour Day celebrations took place today [Sept 5], including a walk and races beginning early this morning, followed by speeches from Union leaders and a march through the streets of Hamilton. 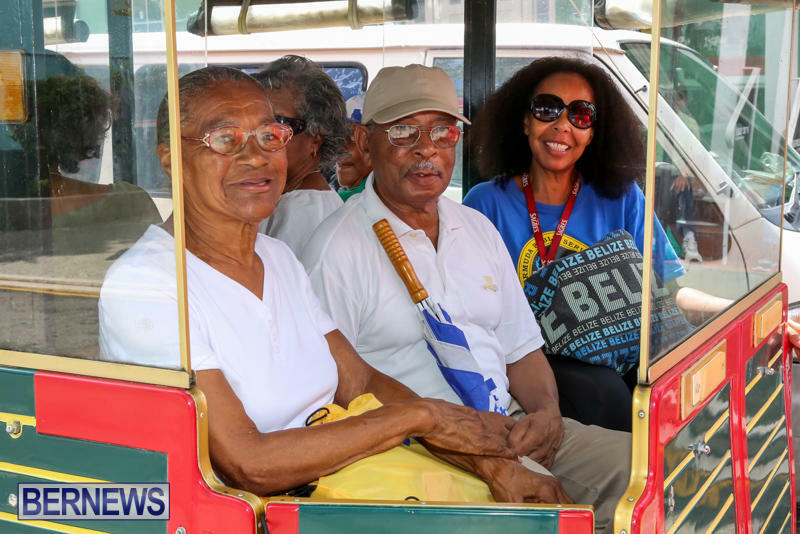 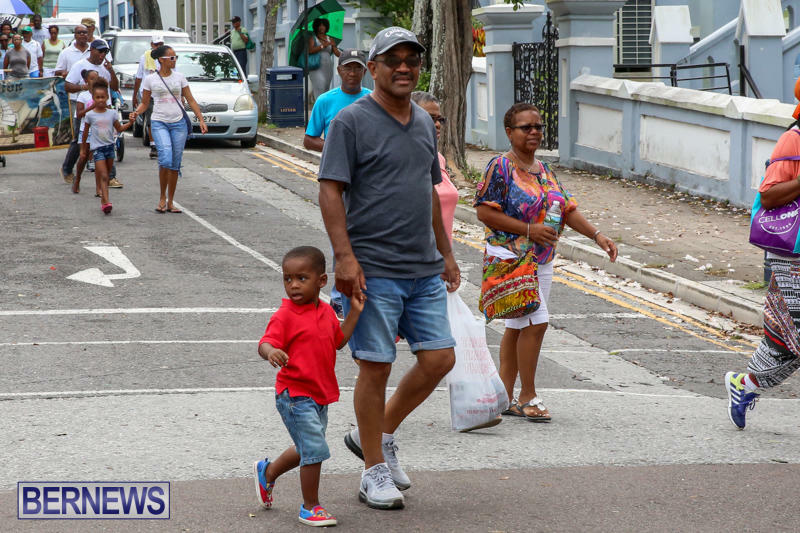 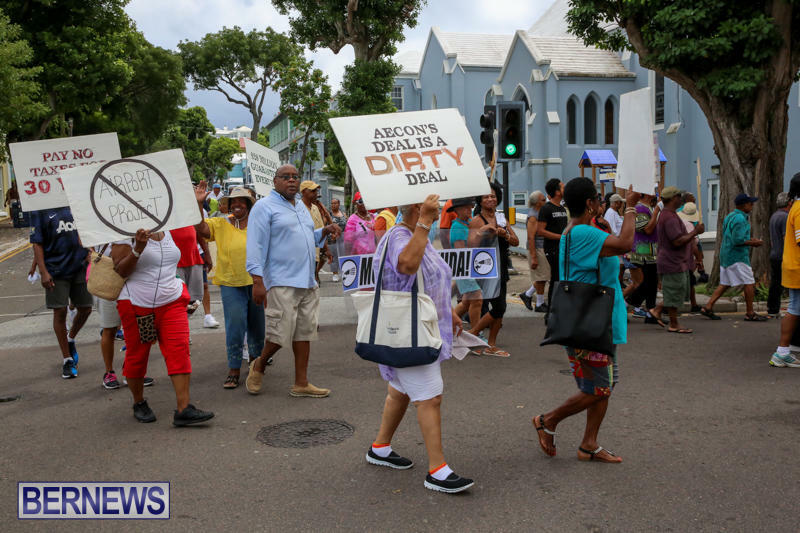 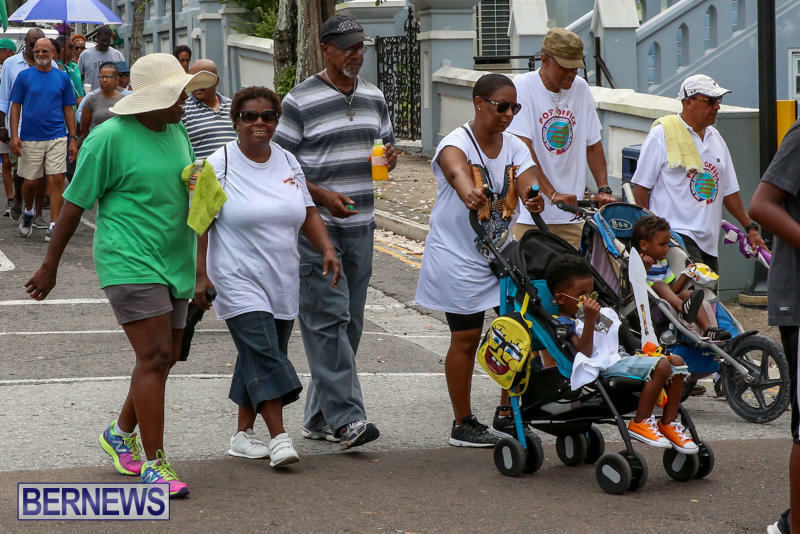 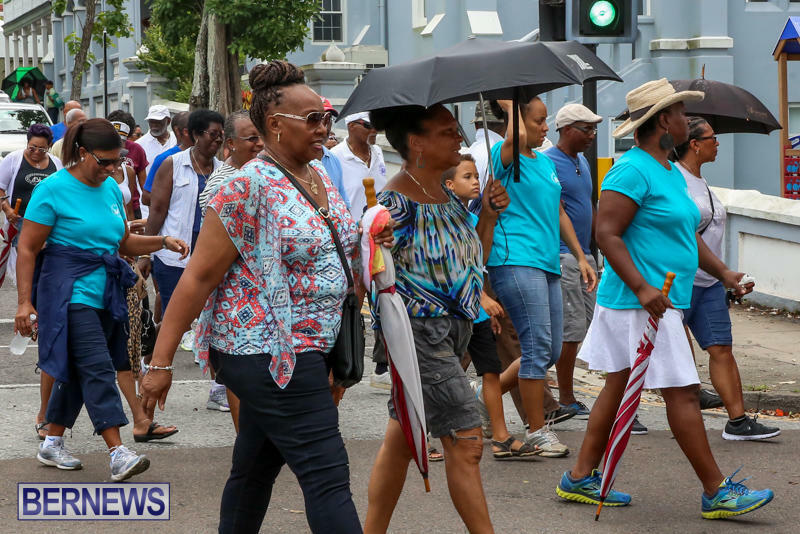 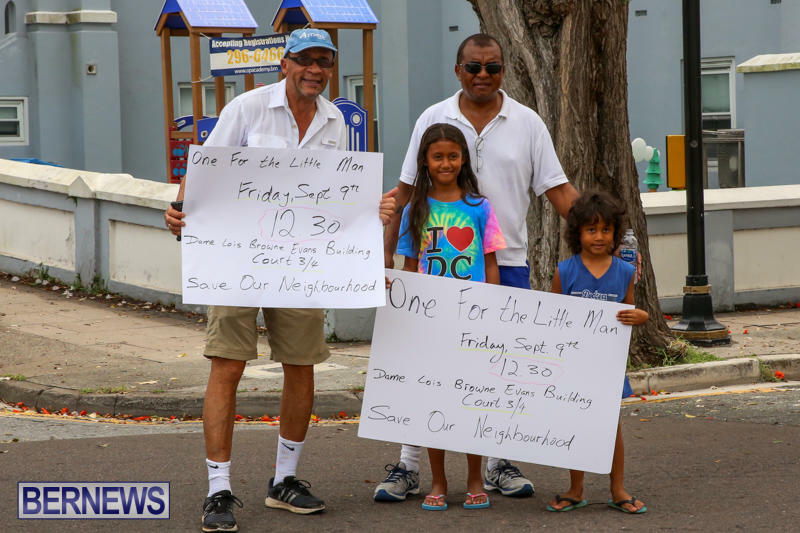 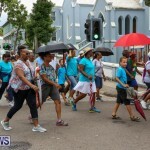 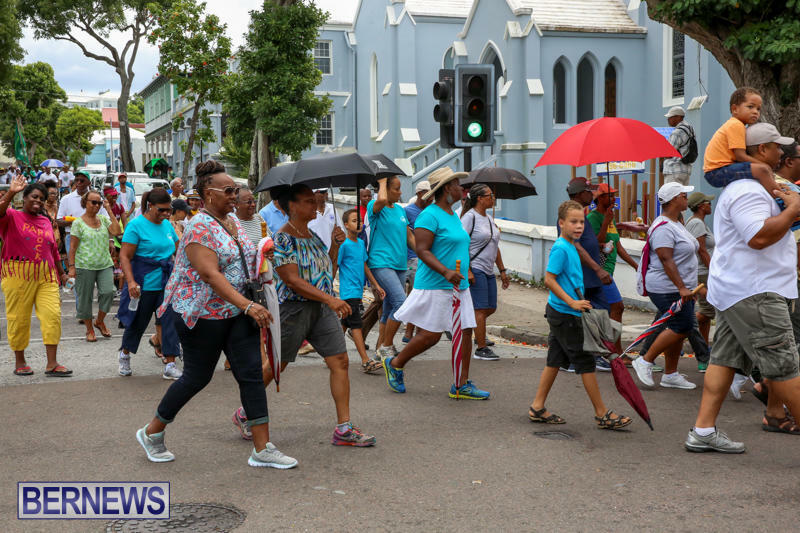 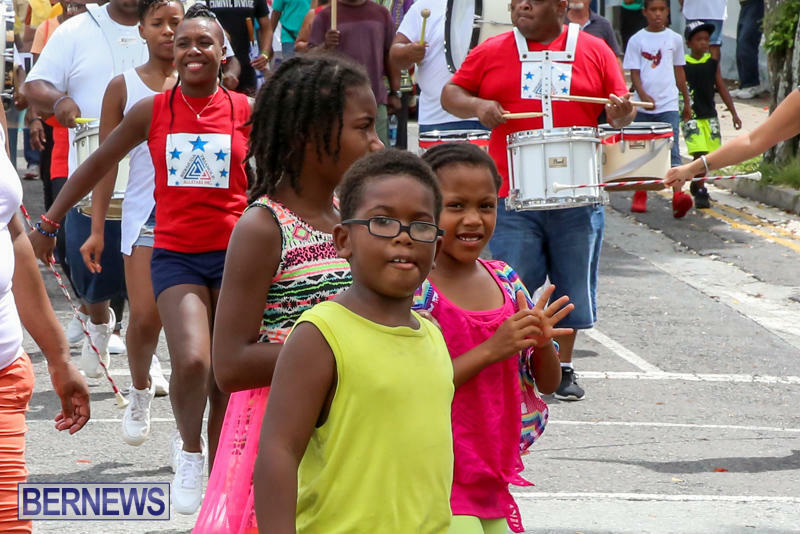 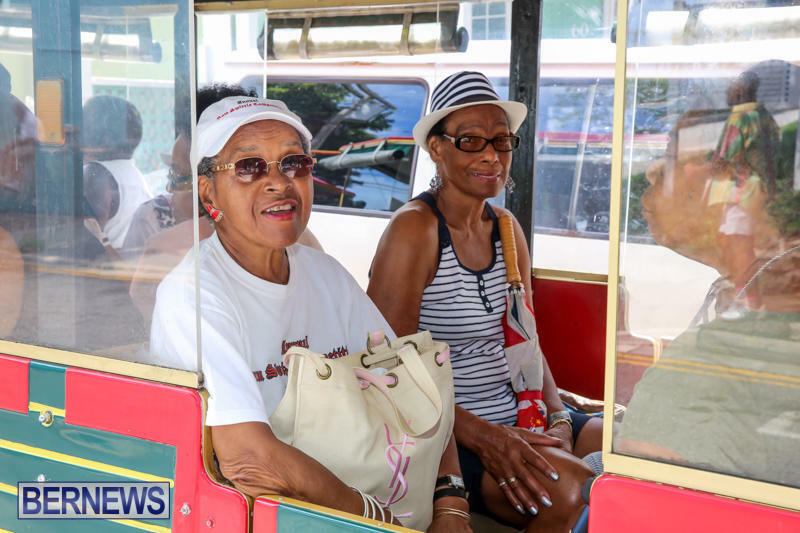 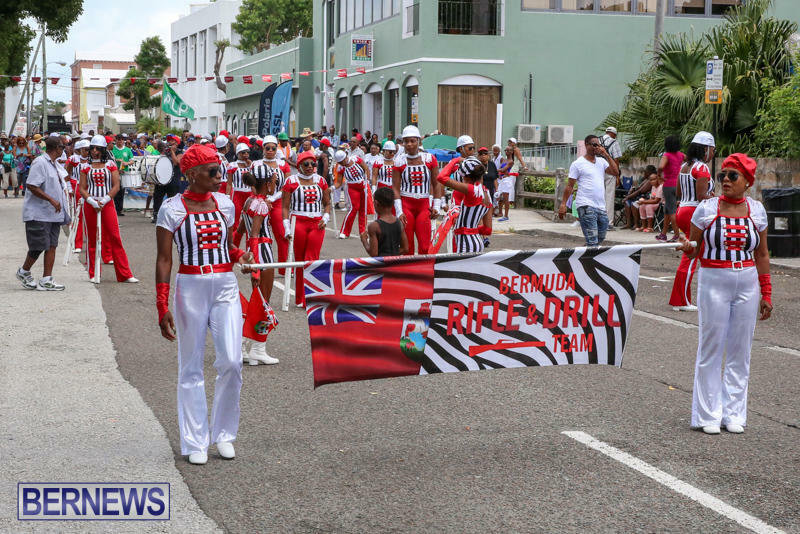 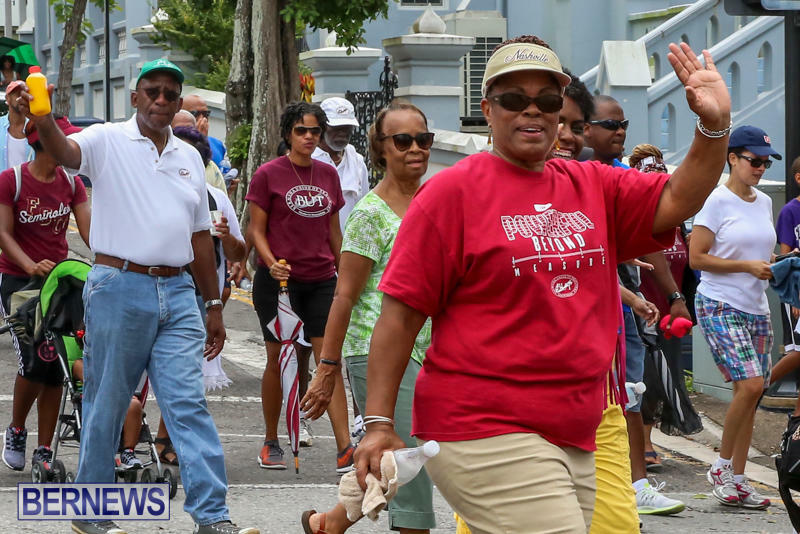 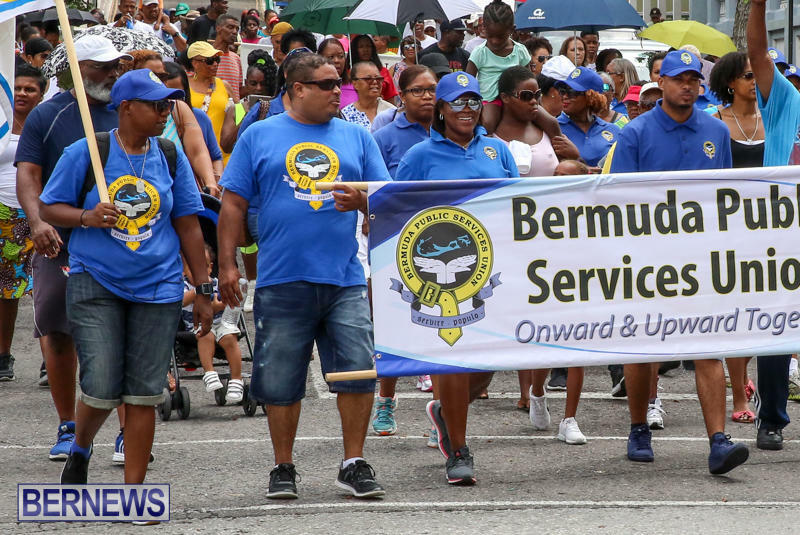 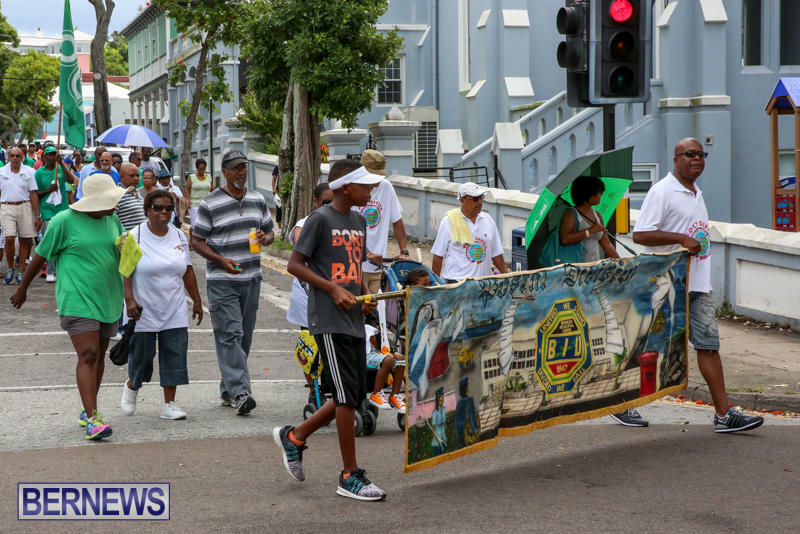 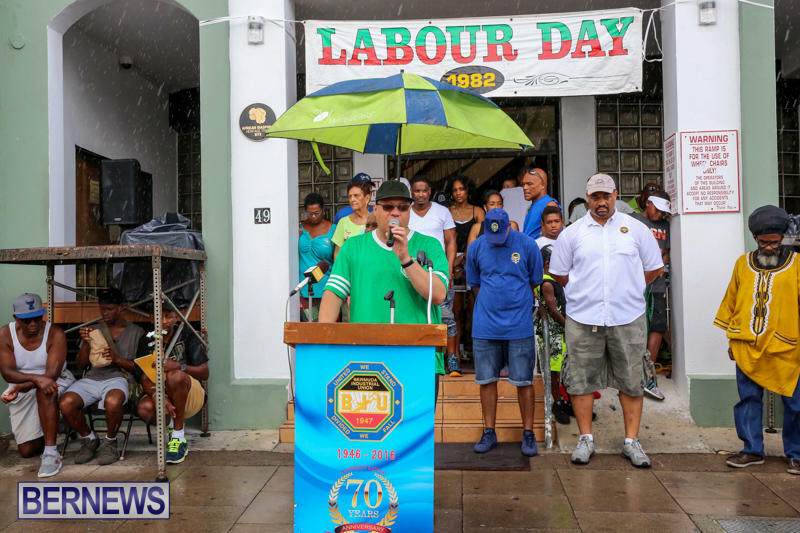 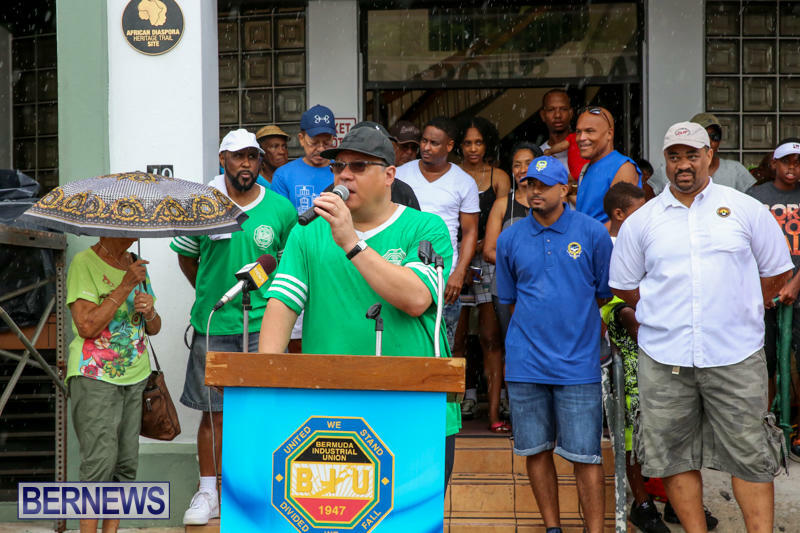 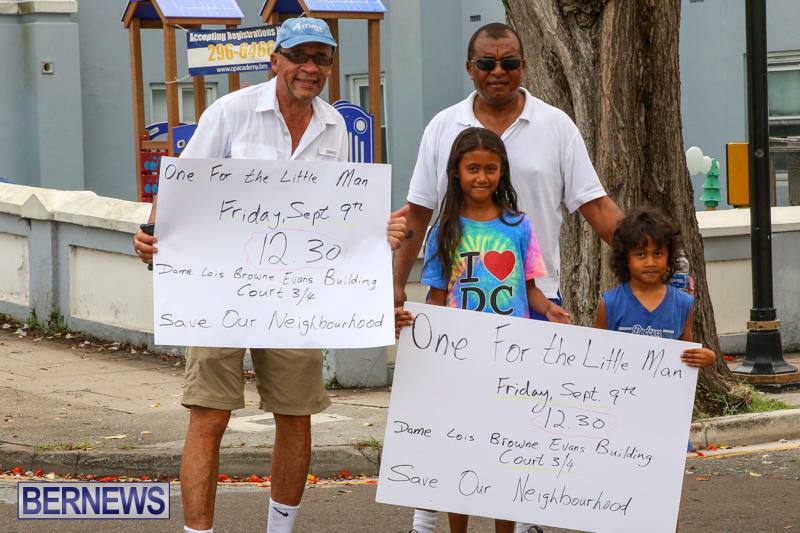 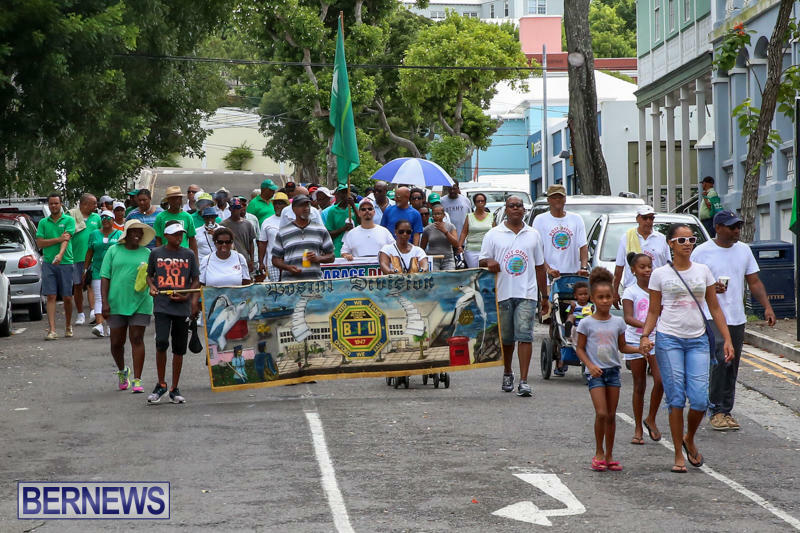 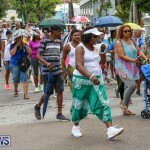 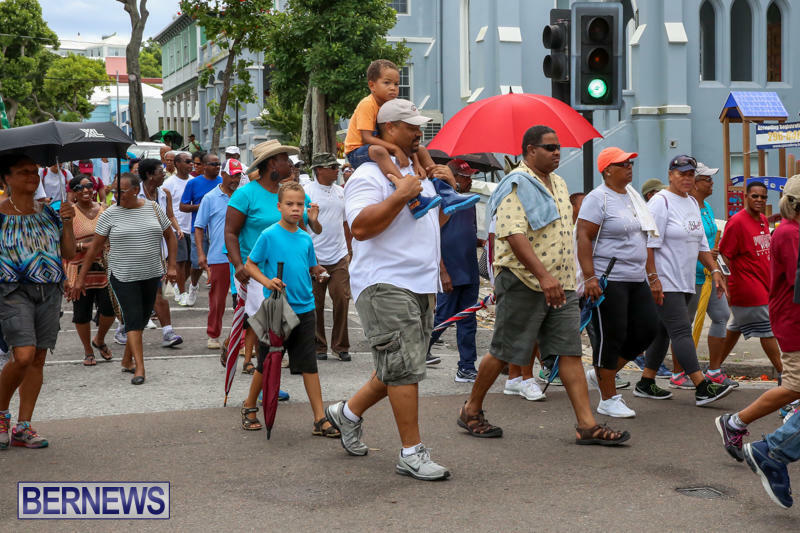 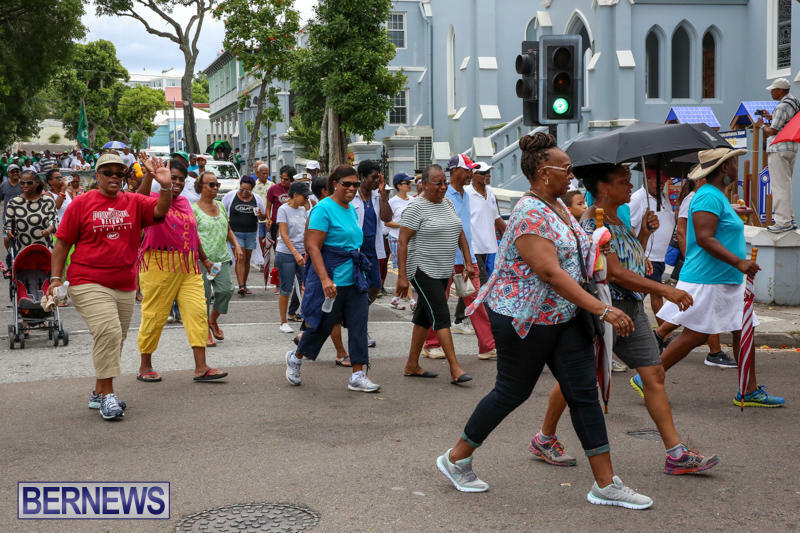 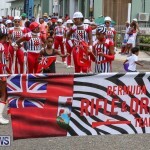 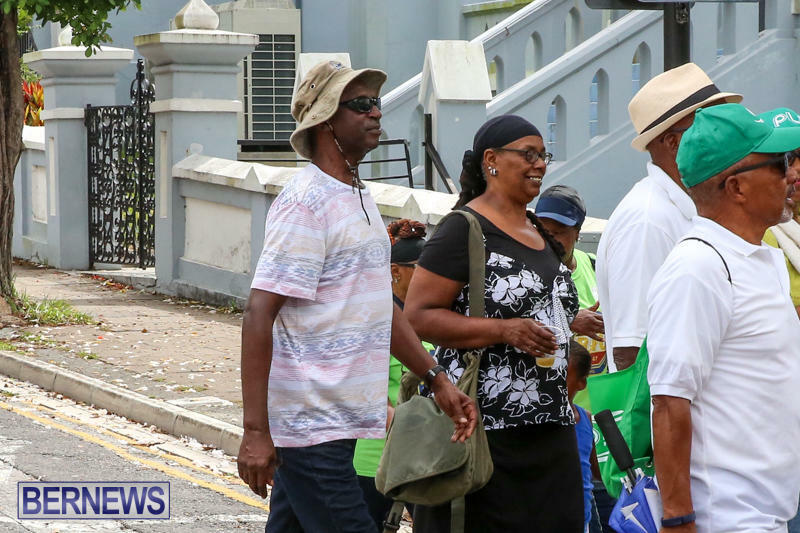 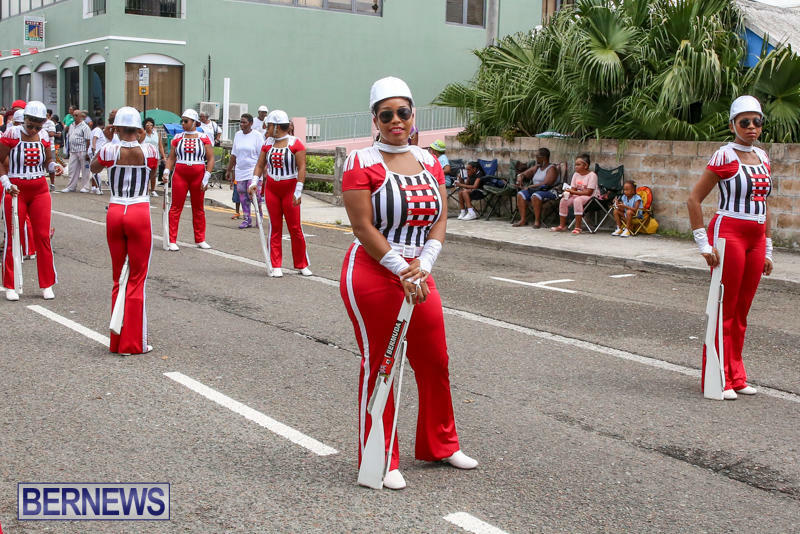 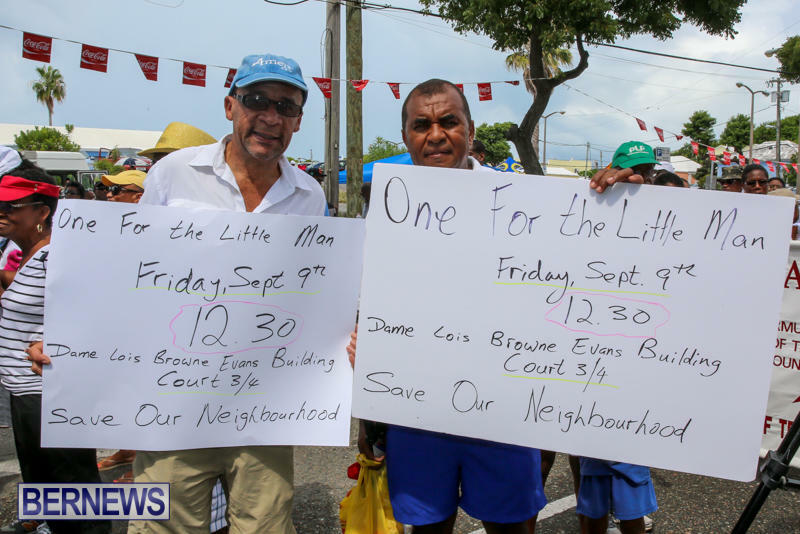 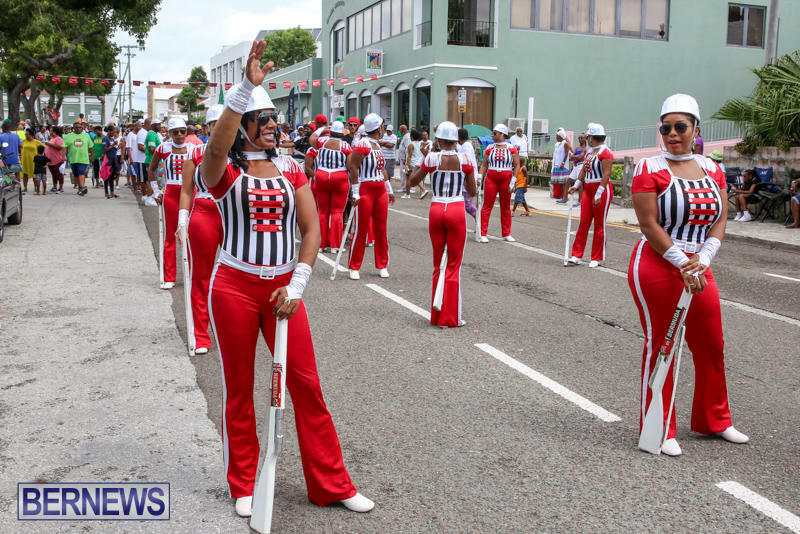 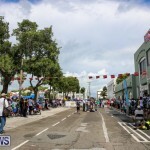 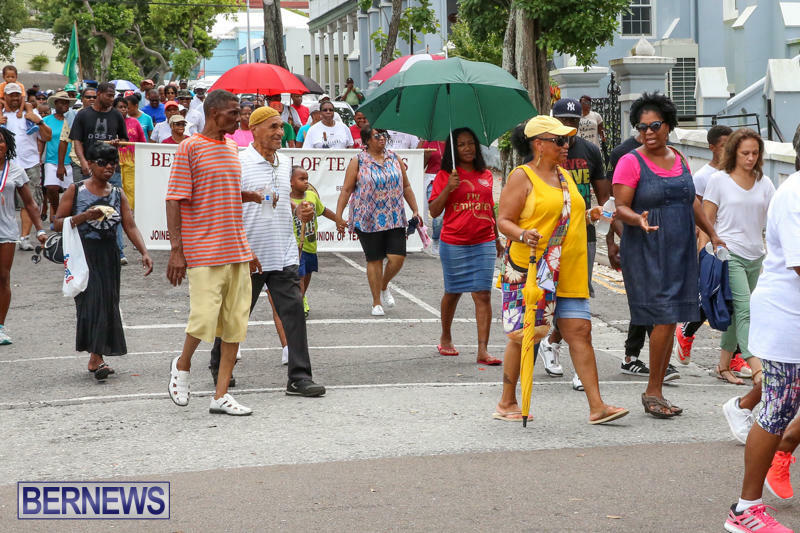 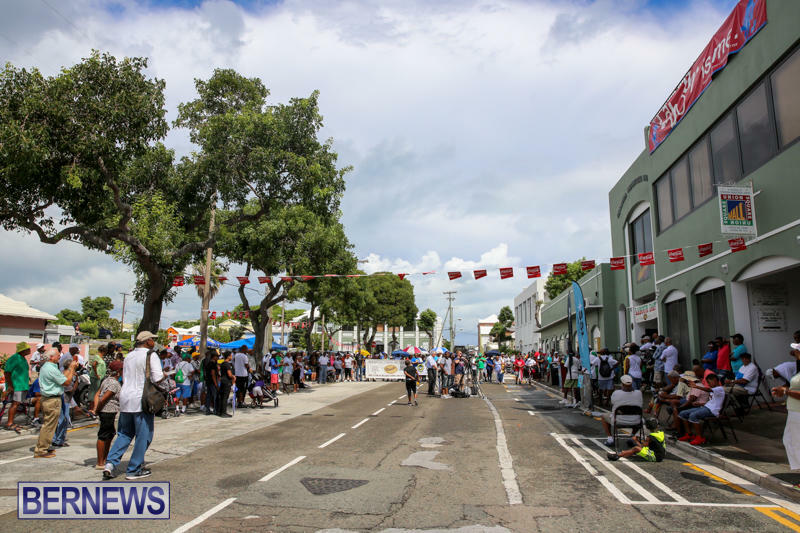 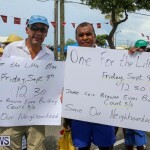 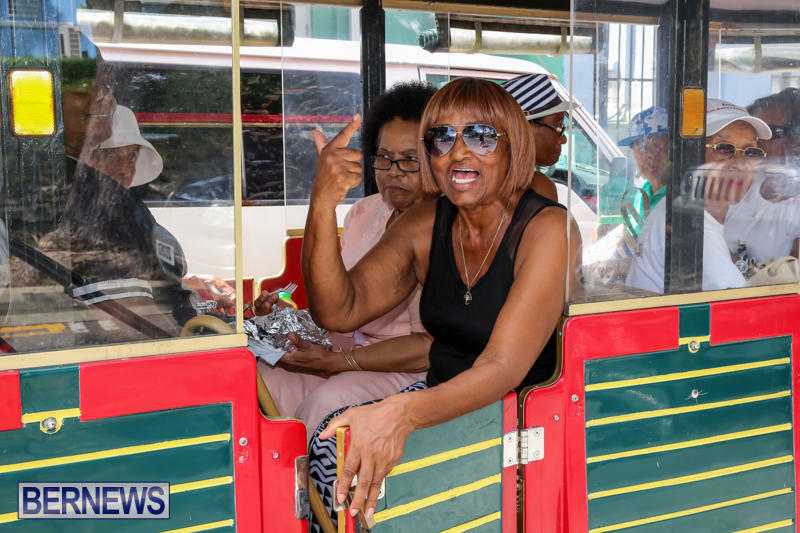 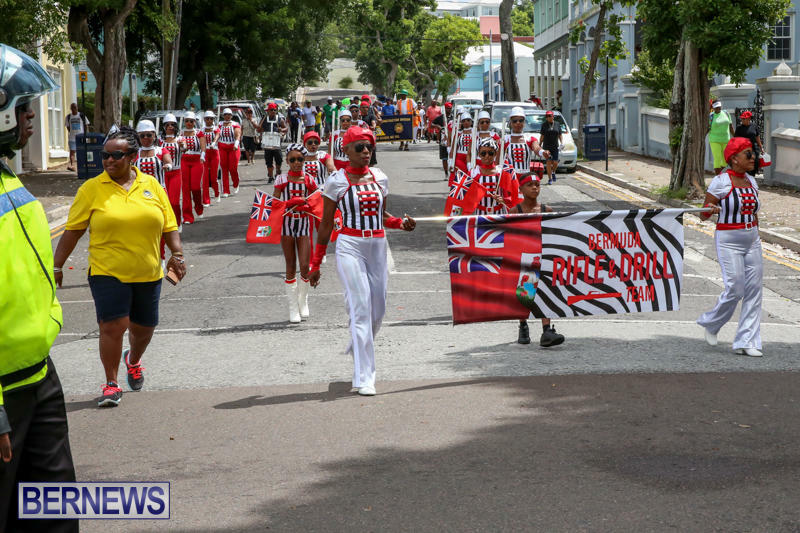 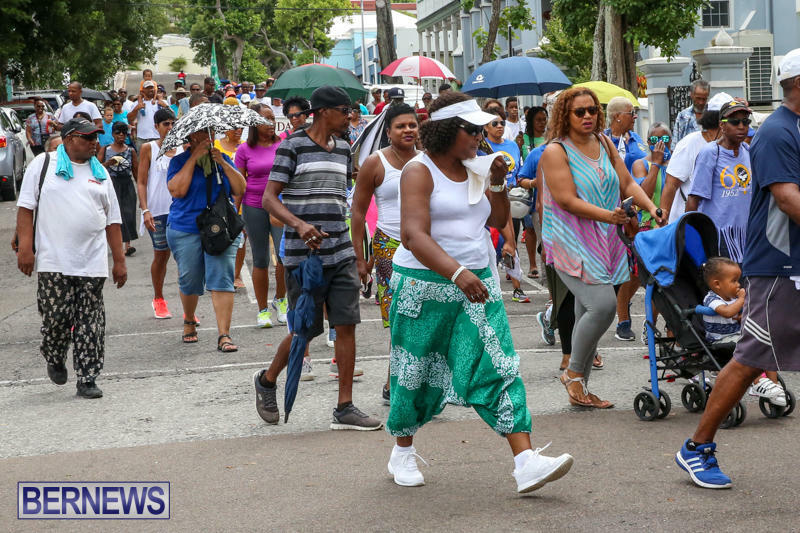 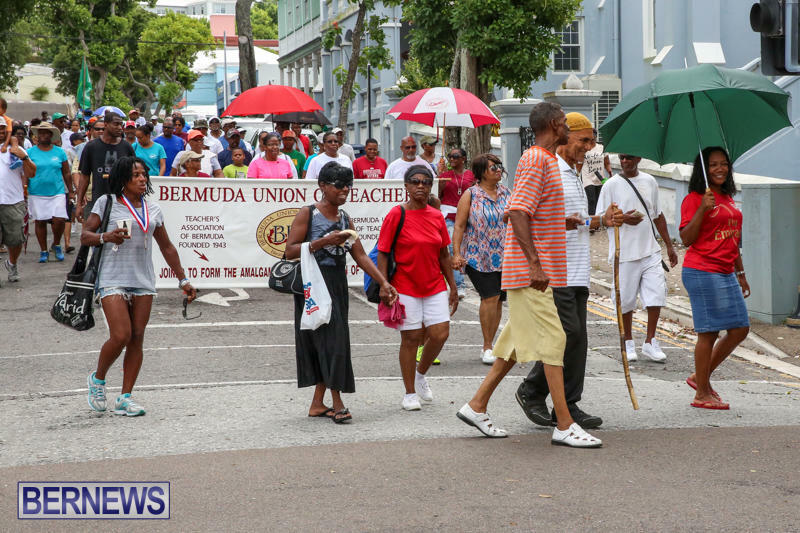 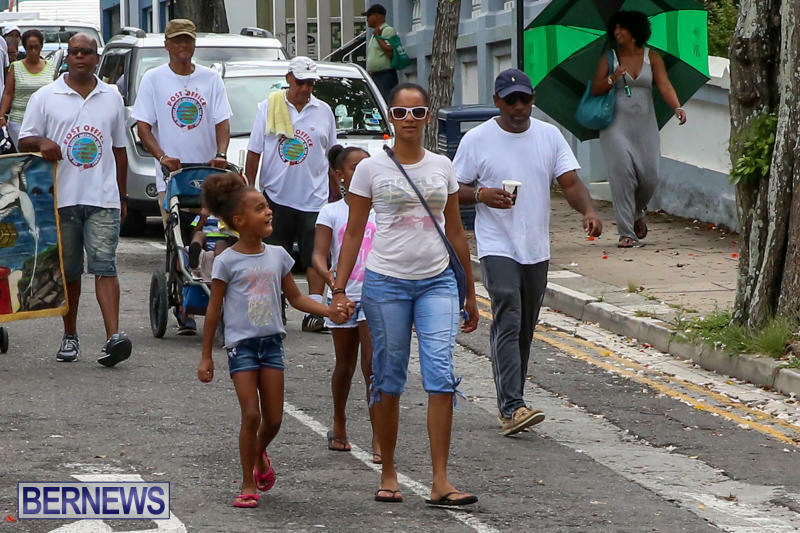 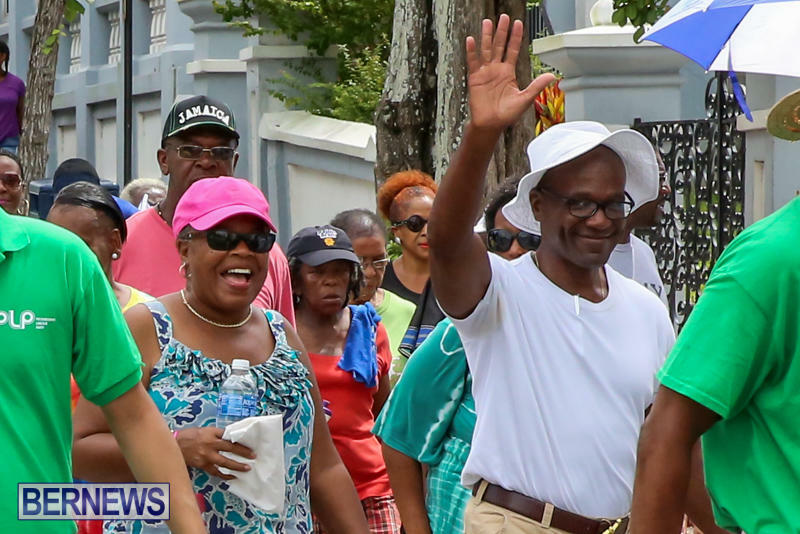 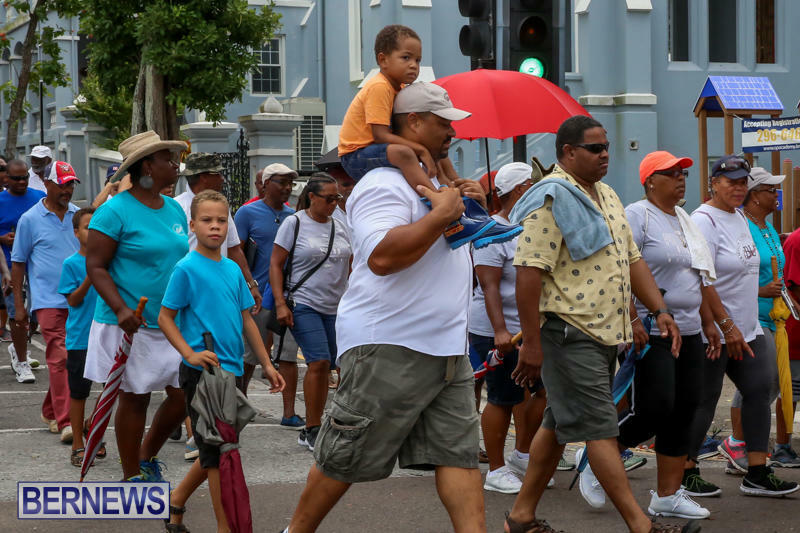 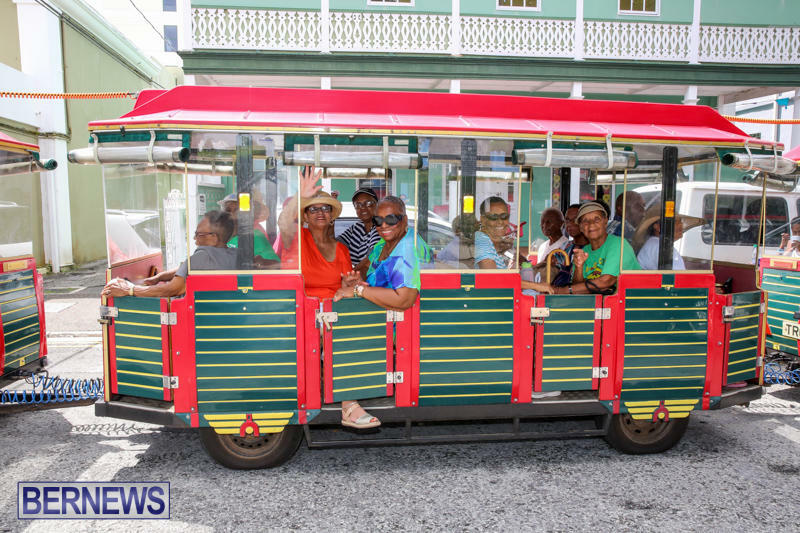 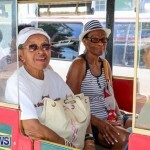 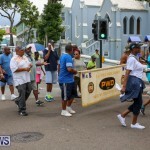 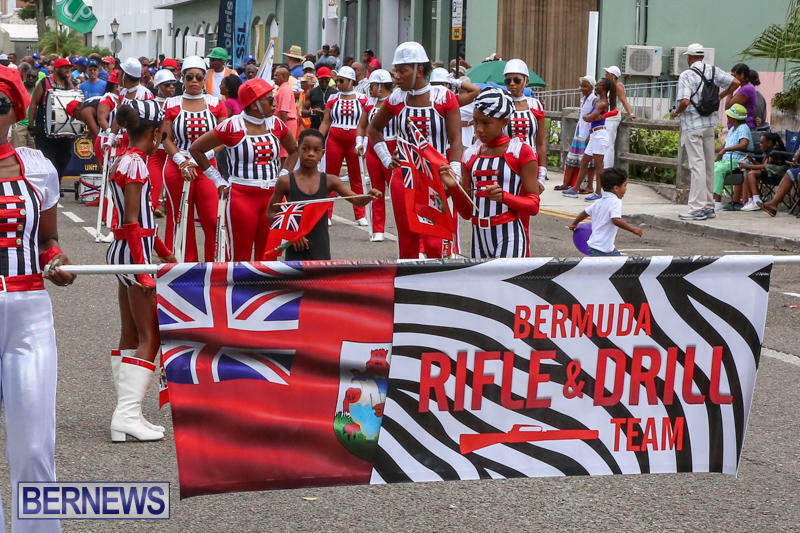 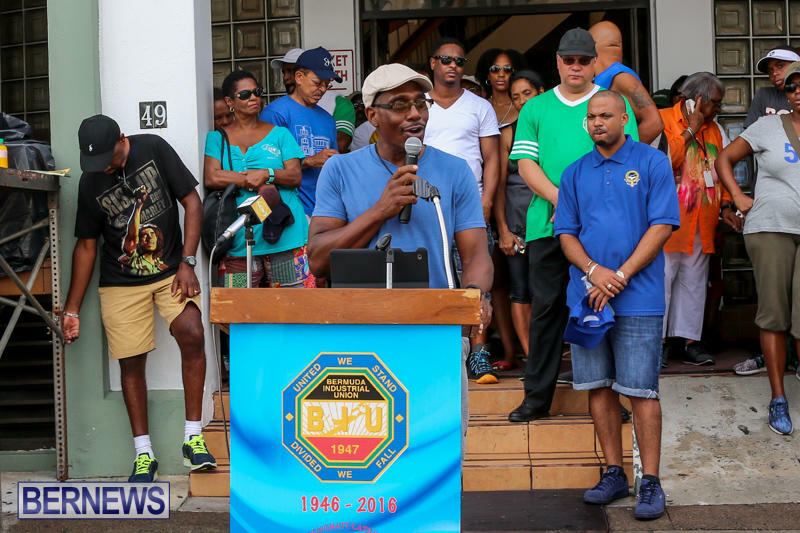 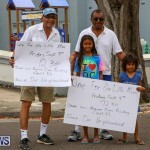 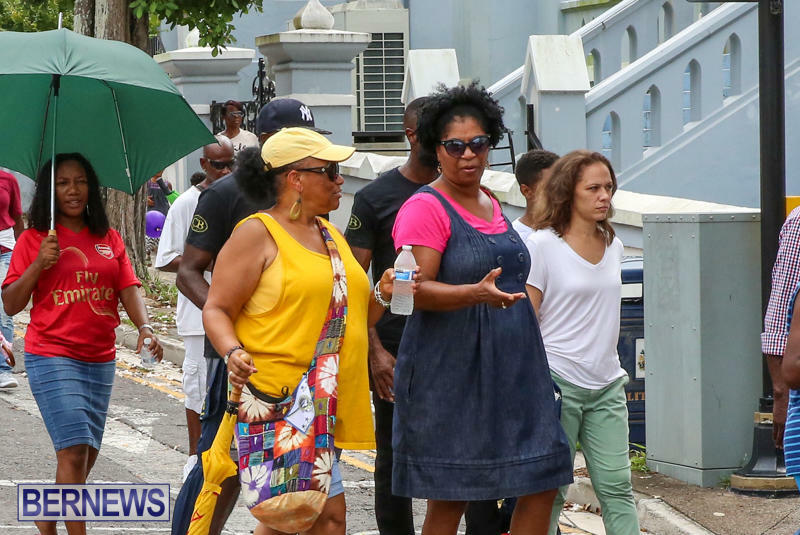 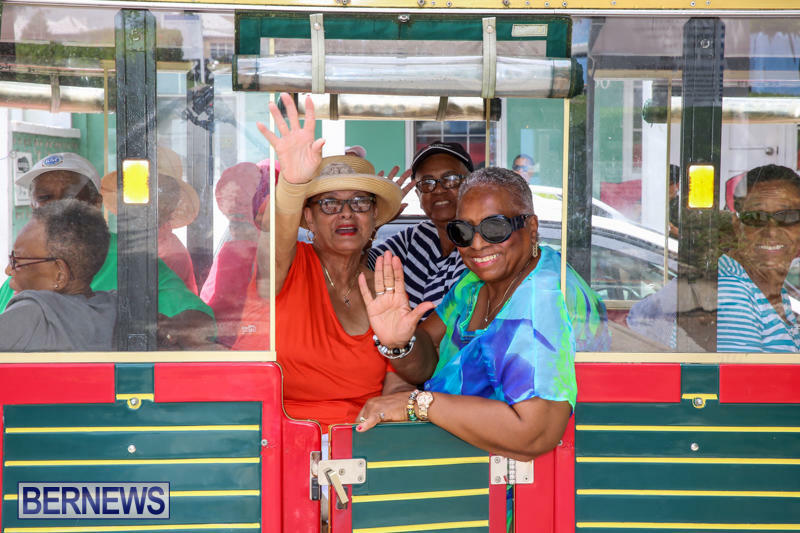 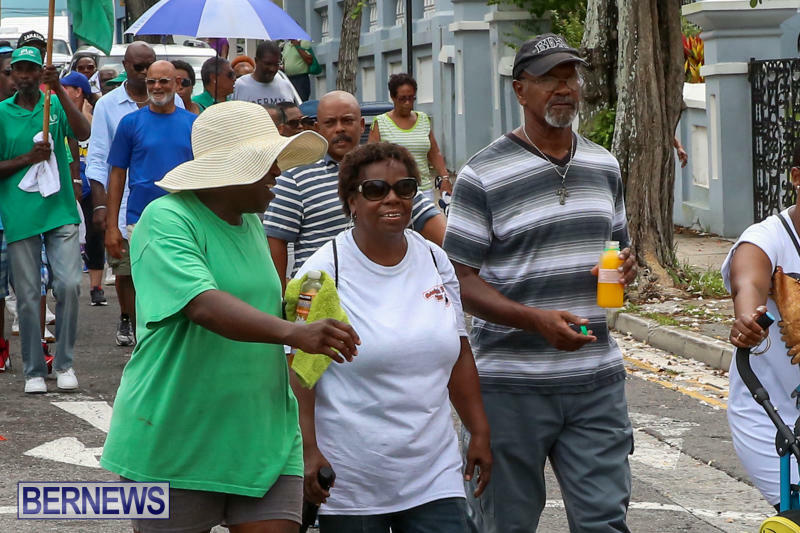 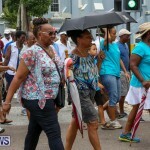 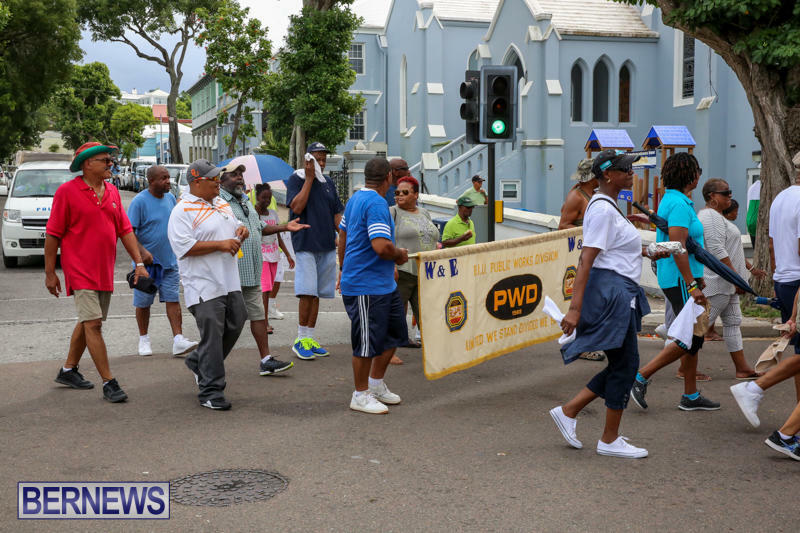 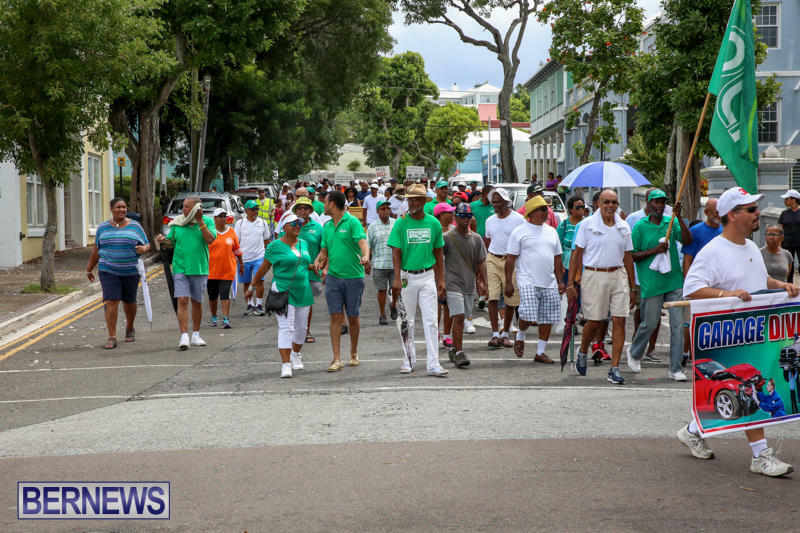 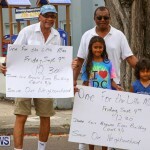 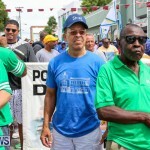 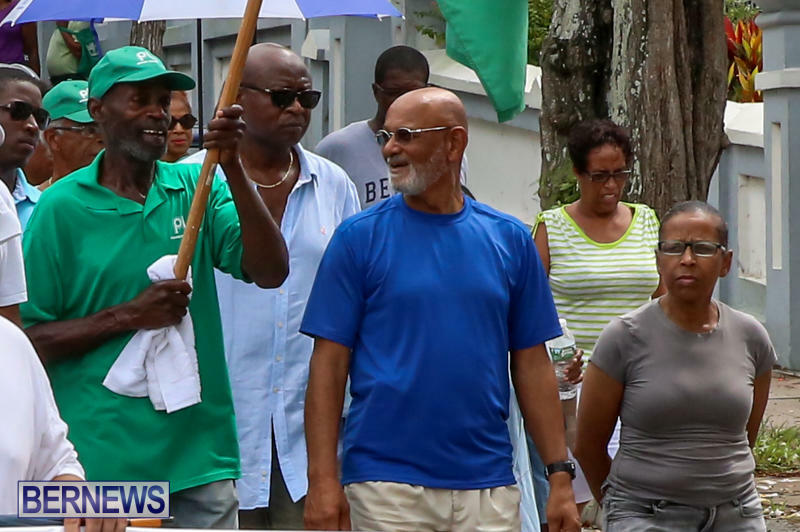 A crowd gathered to take part in the annual celebration despite the rain, with a prayer from Reverend Nicholas Tweed serving to open the event, which included a moment of silence for PLP Party Chairman, Maynard Dill, who passed away this weekend. 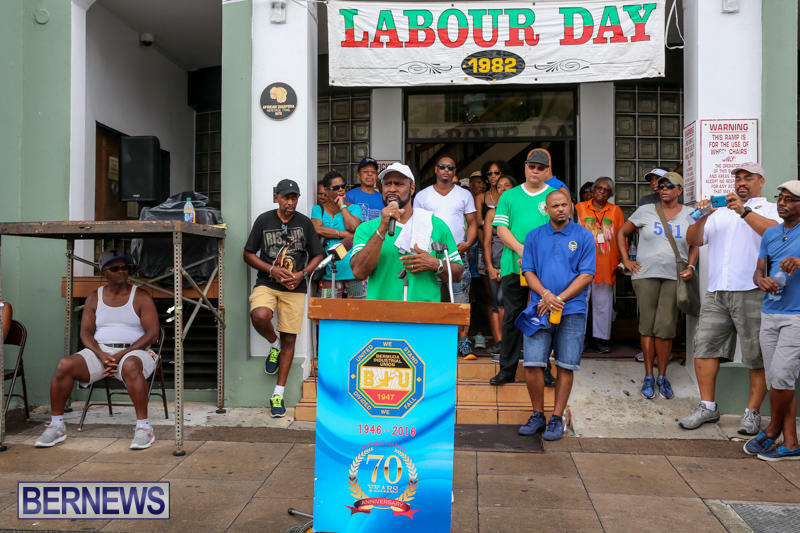 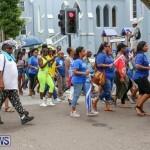 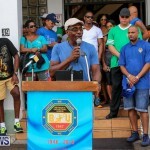 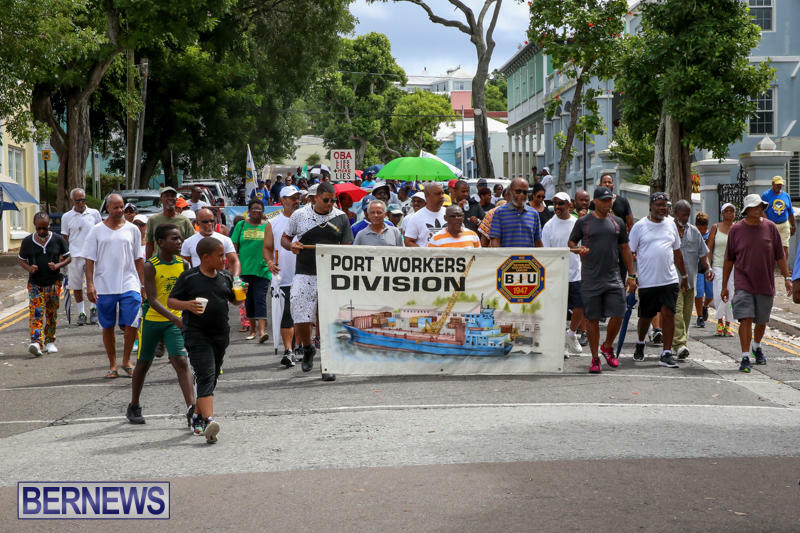 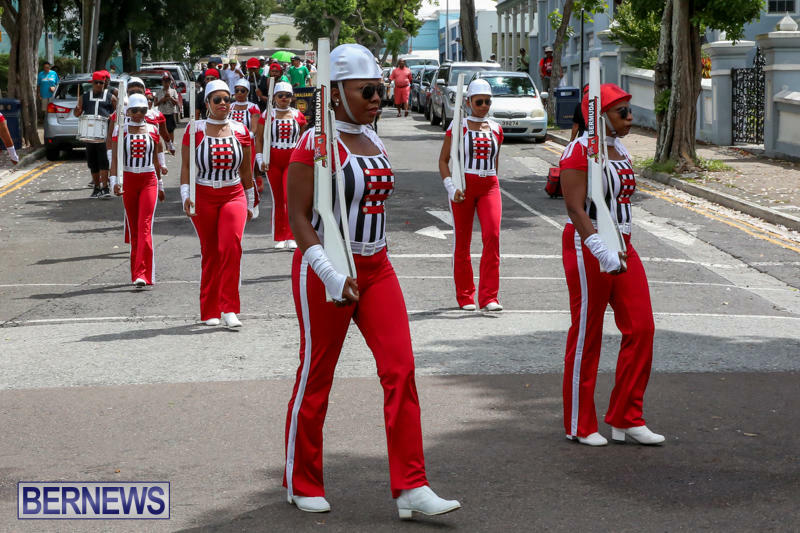 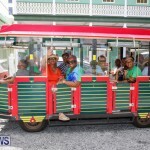 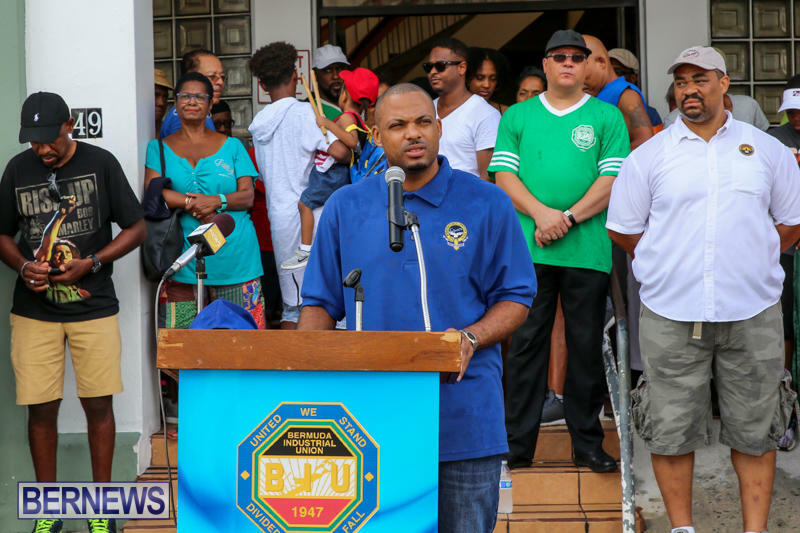 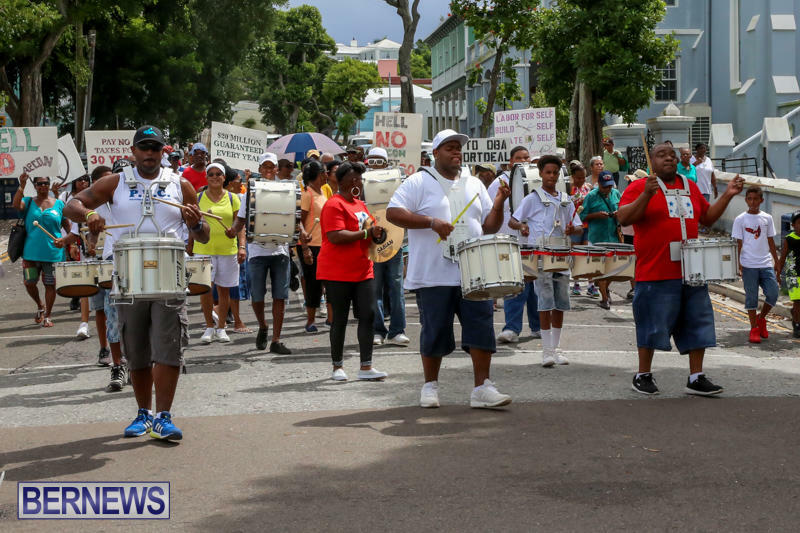 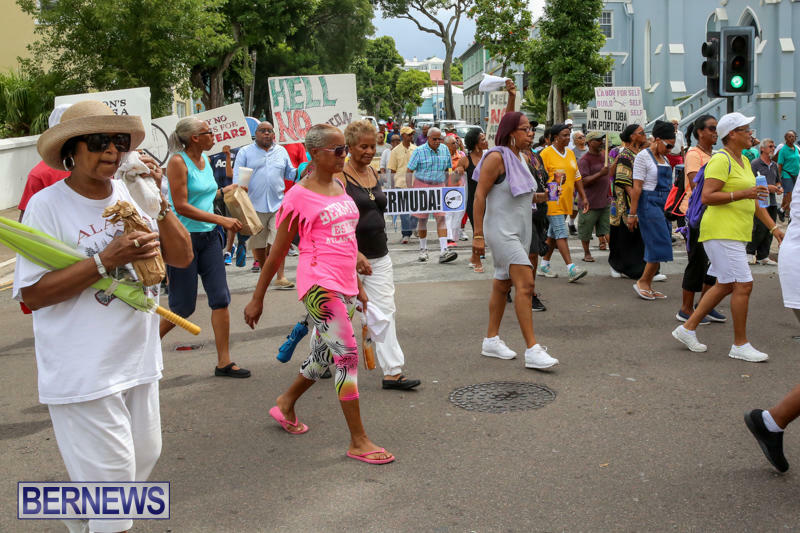 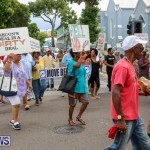 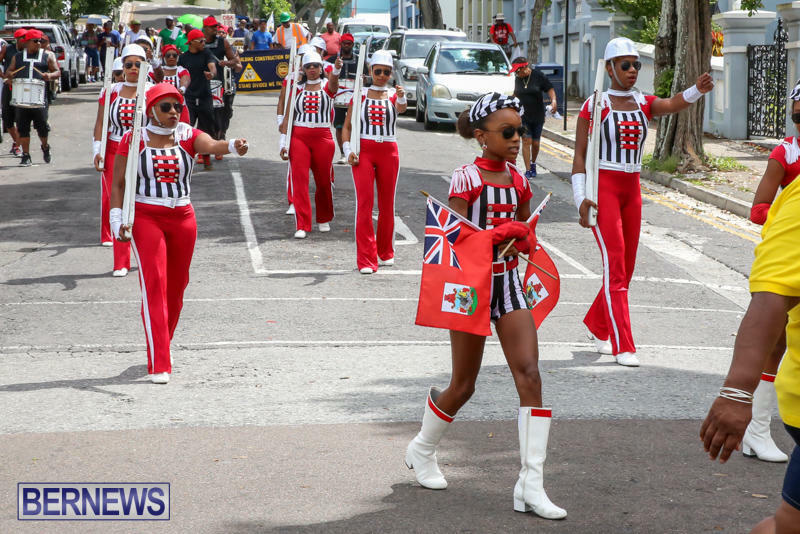 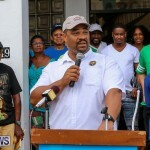 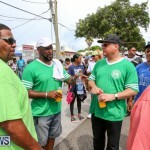 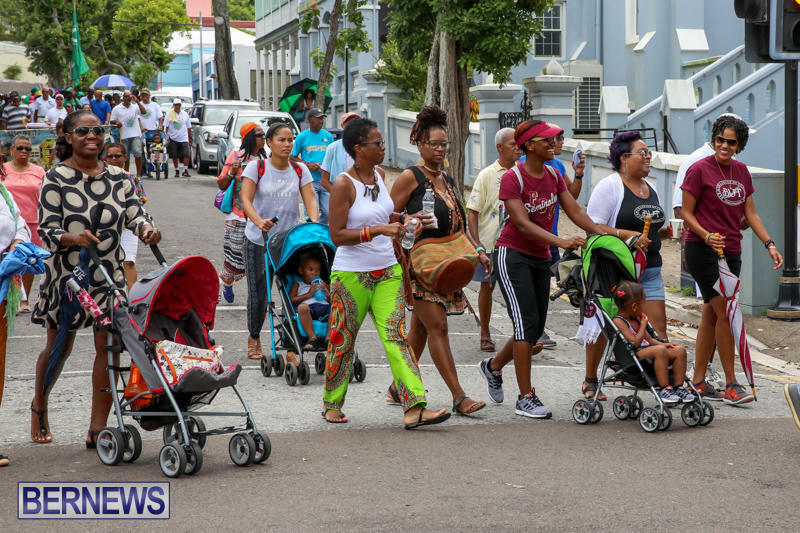 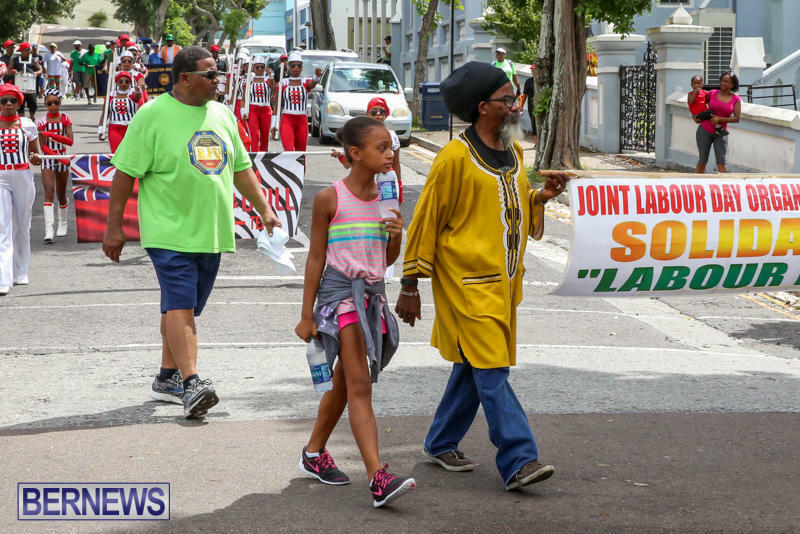 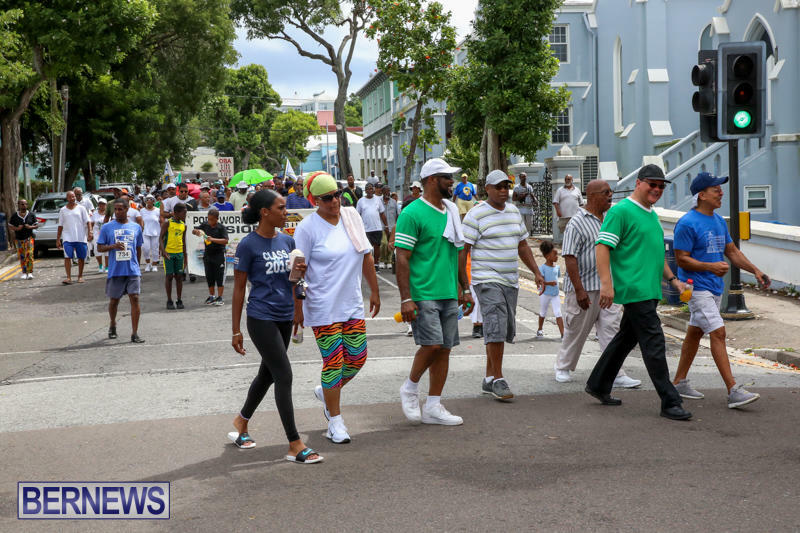 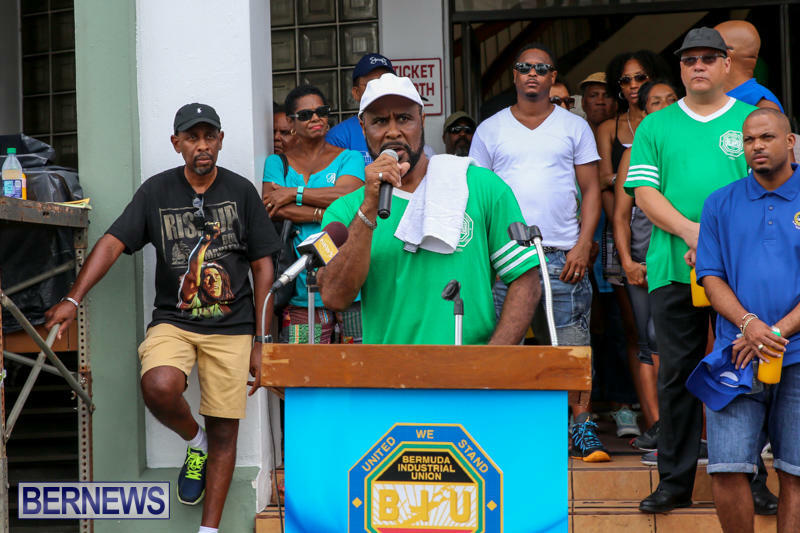 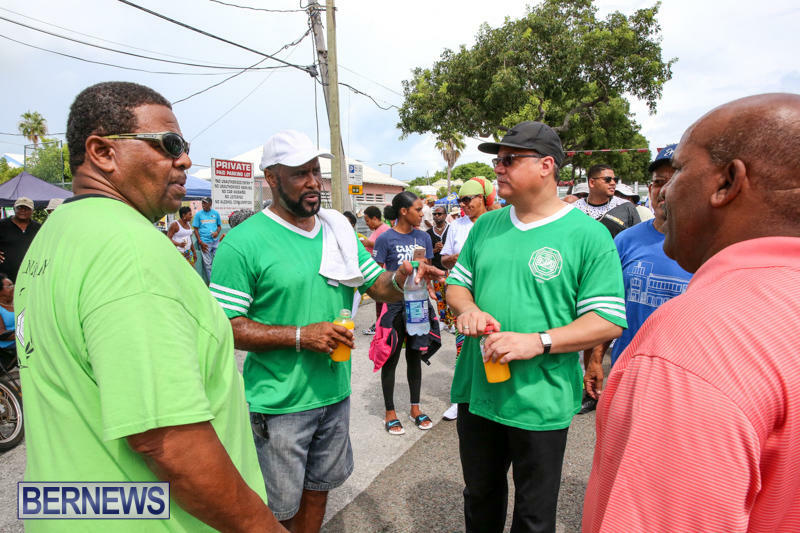 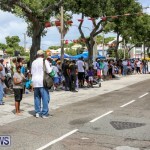 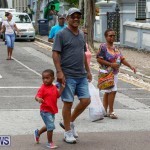 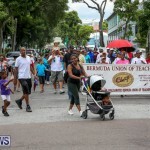 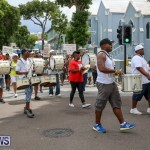 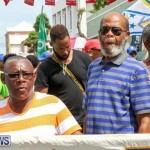 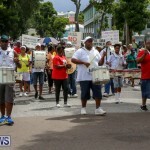 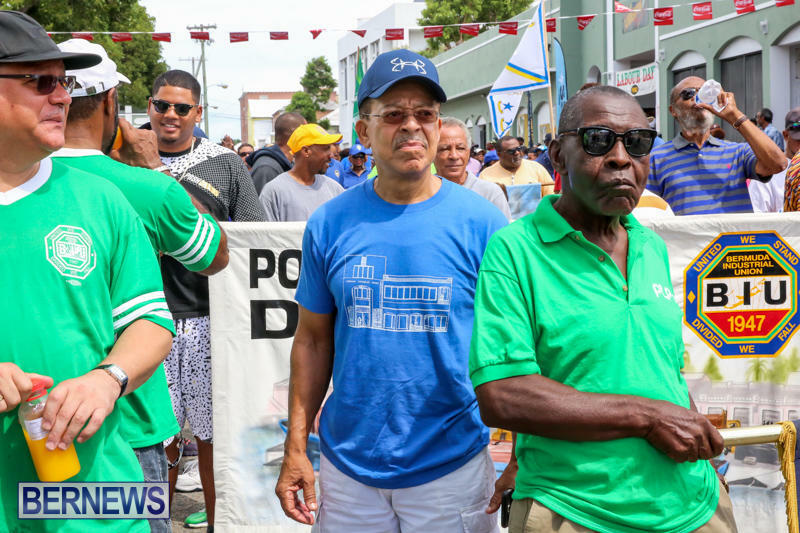 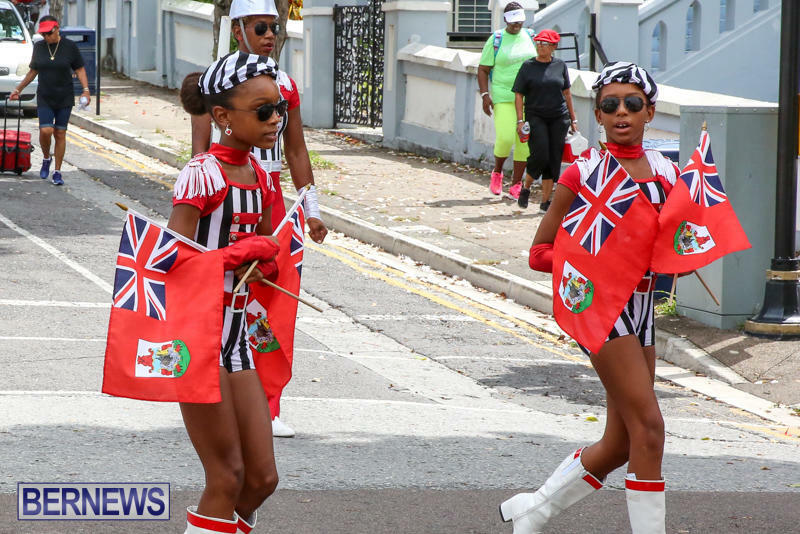 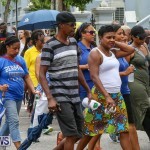 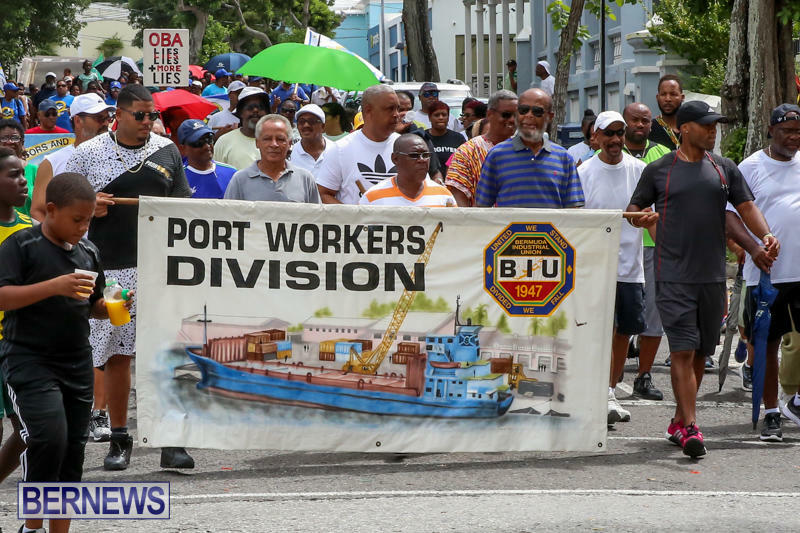 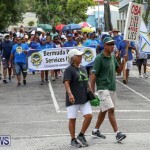 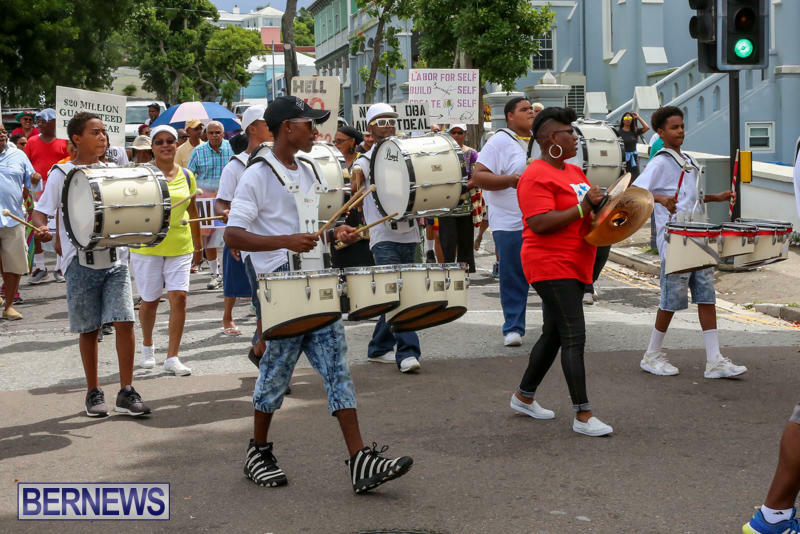 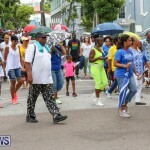 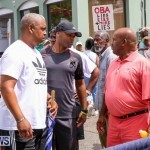 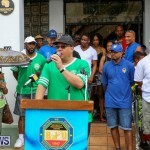 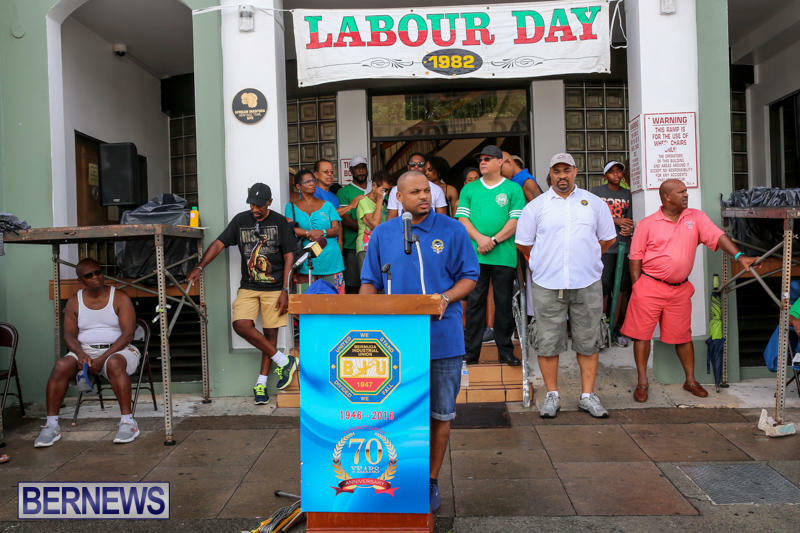 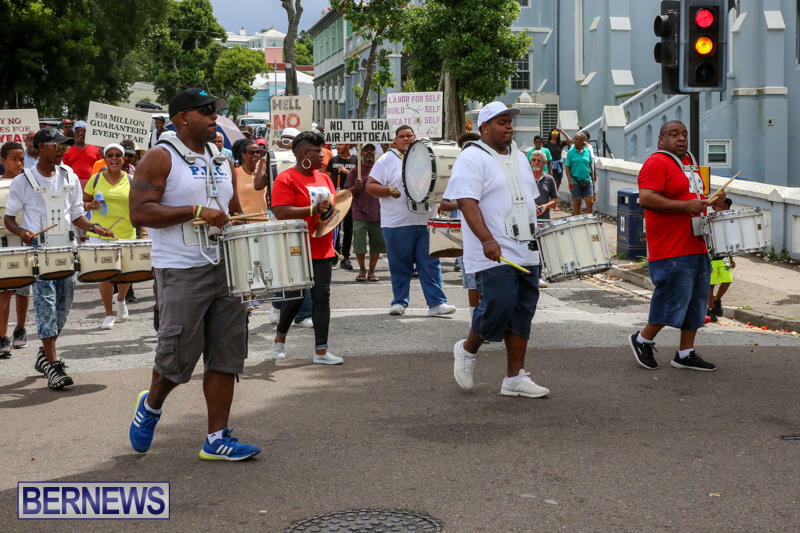 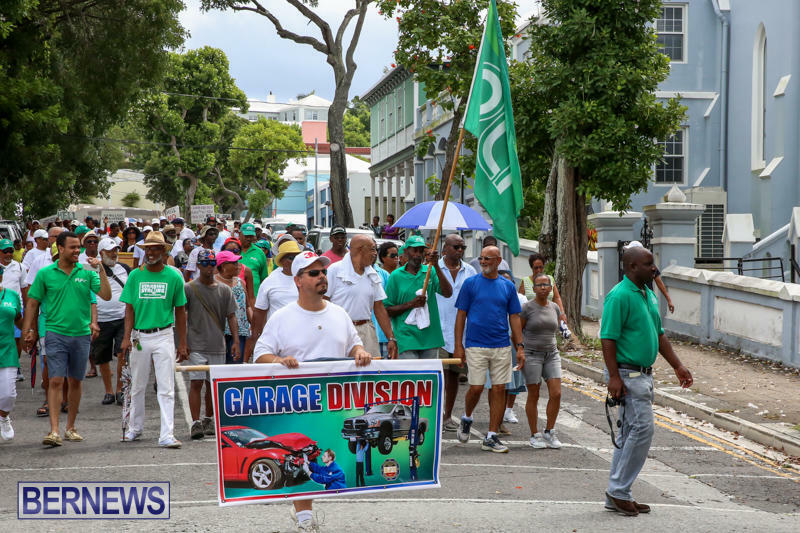 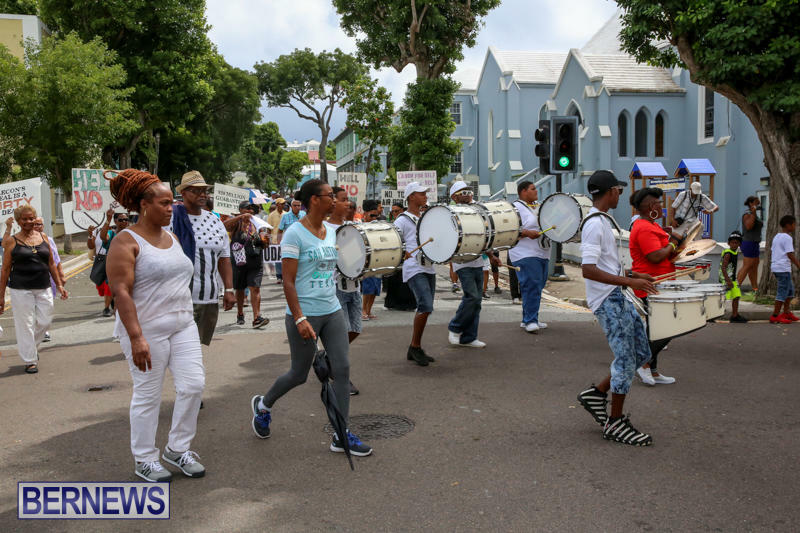 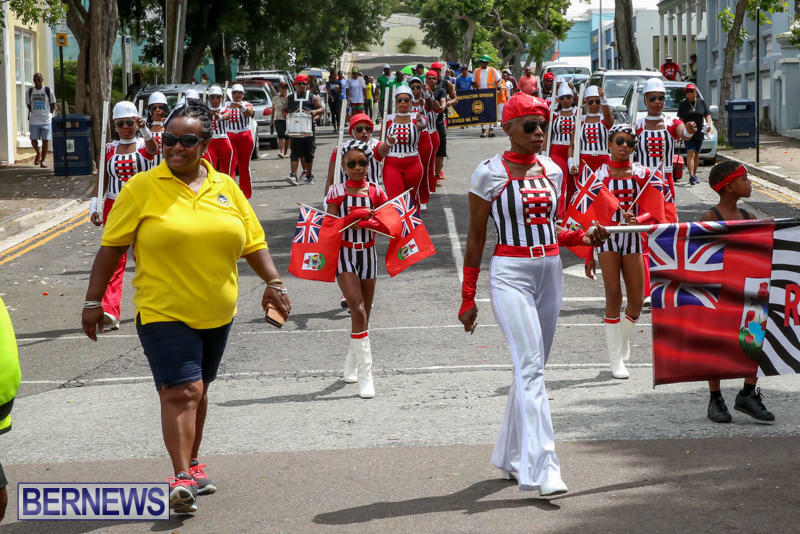 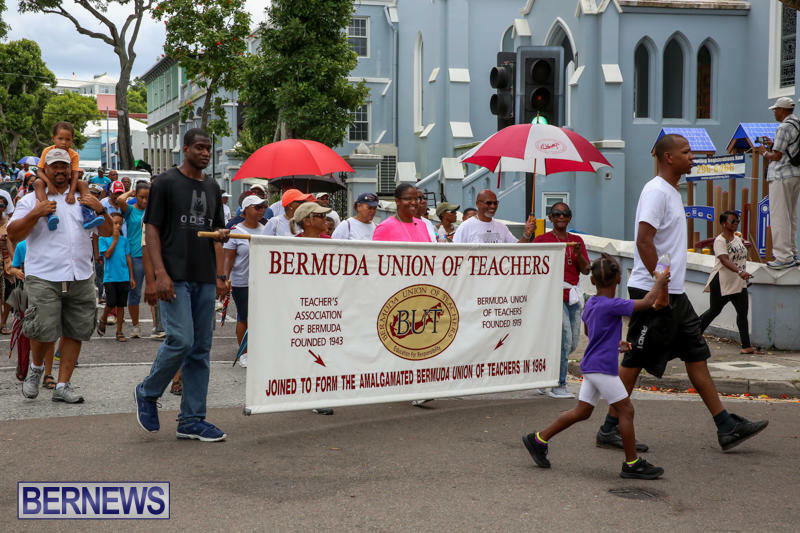 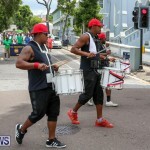 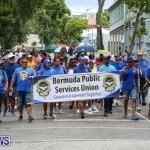 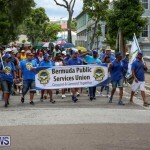 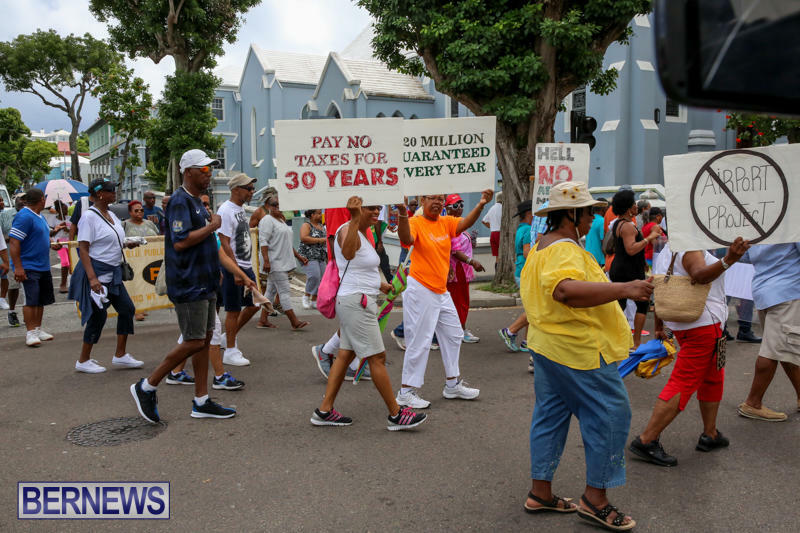 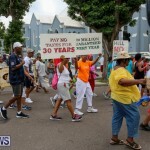 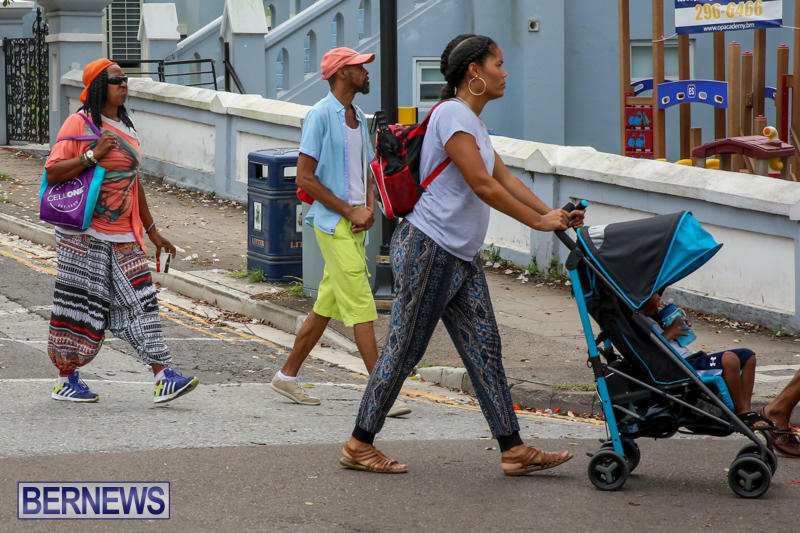 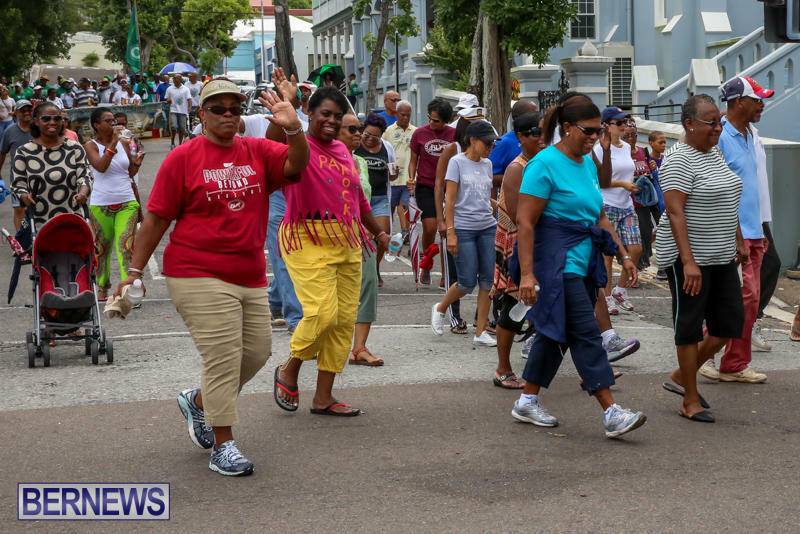 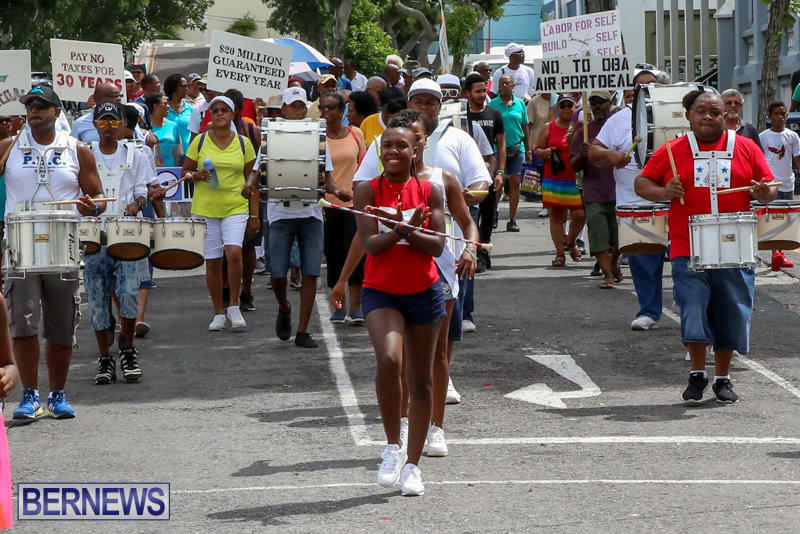 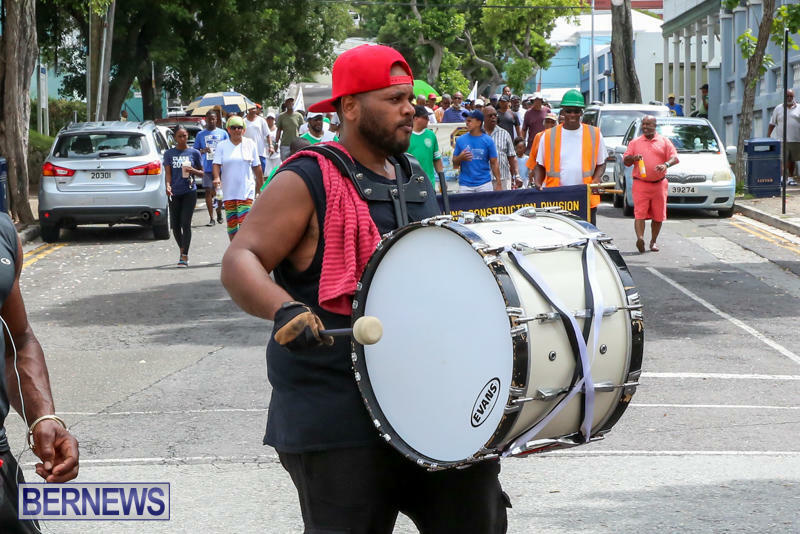 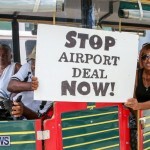 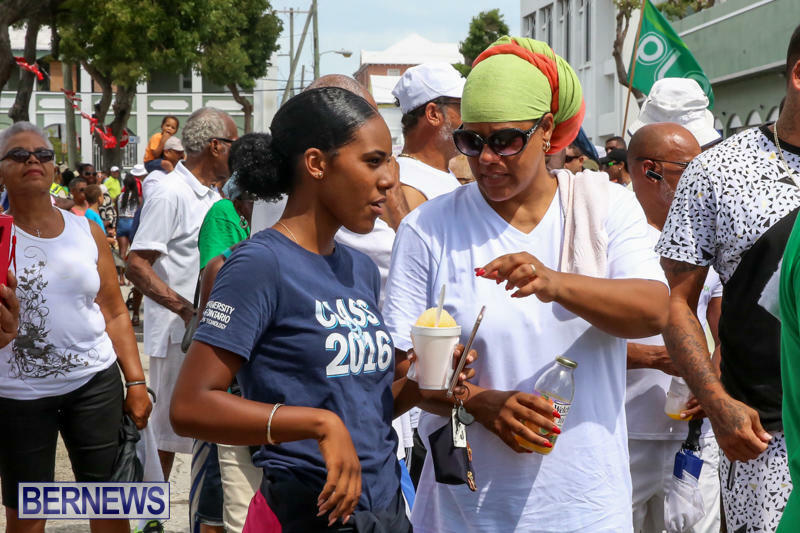 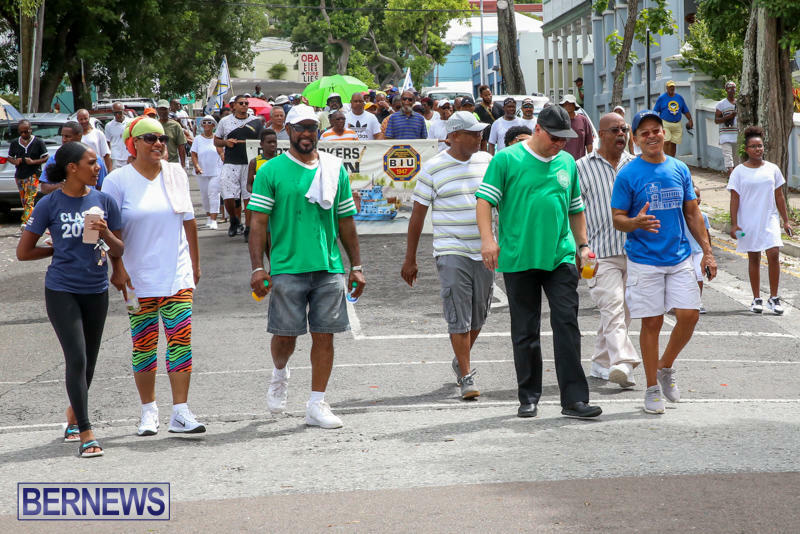 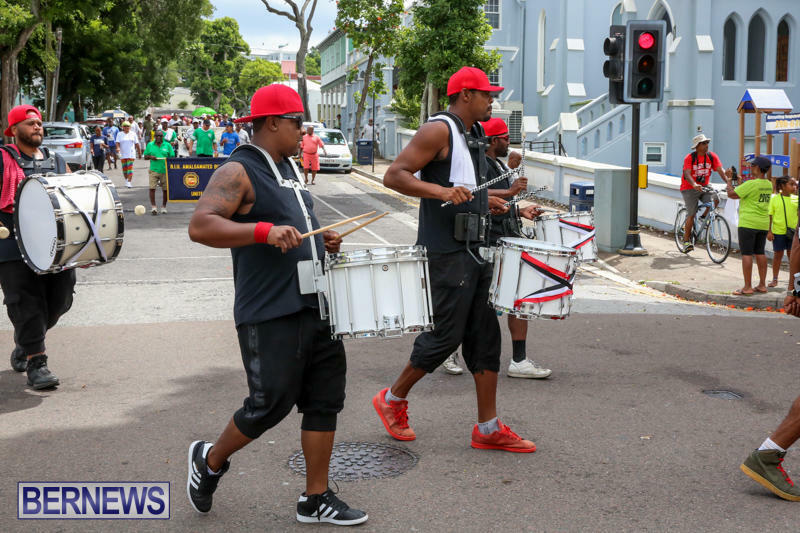 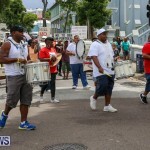 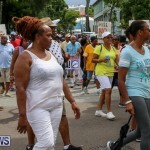 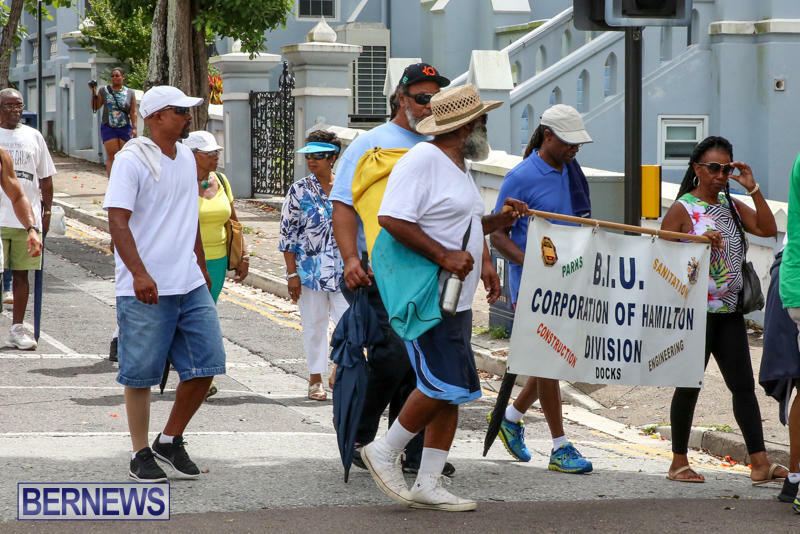 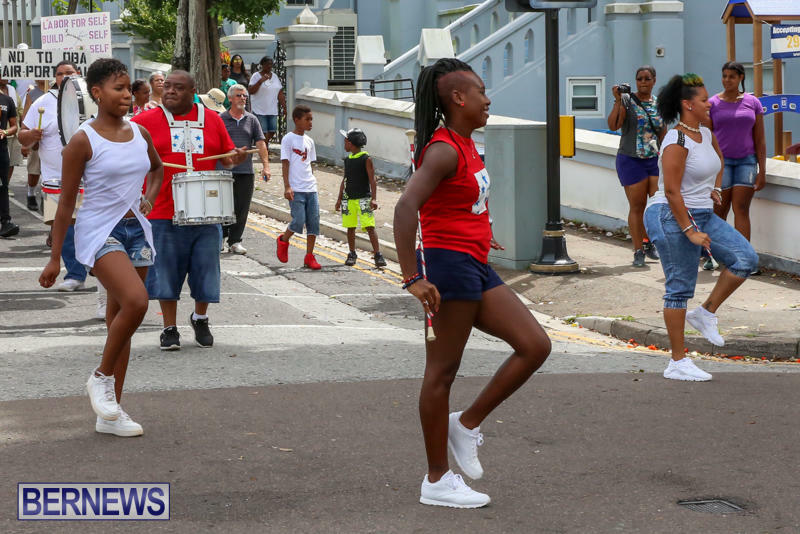 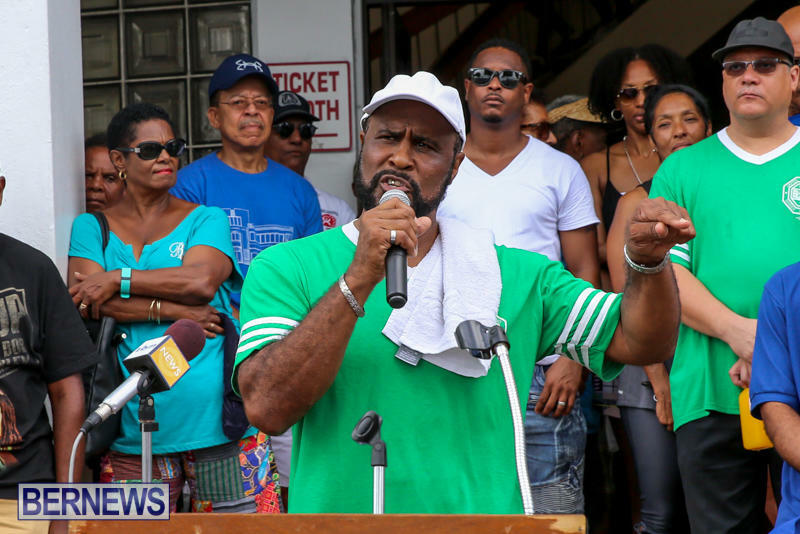 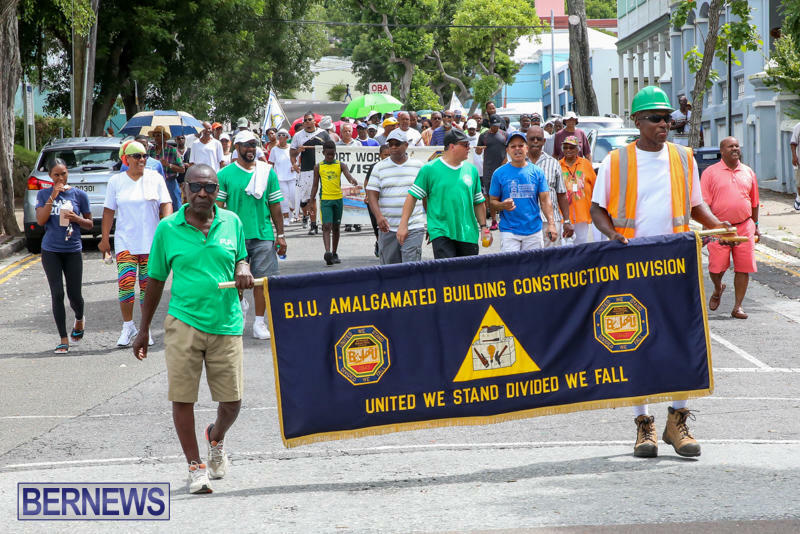 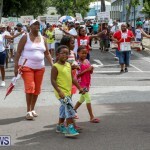 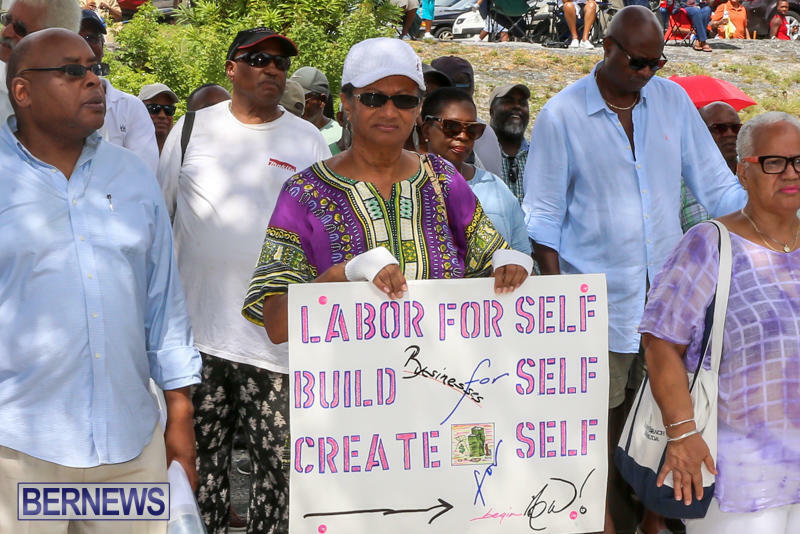 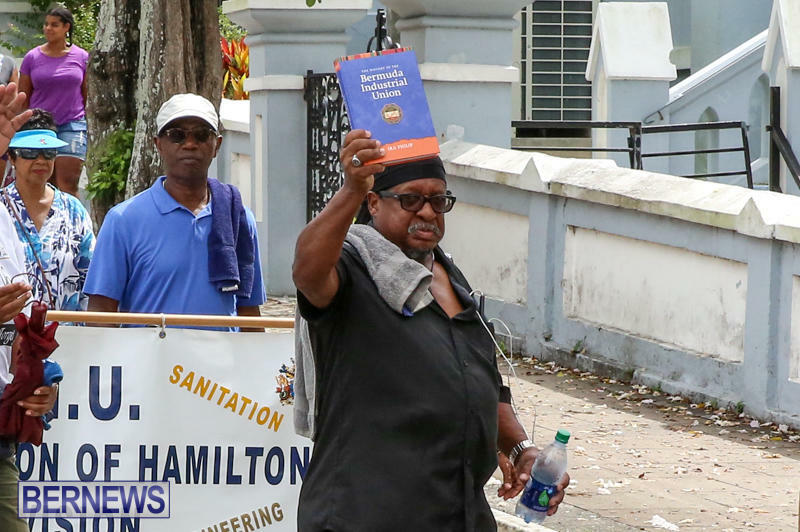 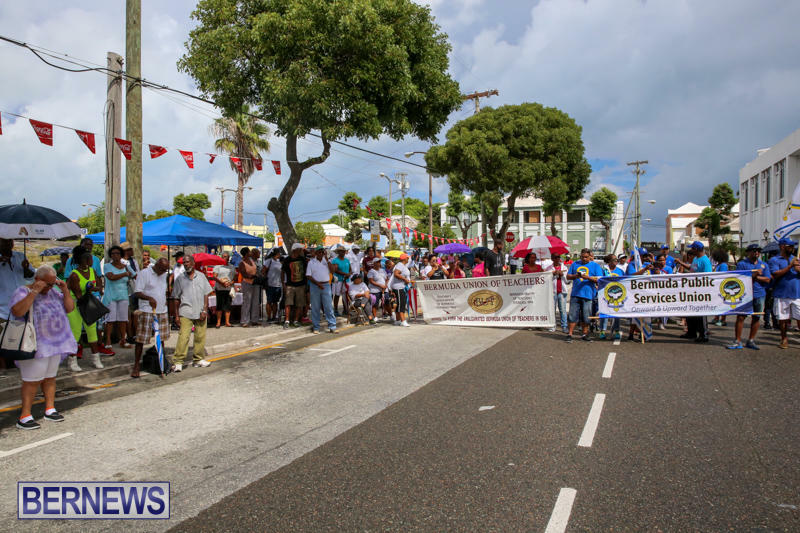 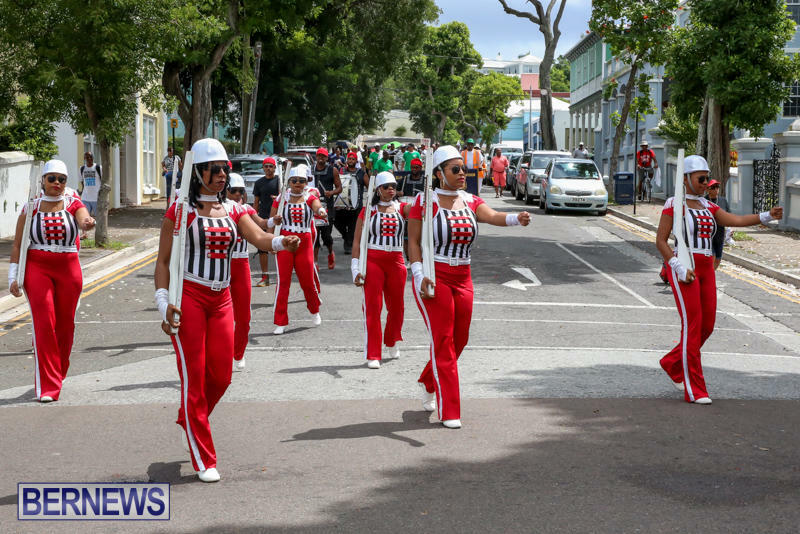 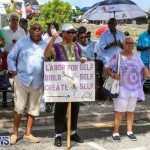 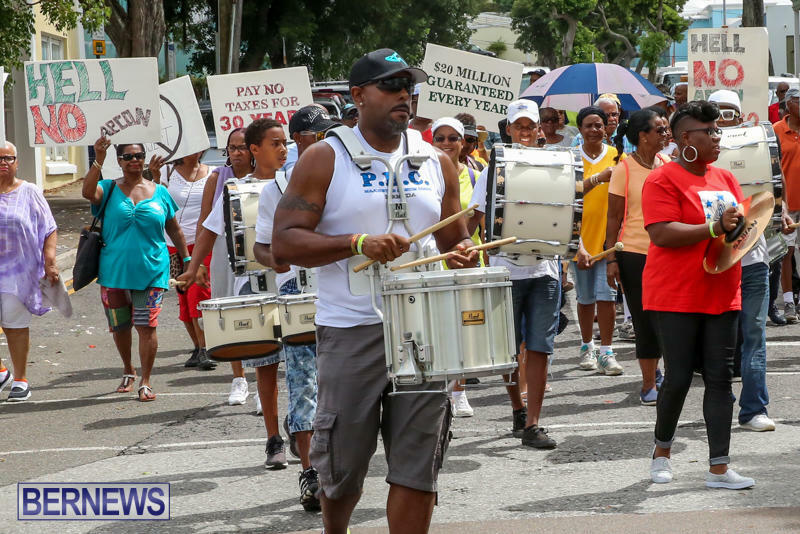 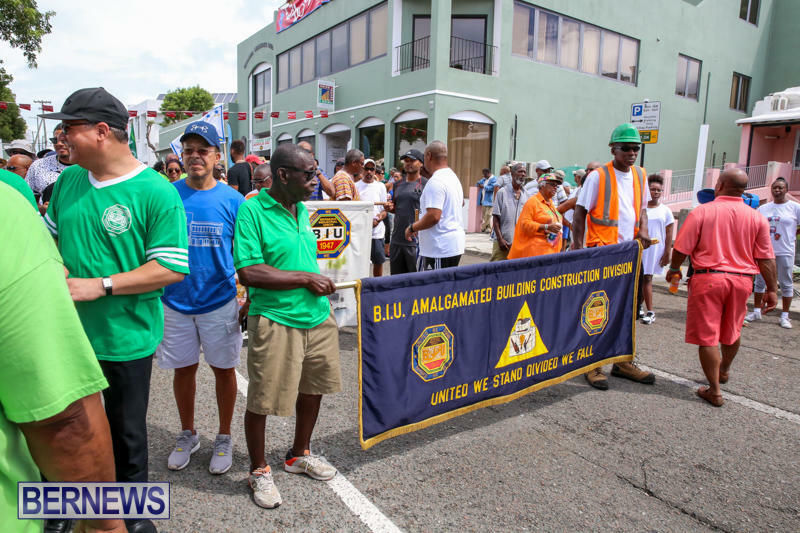 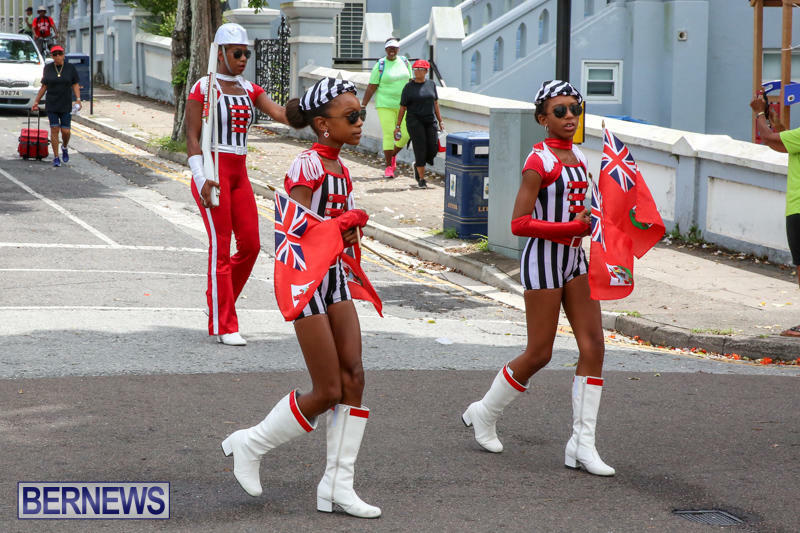 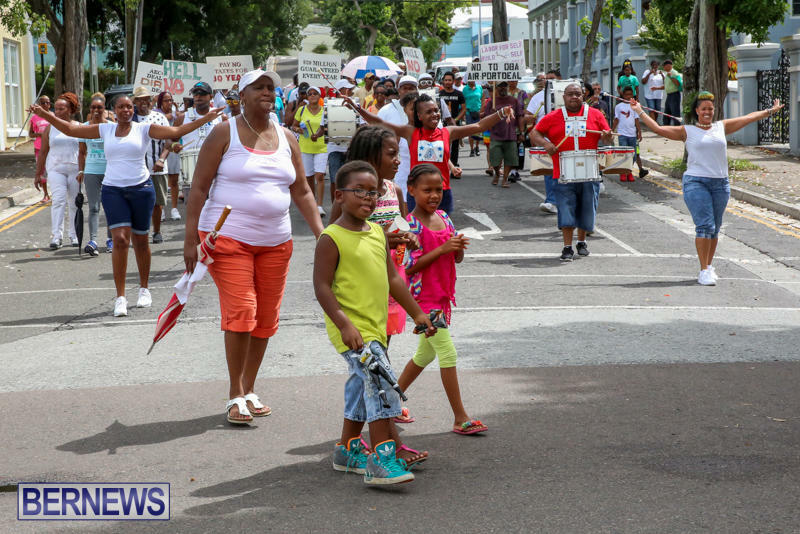 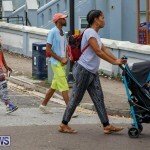 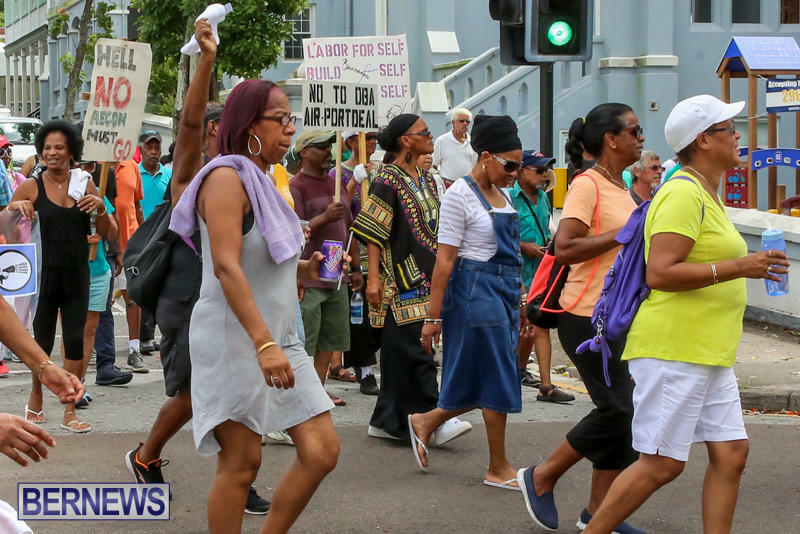 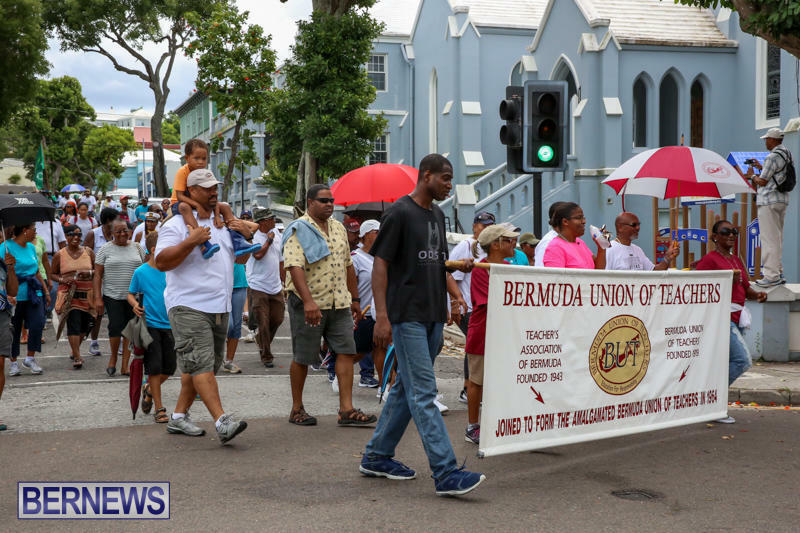 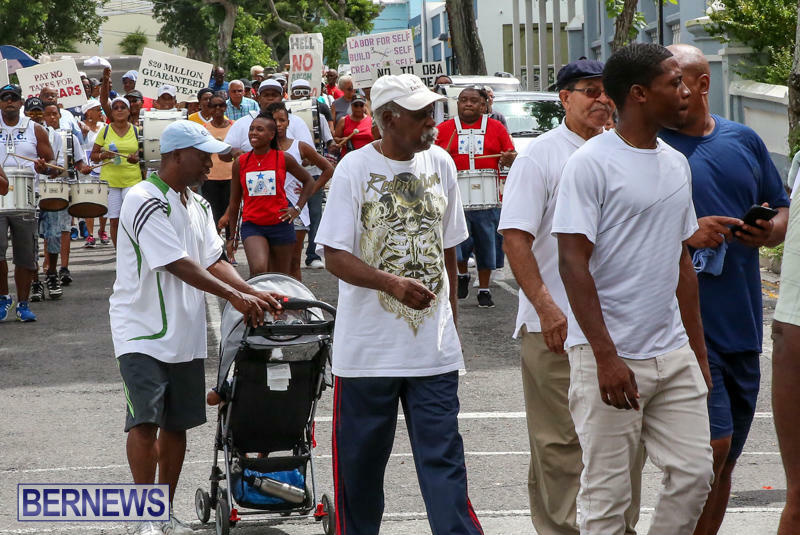 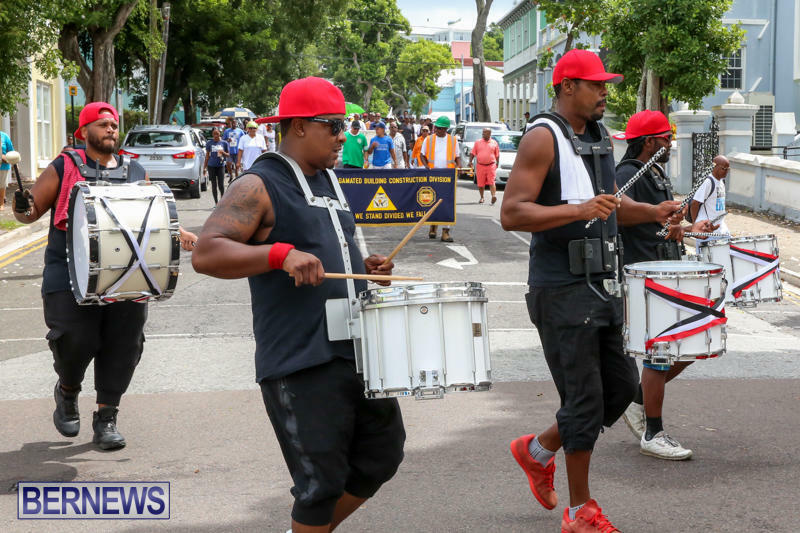 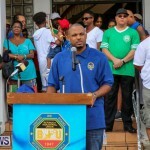 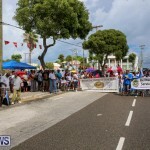 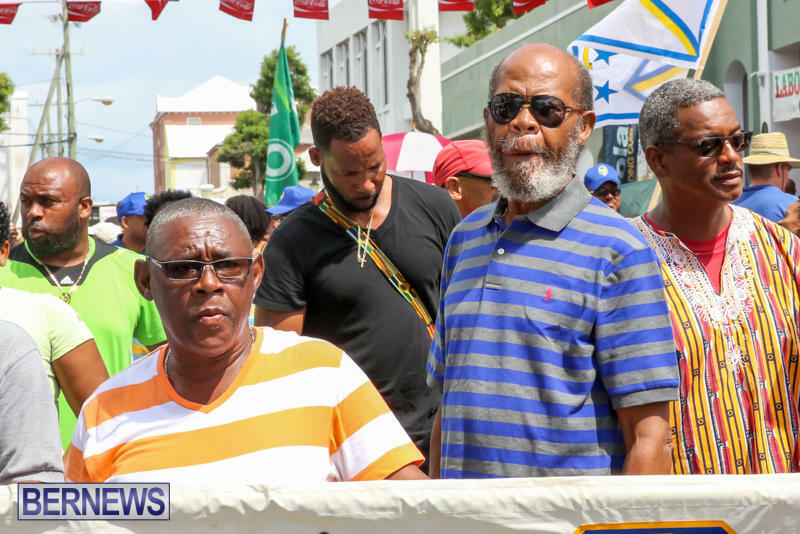 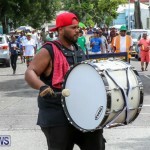 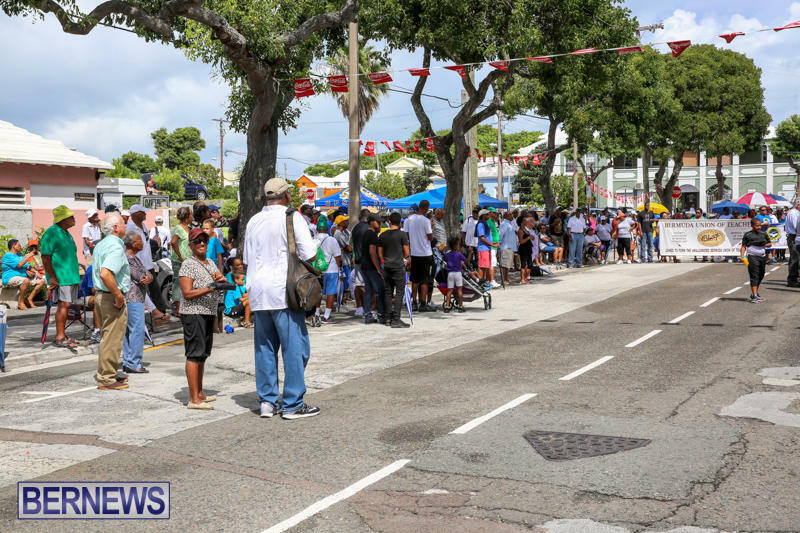 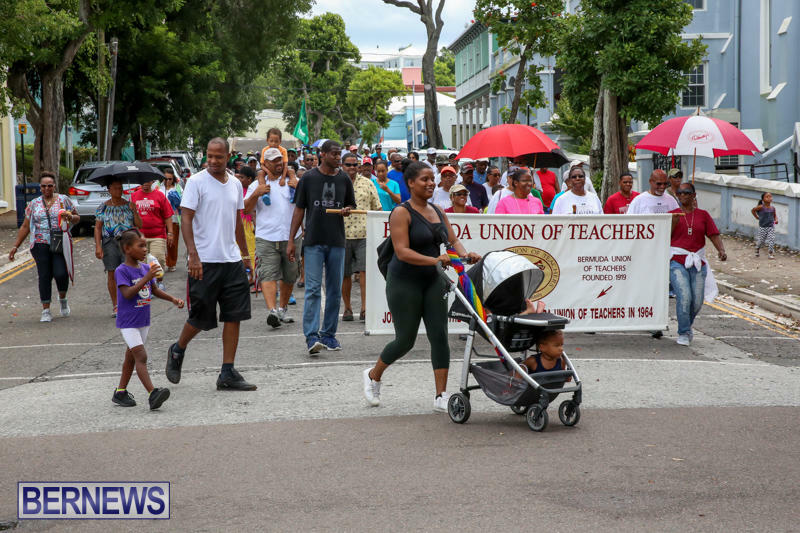 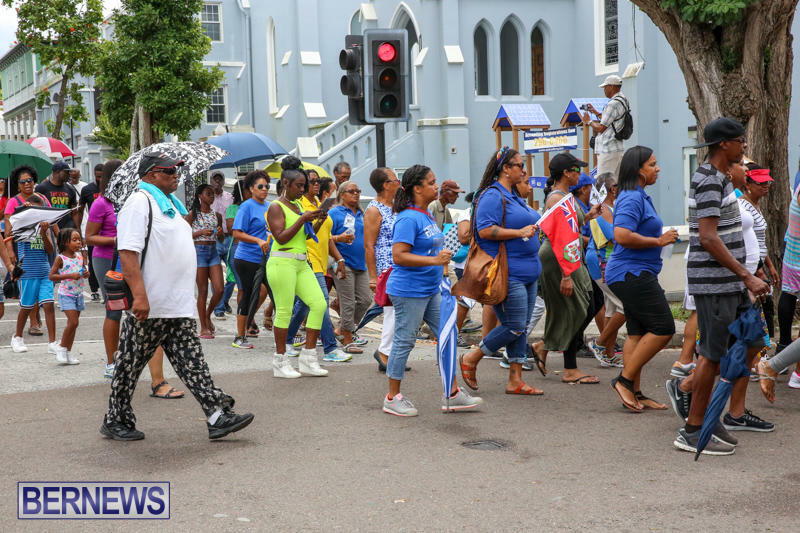 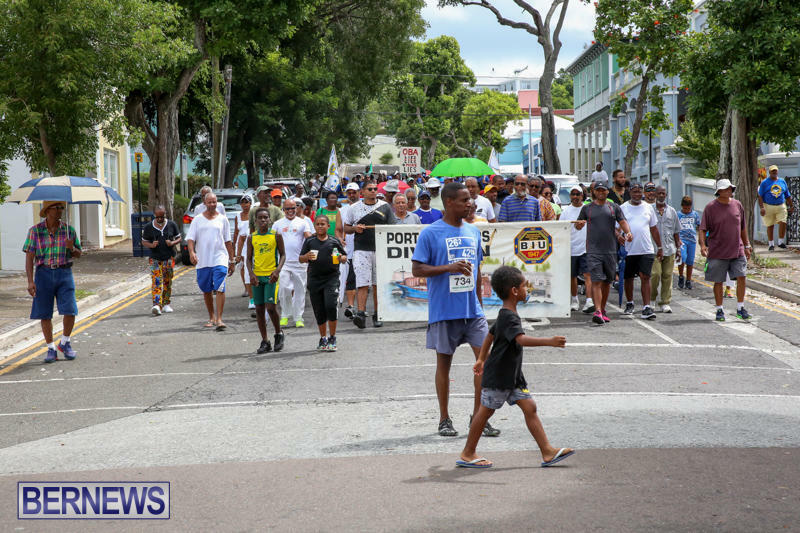 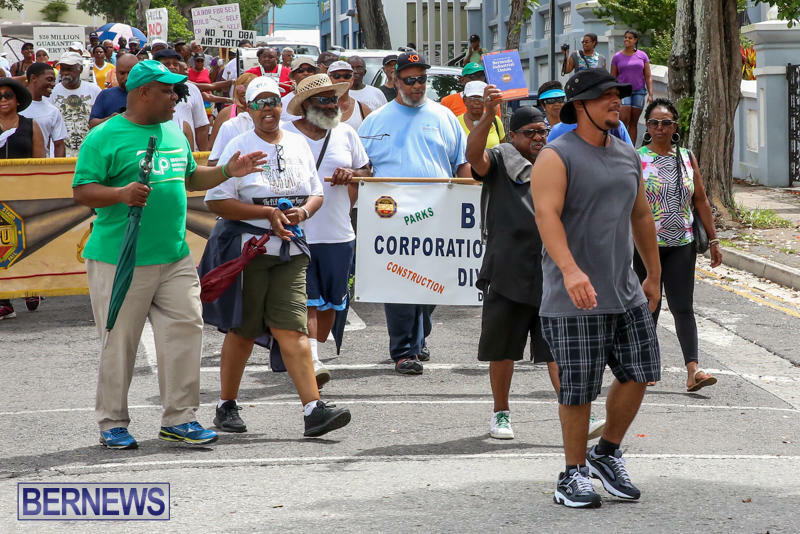 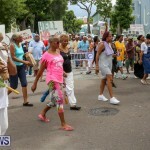 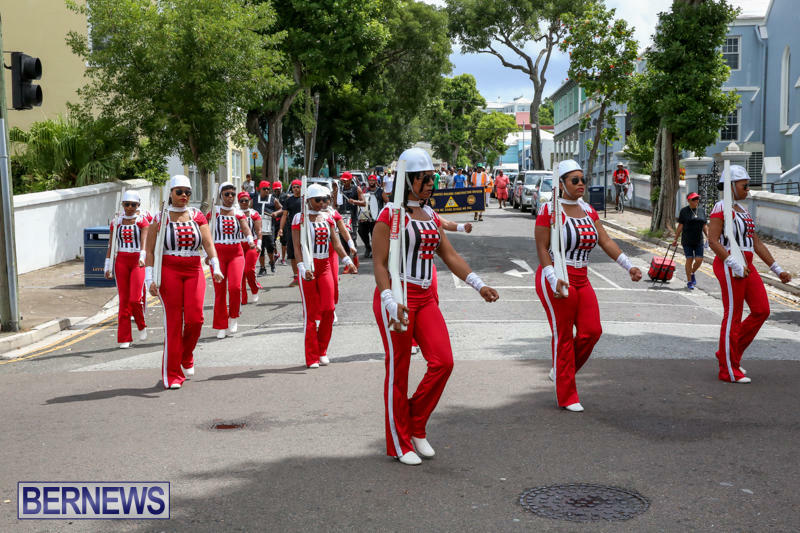 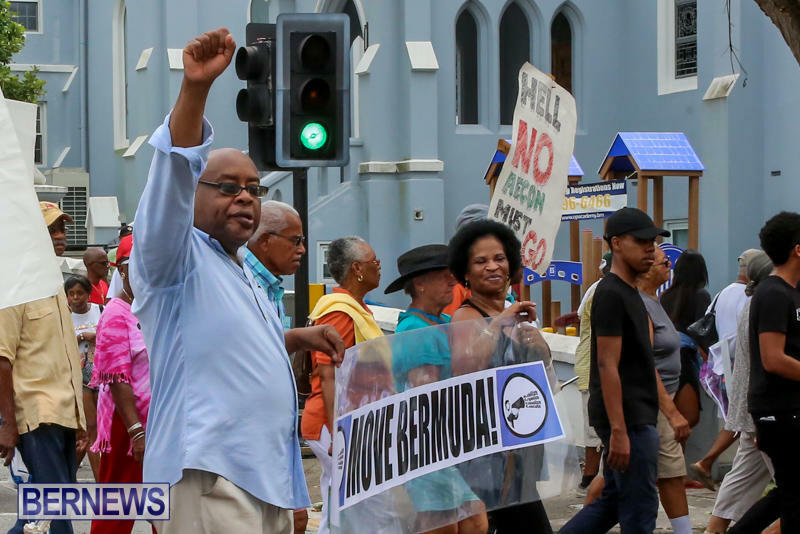 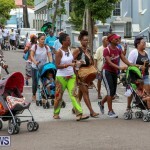 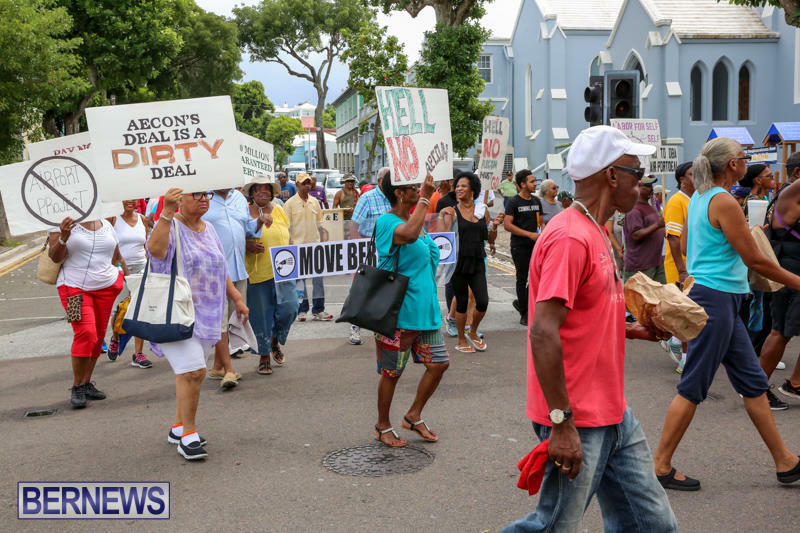 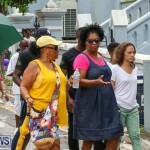 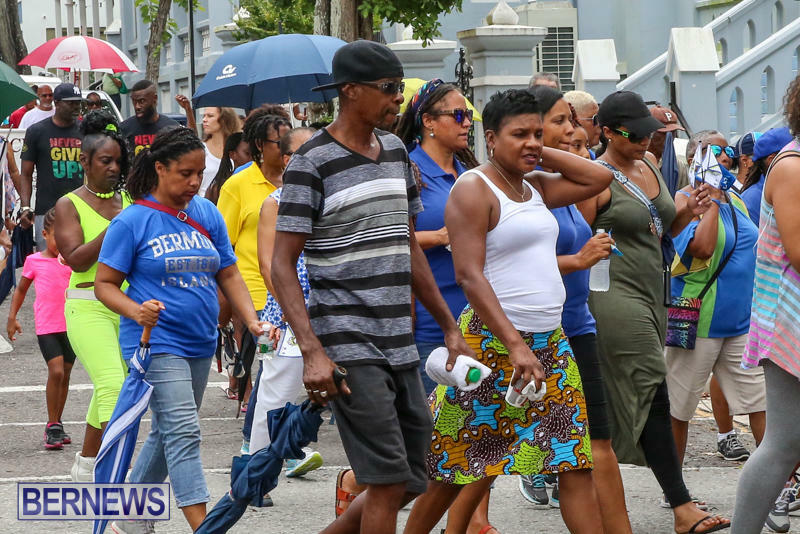 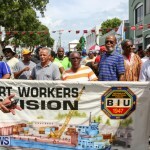 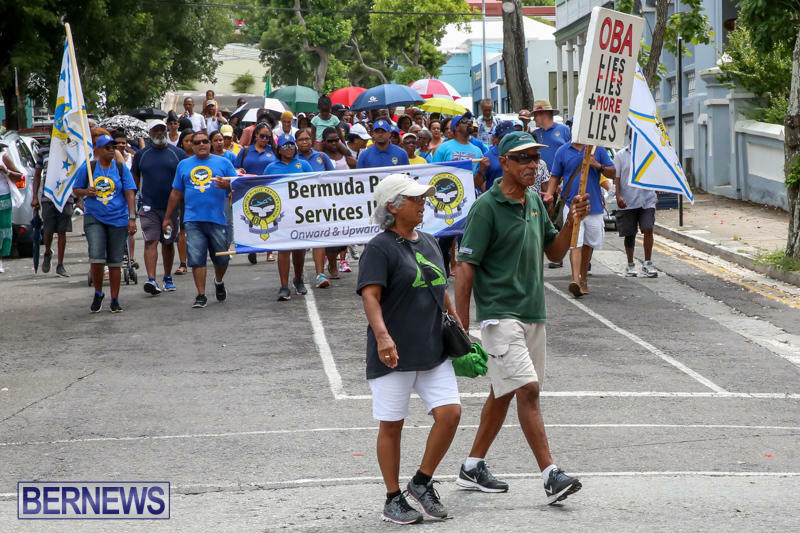 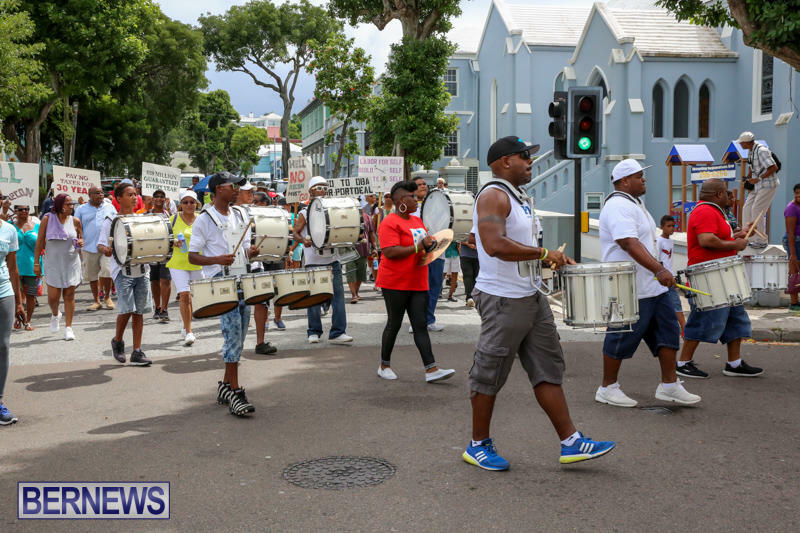 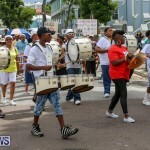 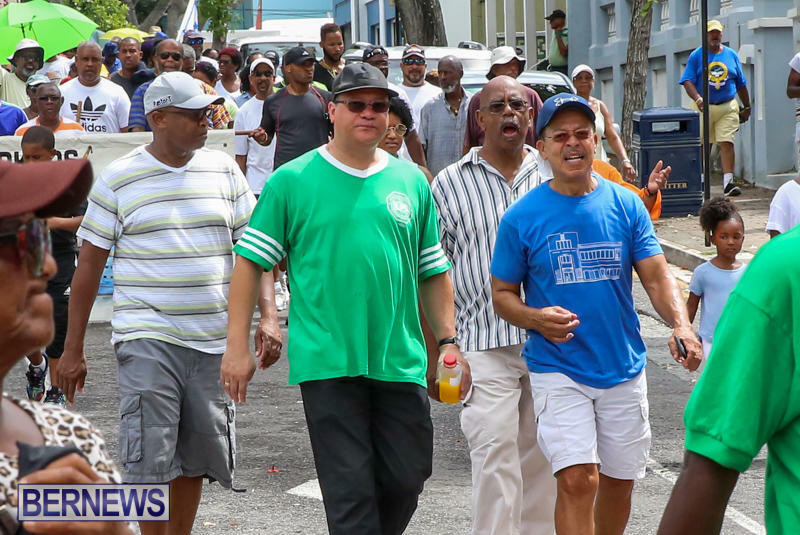 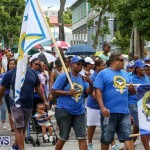 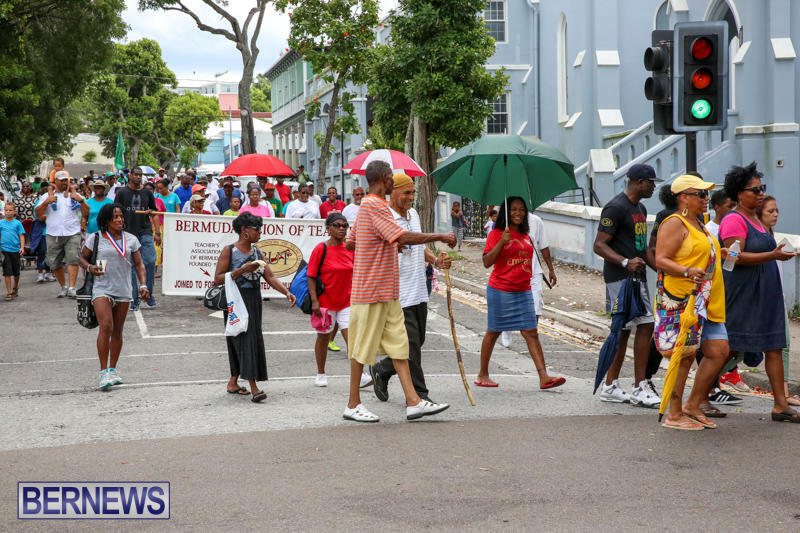 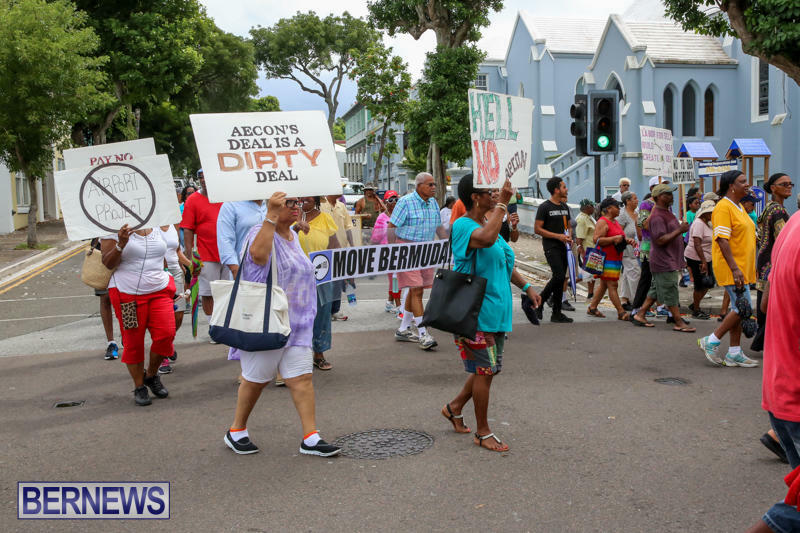 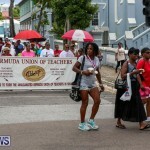 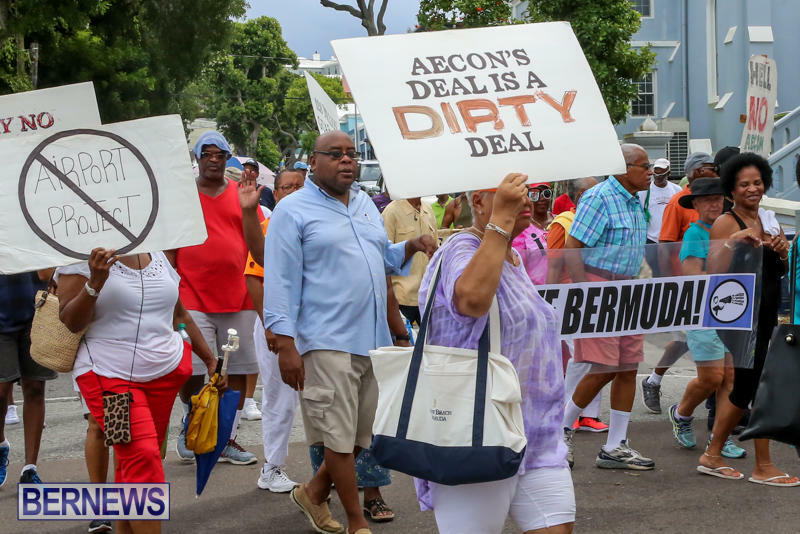 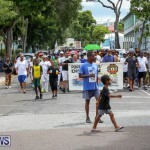 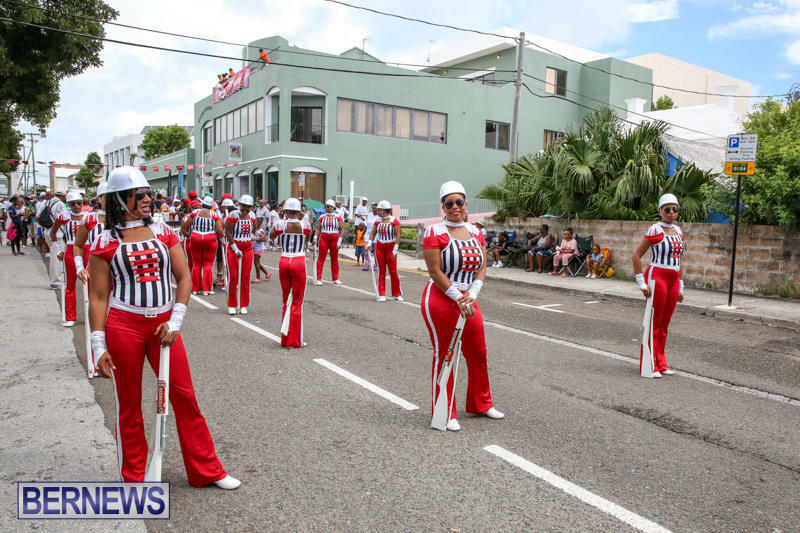 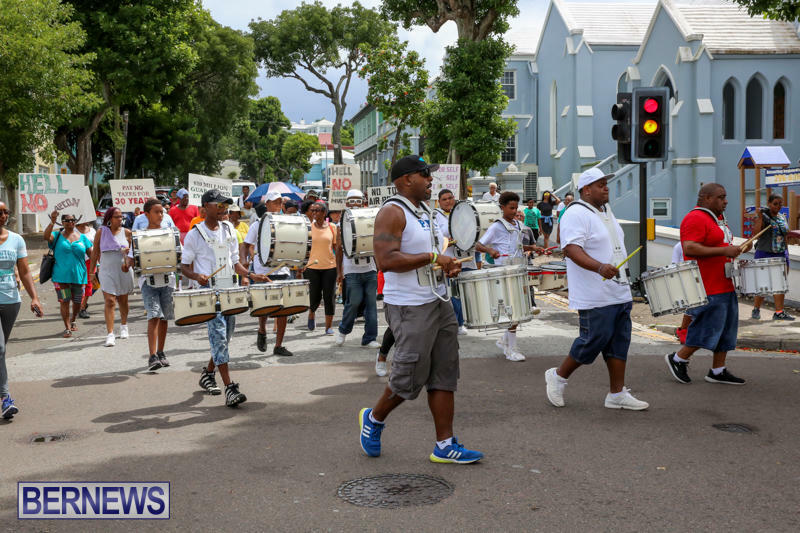 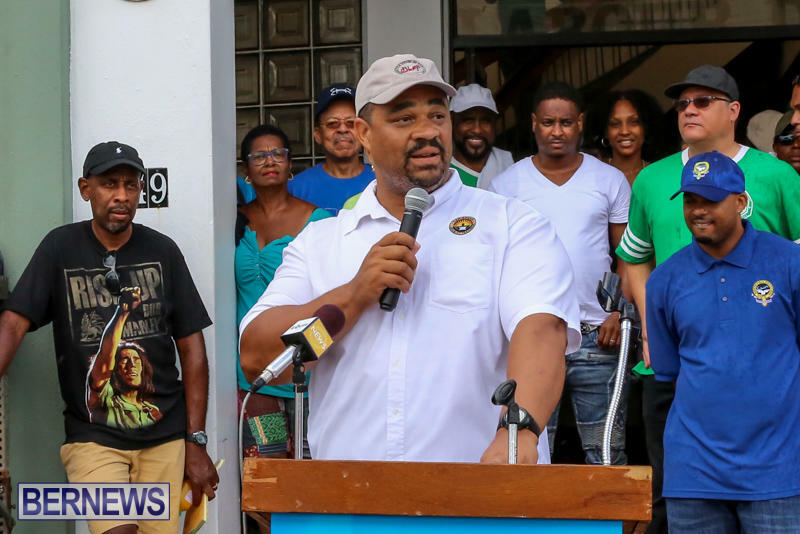 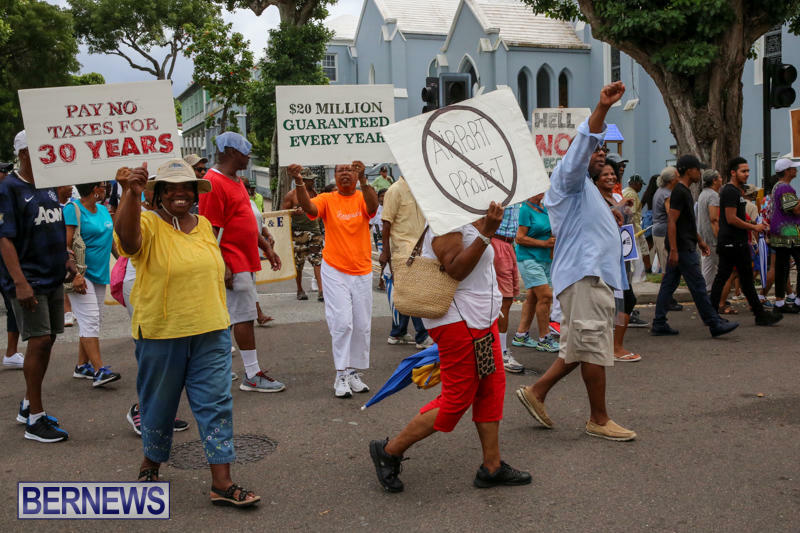 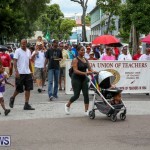 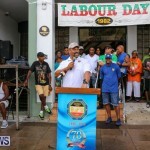 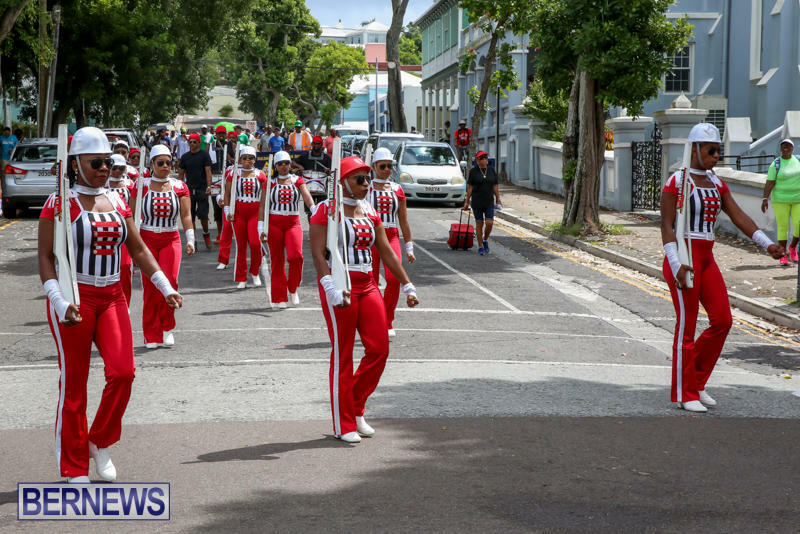 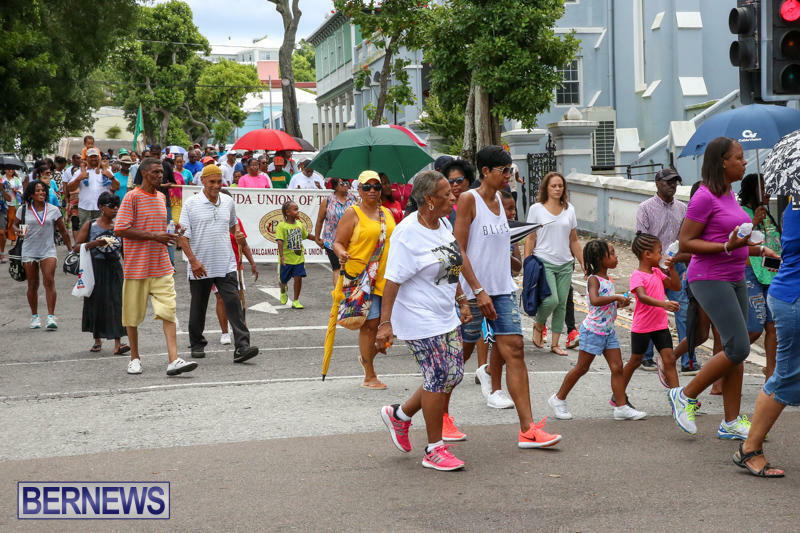 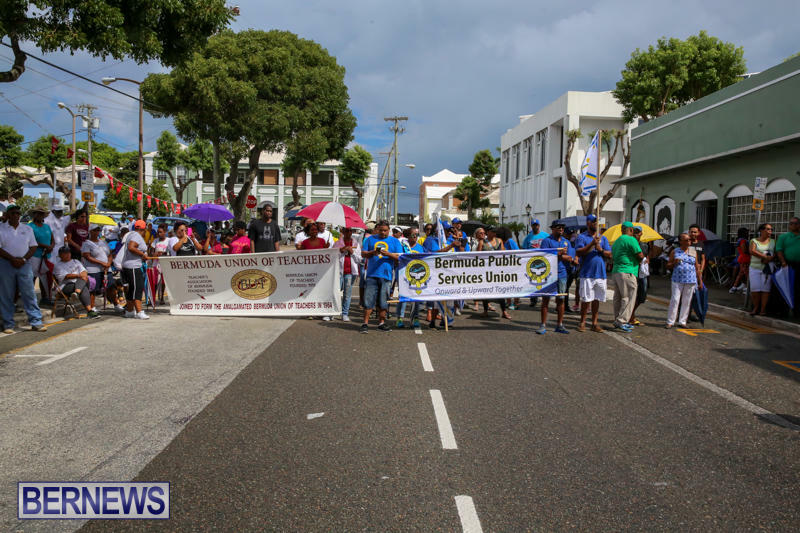 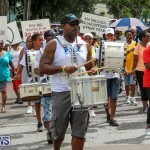 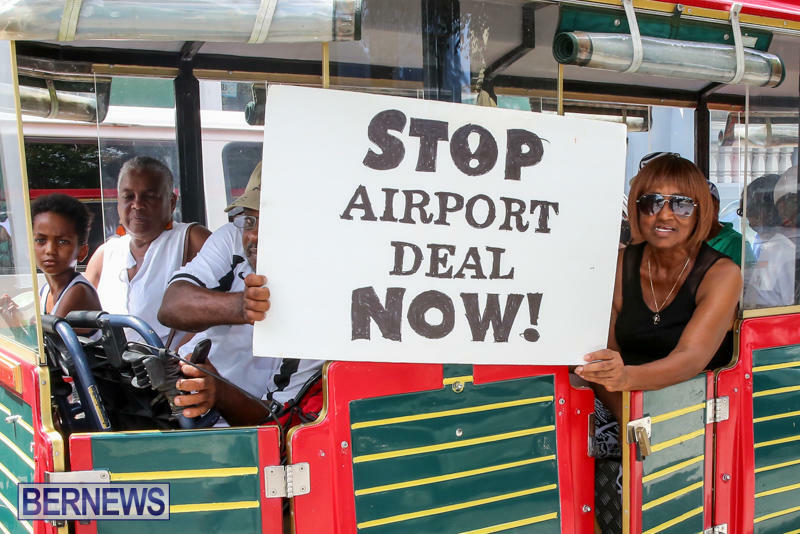 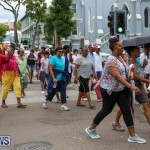 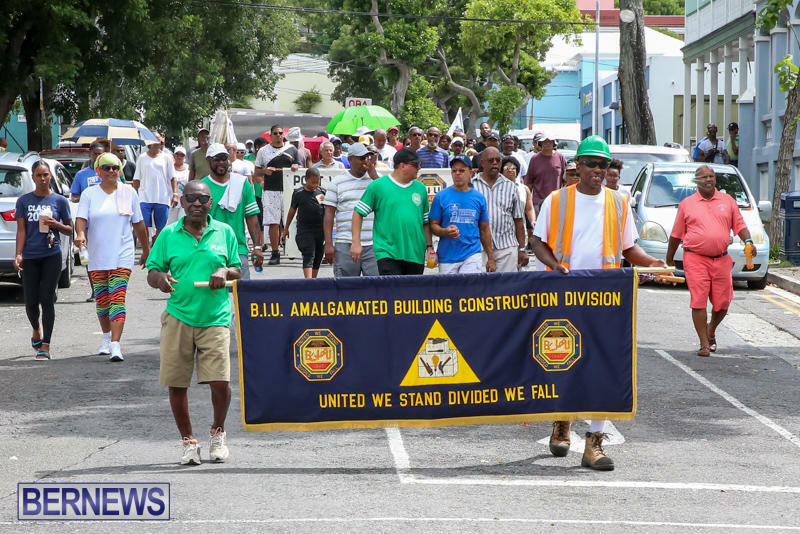 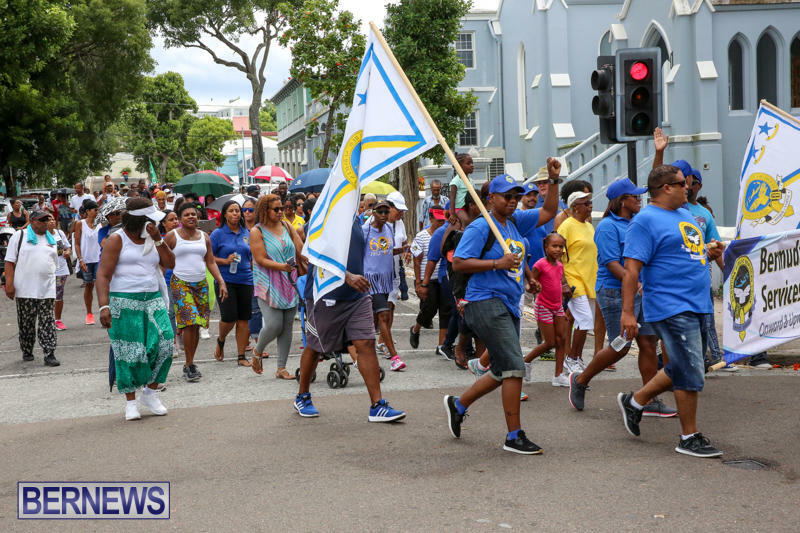 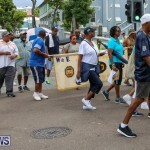 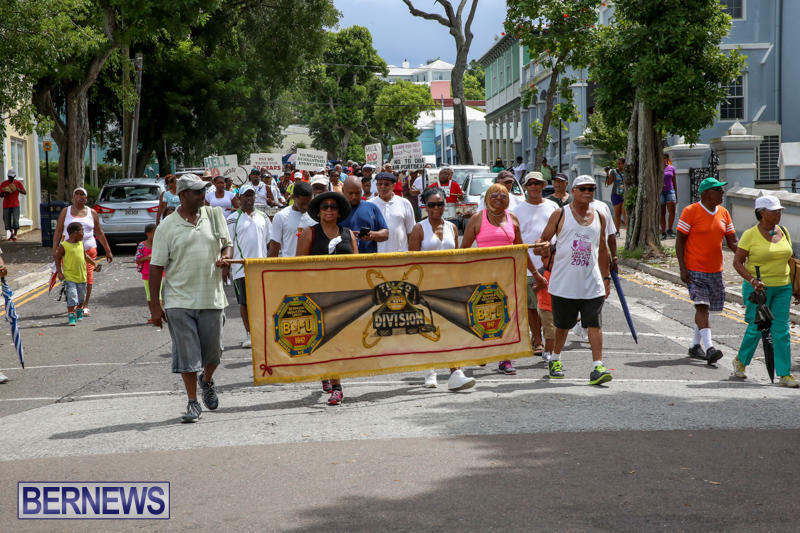 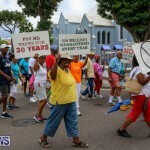 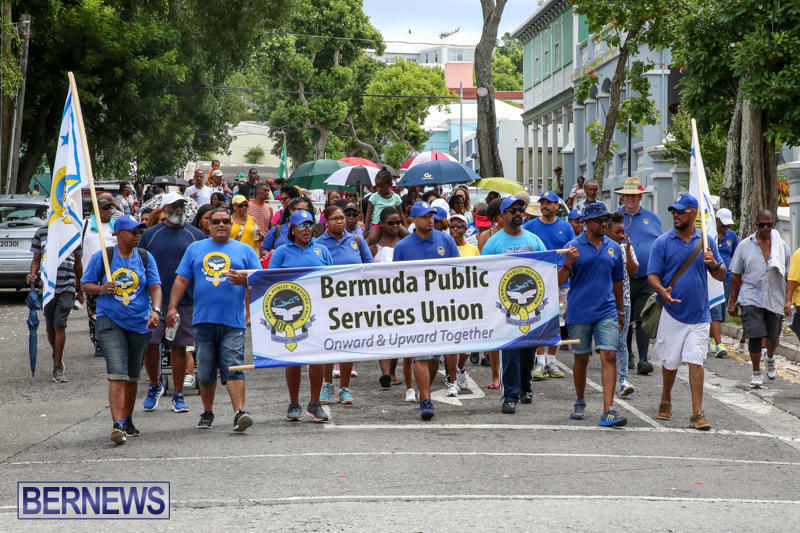 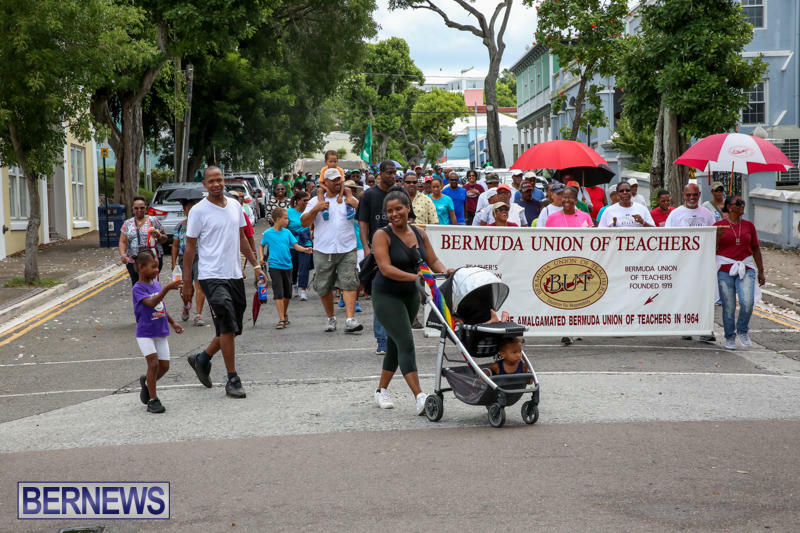 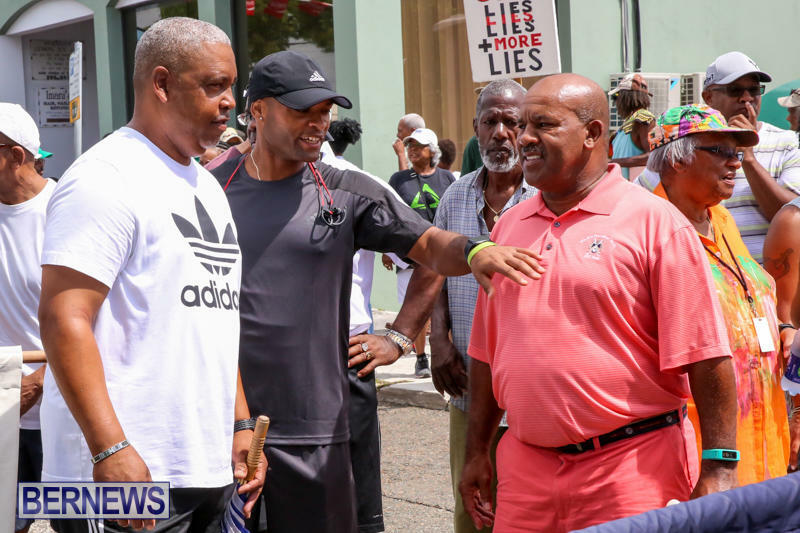 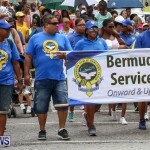 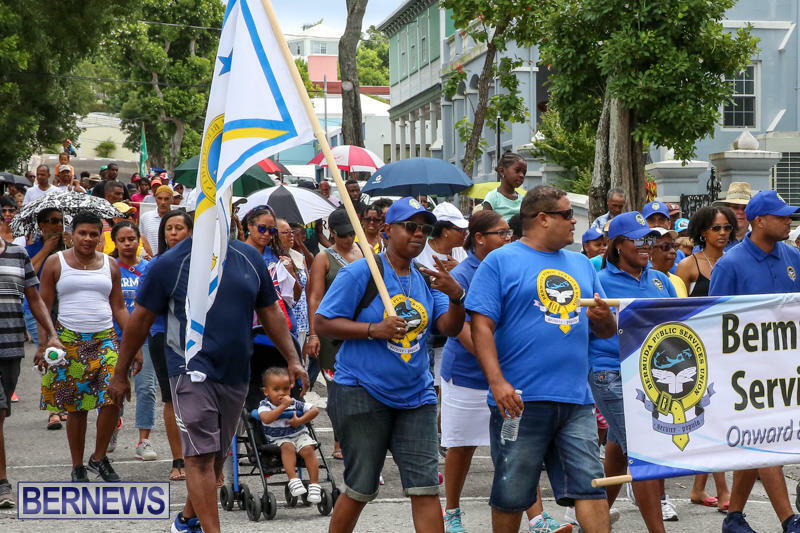 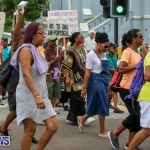 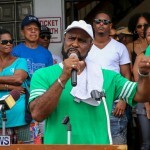 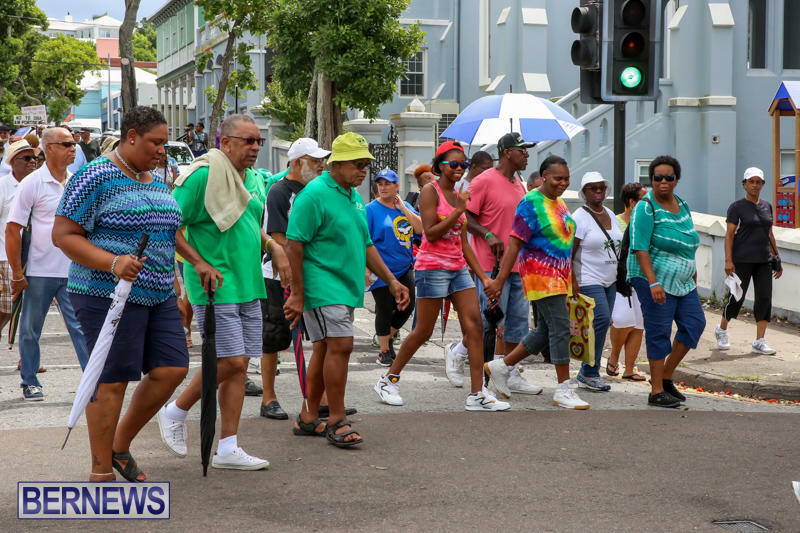 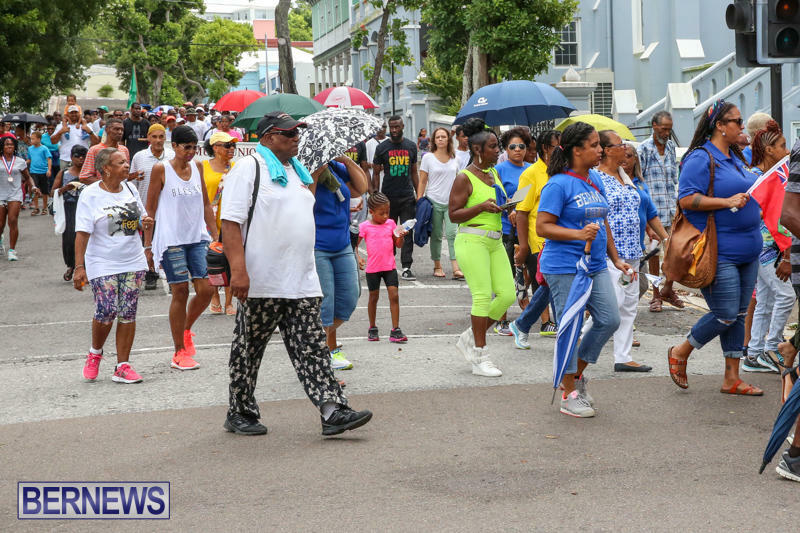 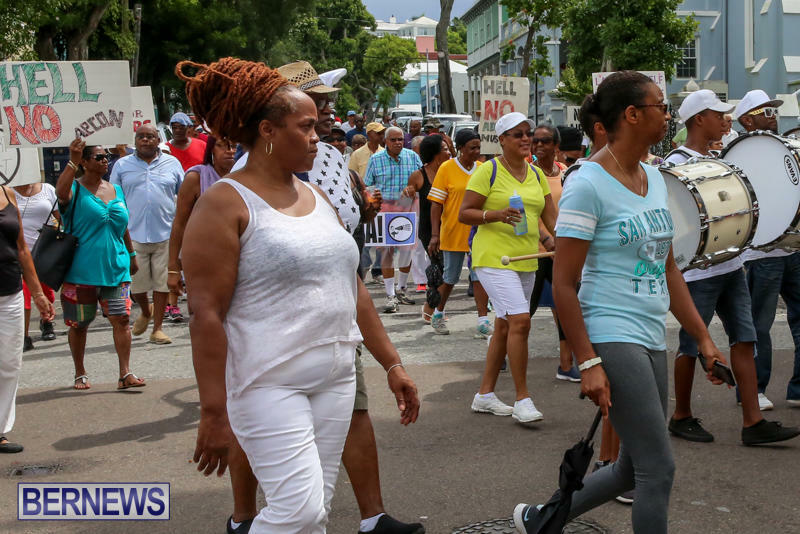 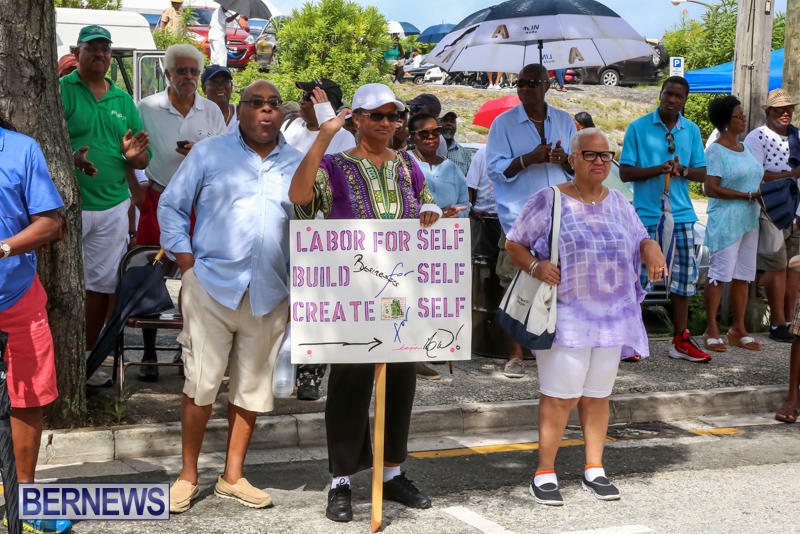 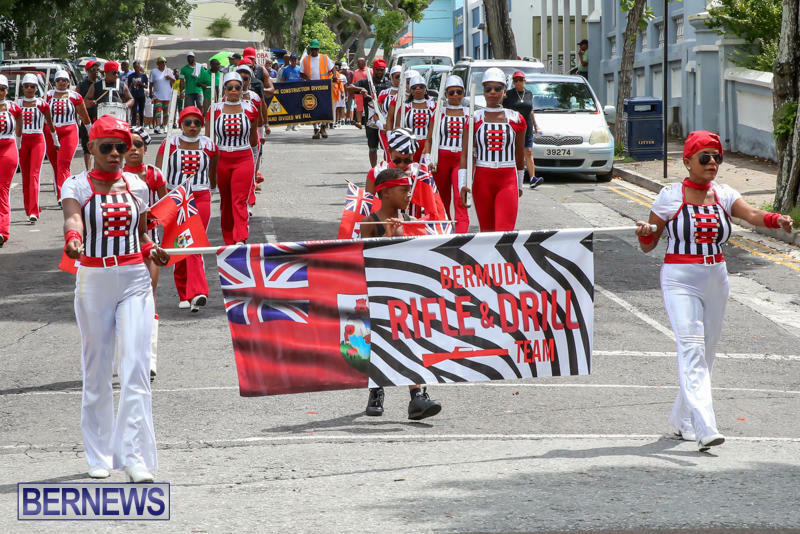 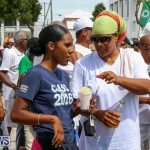 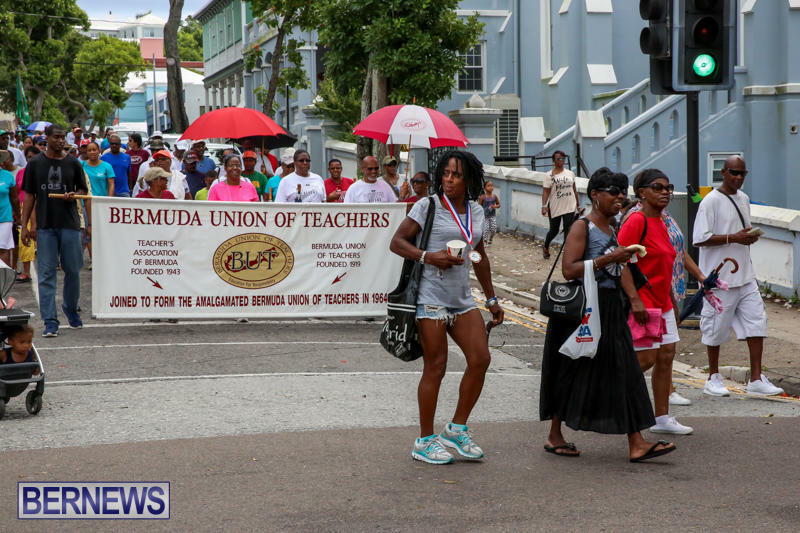 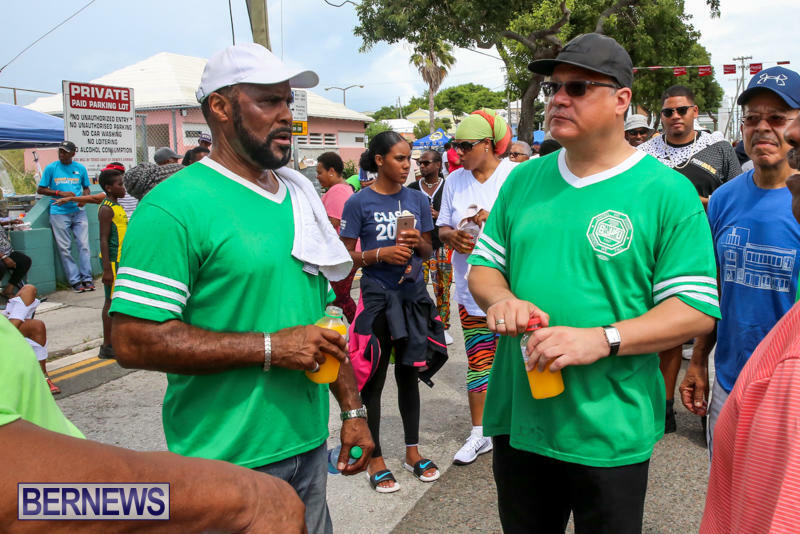 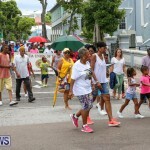 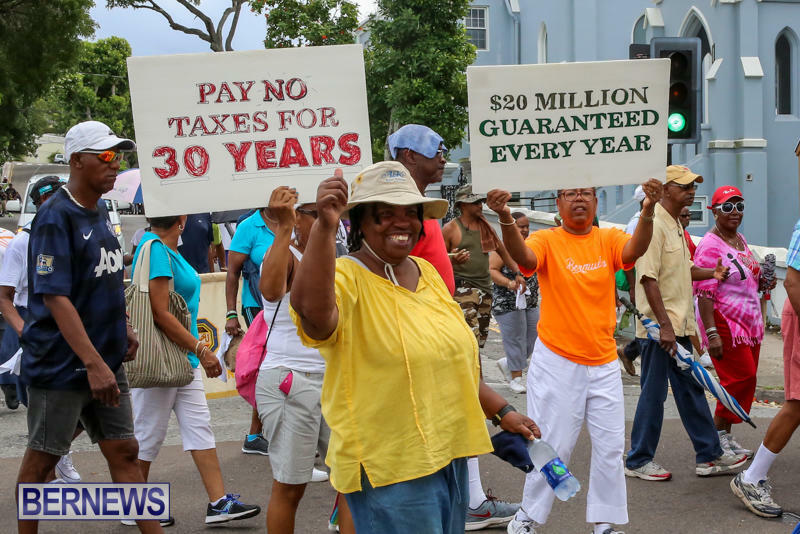 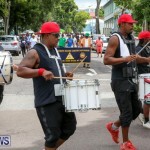 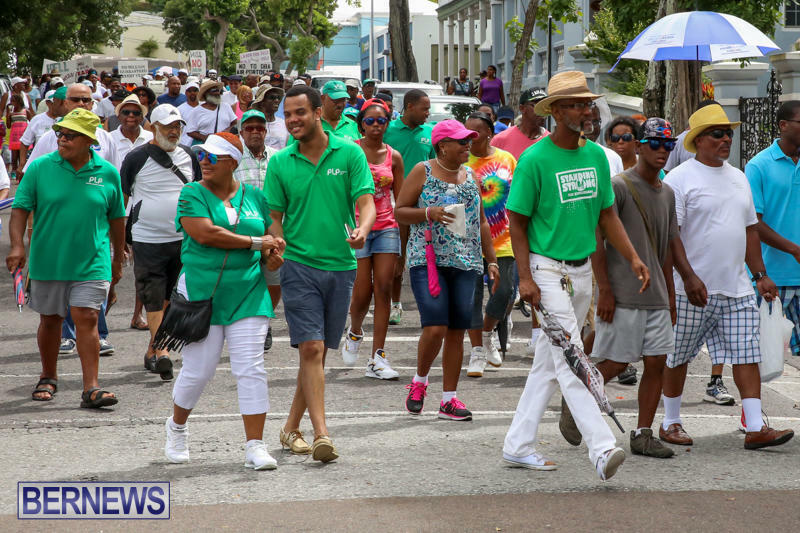 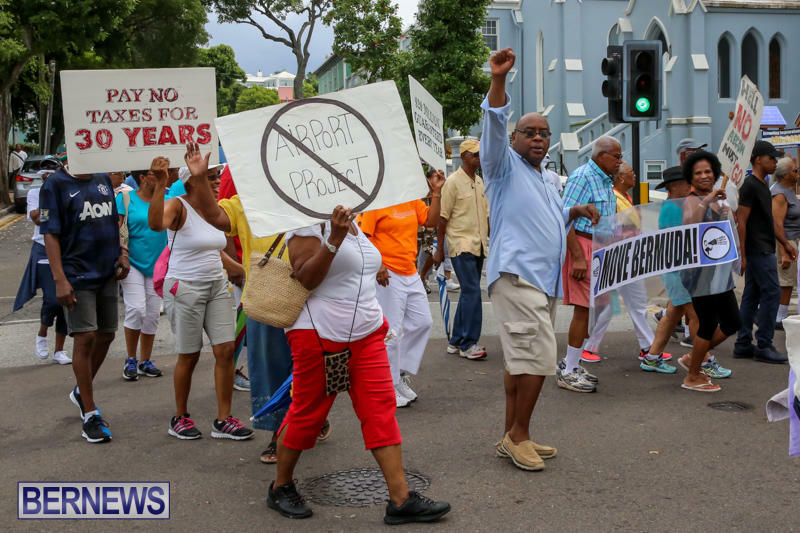 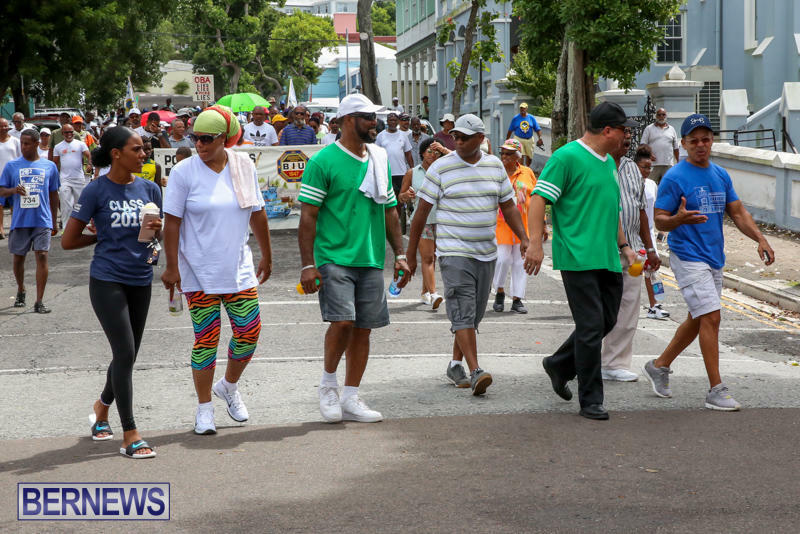 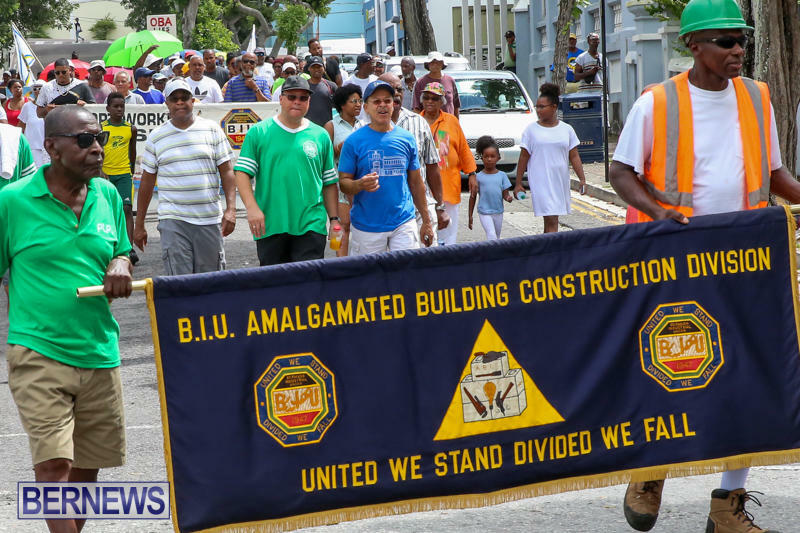 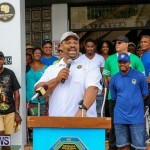 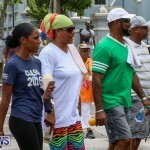 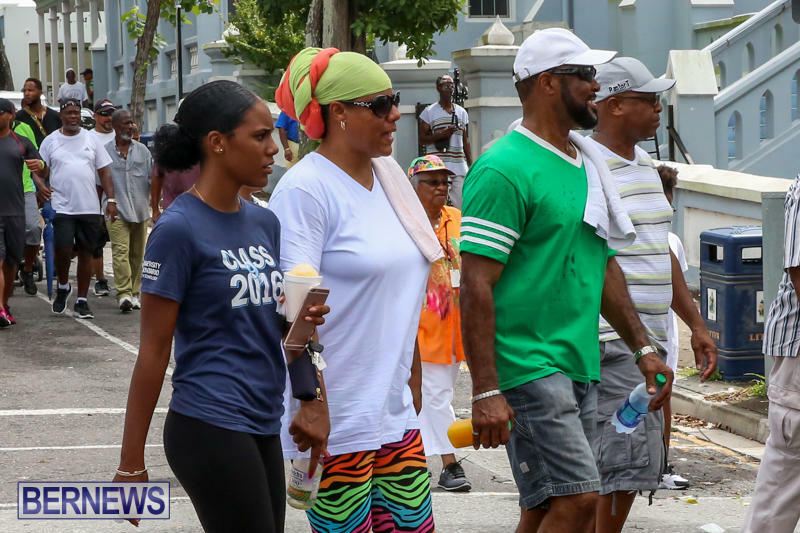 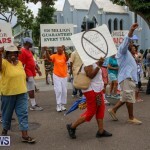 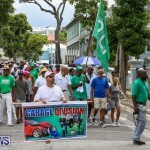 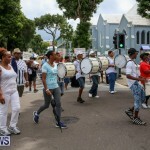 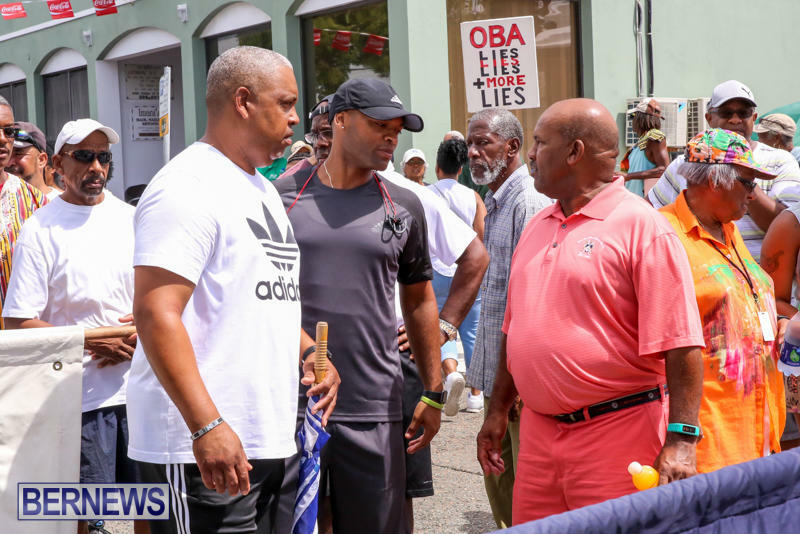 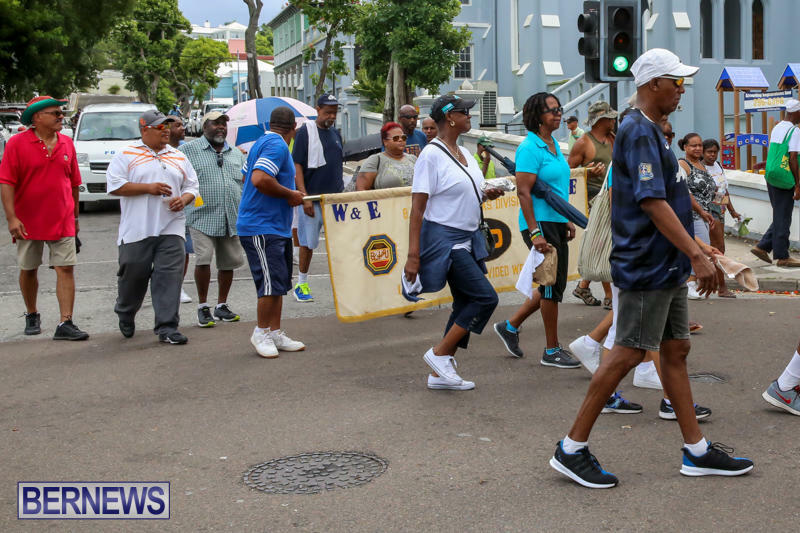 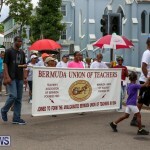 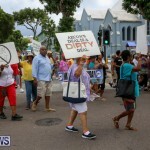 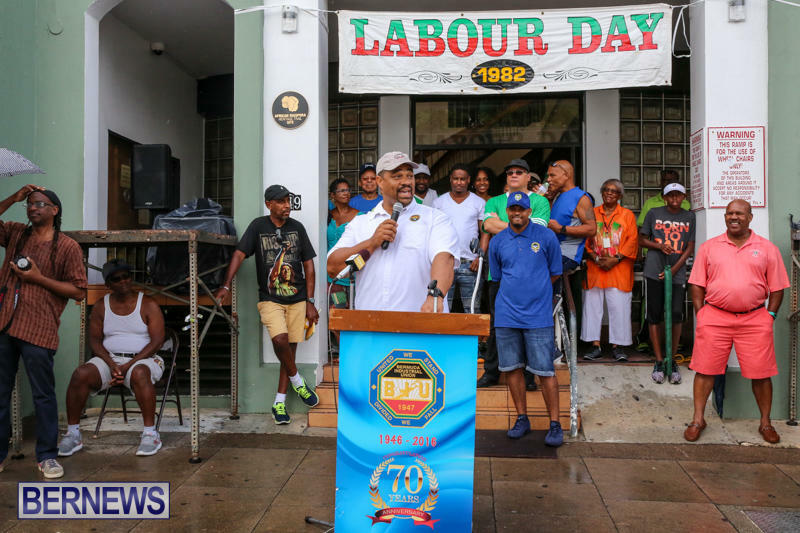 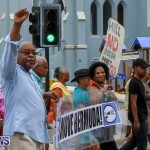 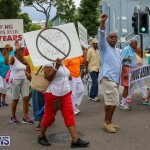 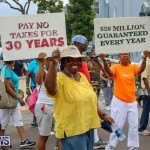 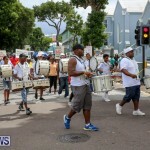 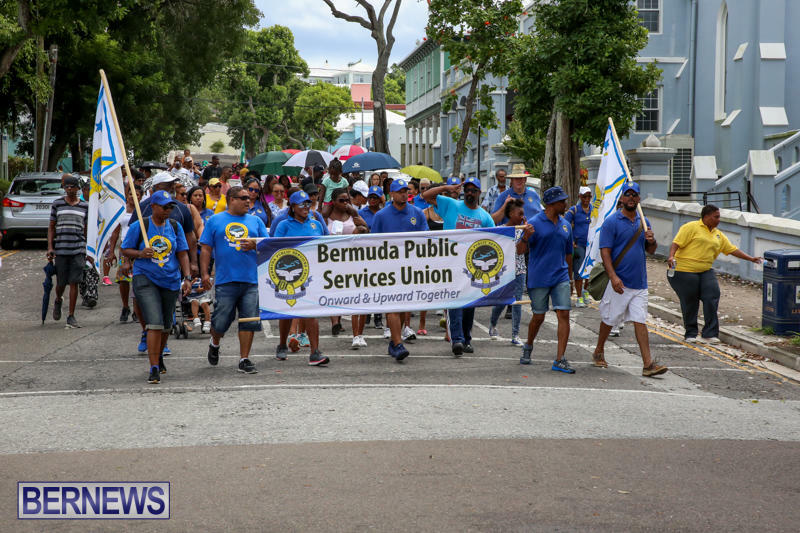 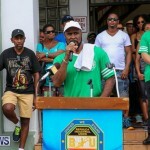 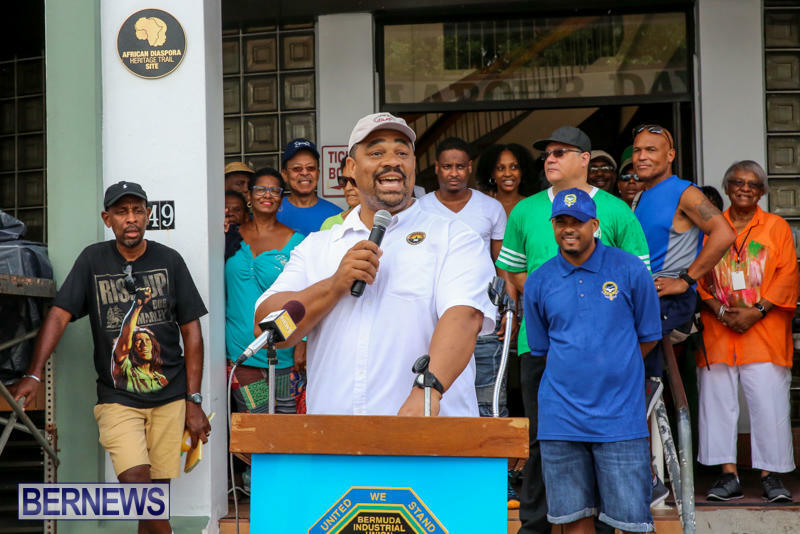 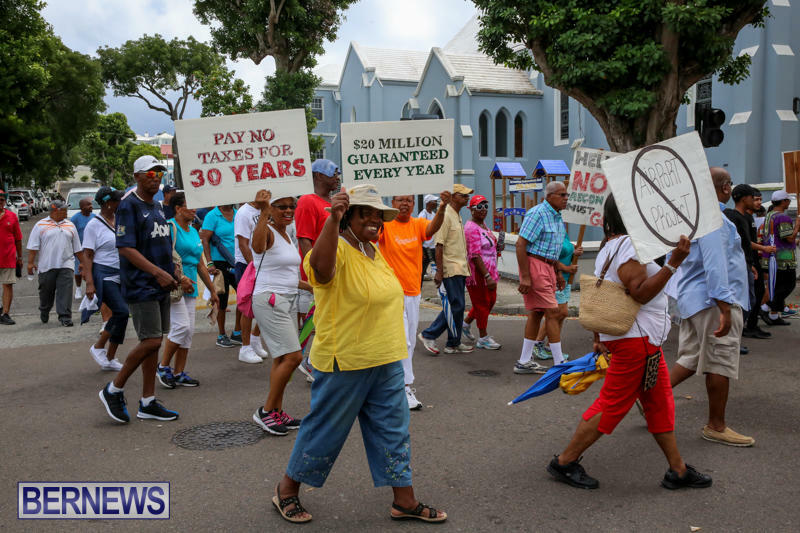 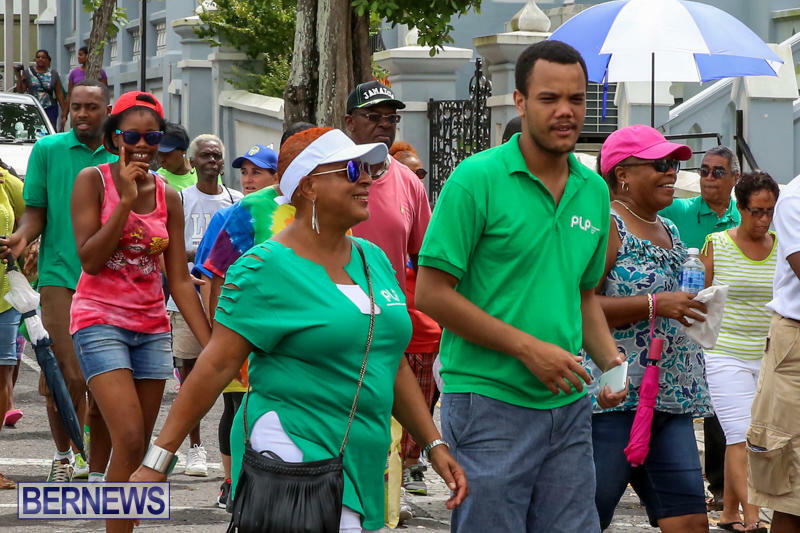 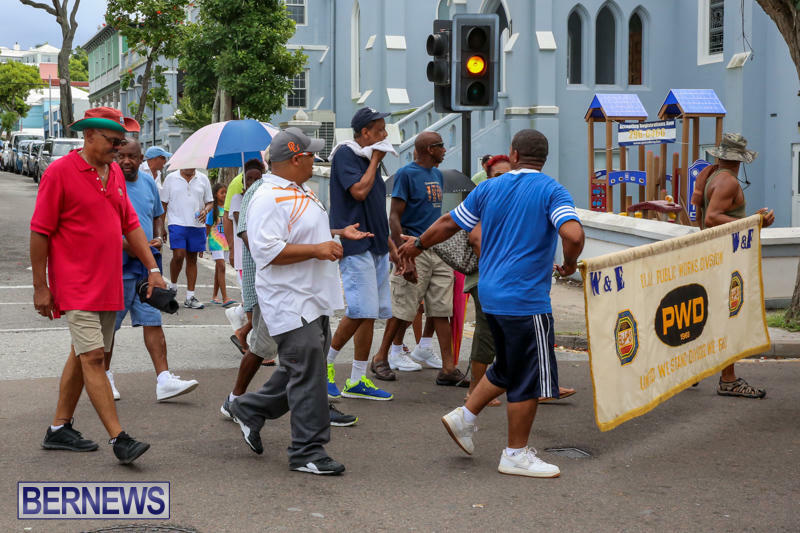 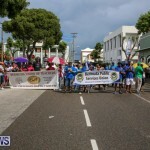 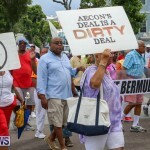 Union Leaders went on to address the crowd, with speakers including Bermuda Union of Teachers President Shannon James, Bermuda Entertainment Union President Leroy Simmons, BPSU President Jason Hayward, and BIU President Chris Furbert. 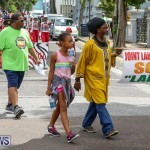 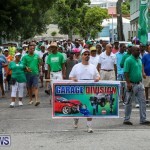 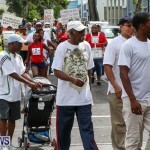 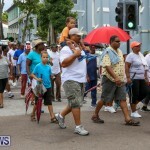 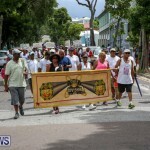 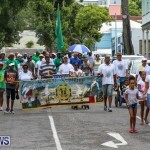 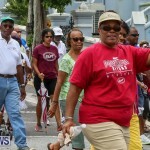 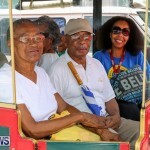 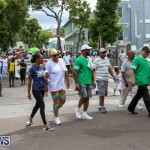 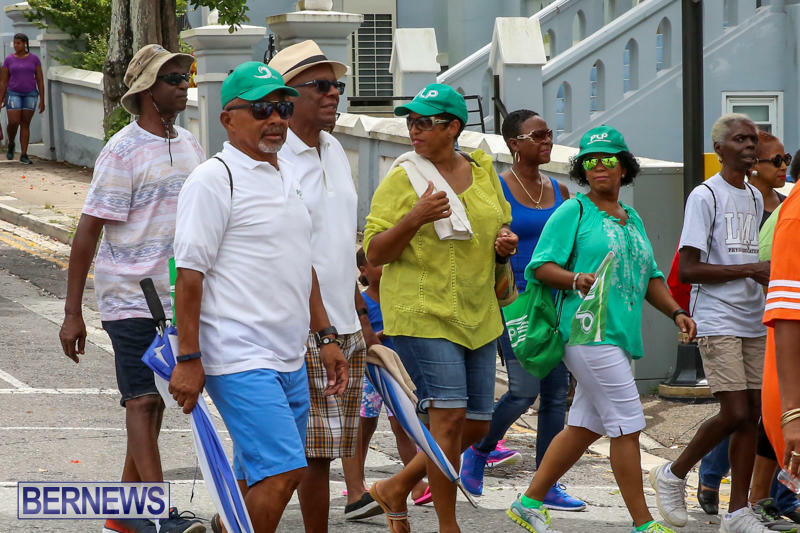 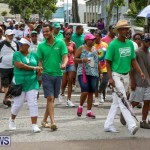 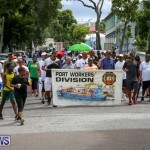 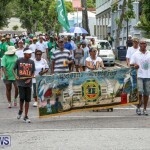 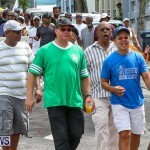 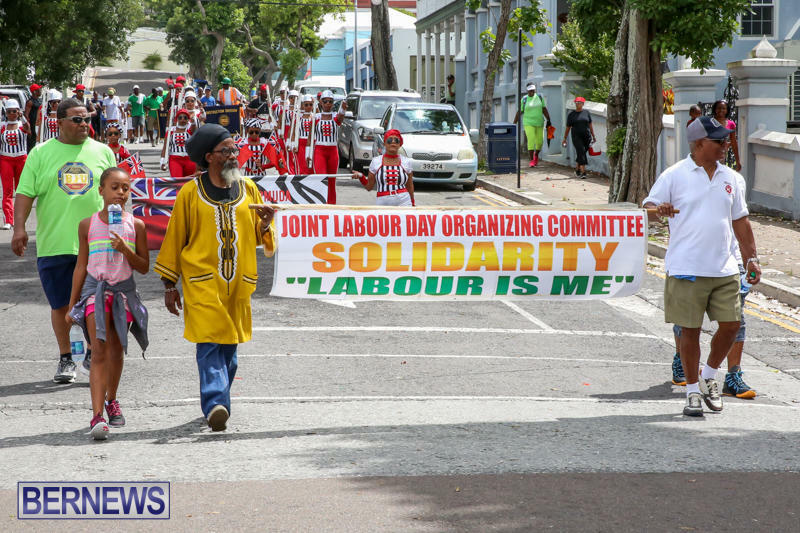 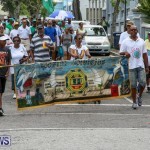 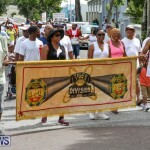 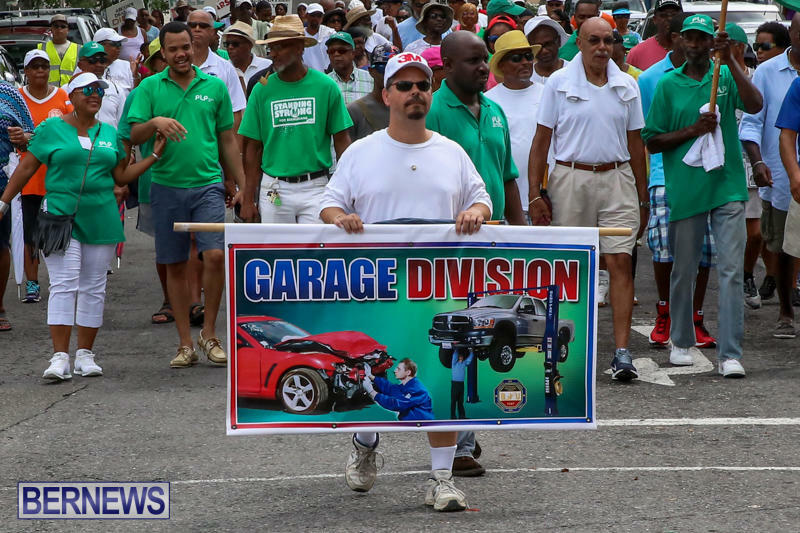 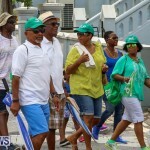 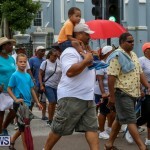 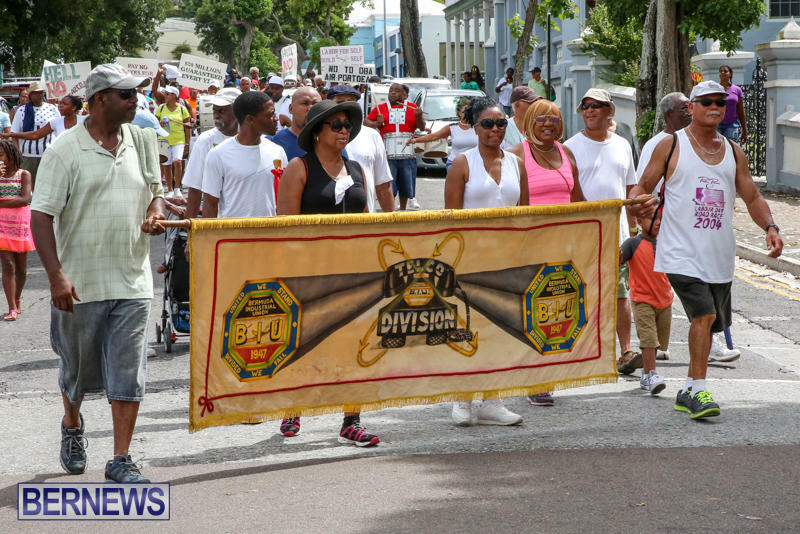 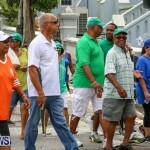 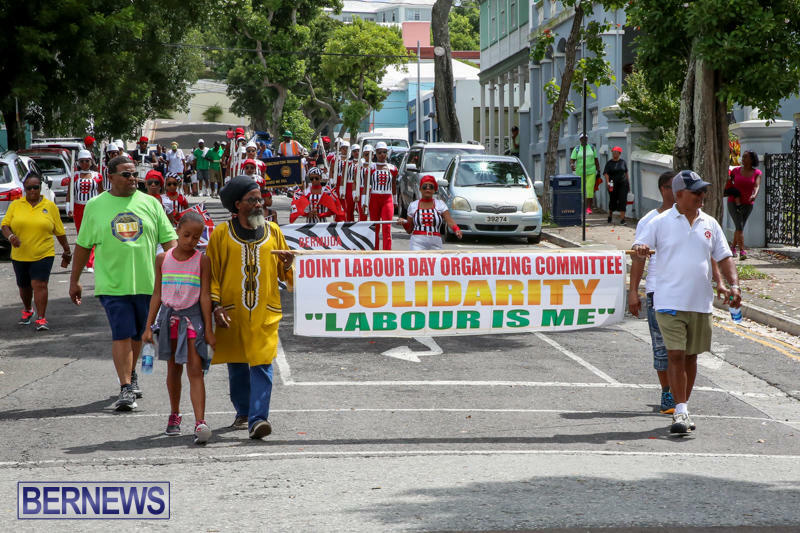 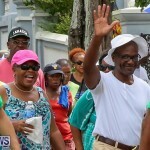 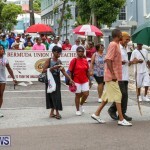 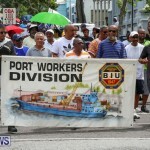 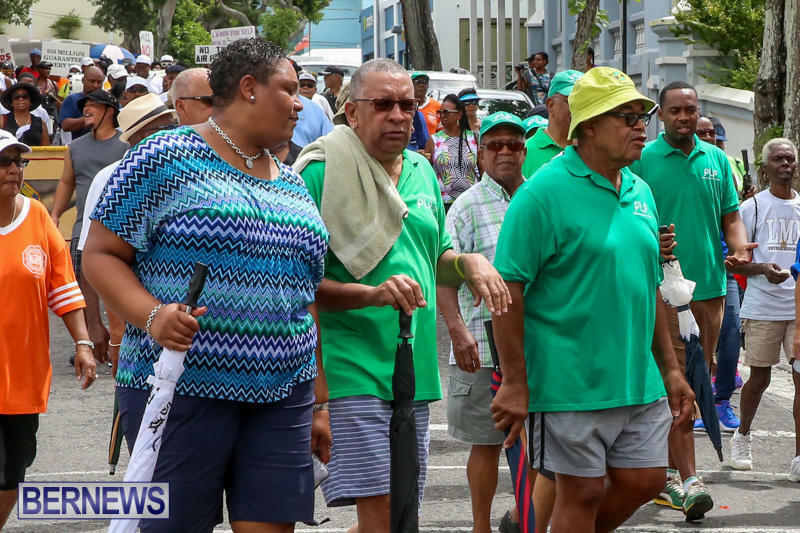 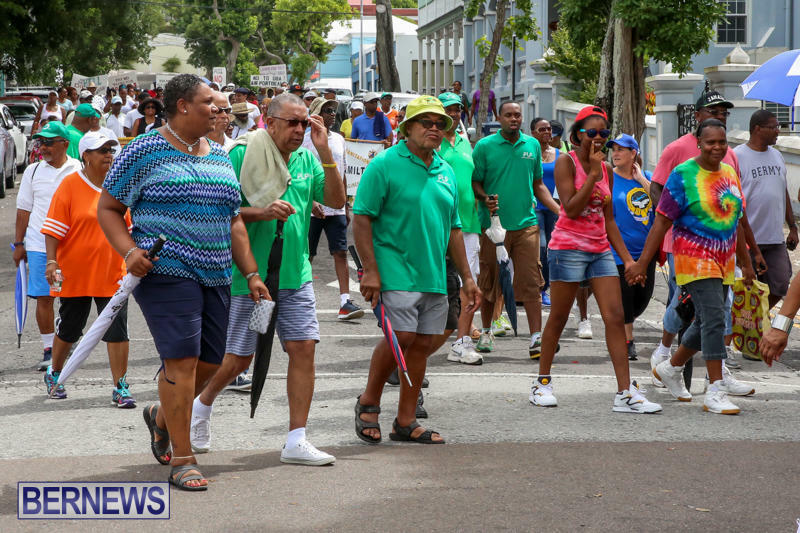 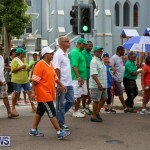 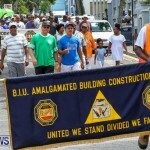 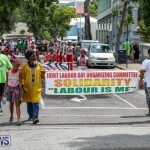 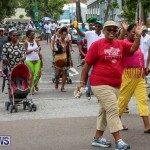 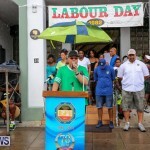 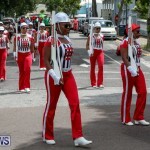 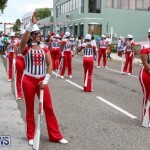 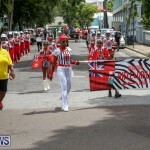 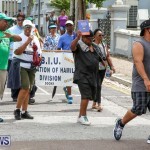 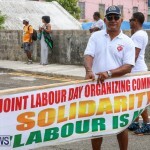 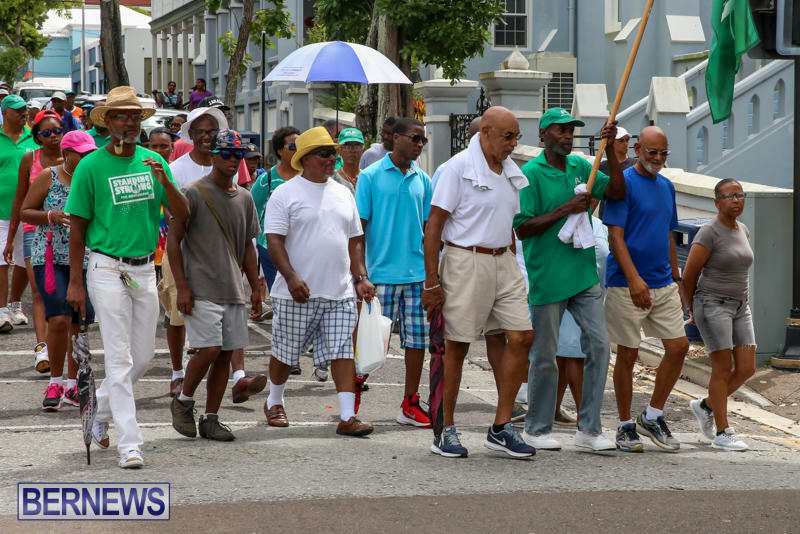 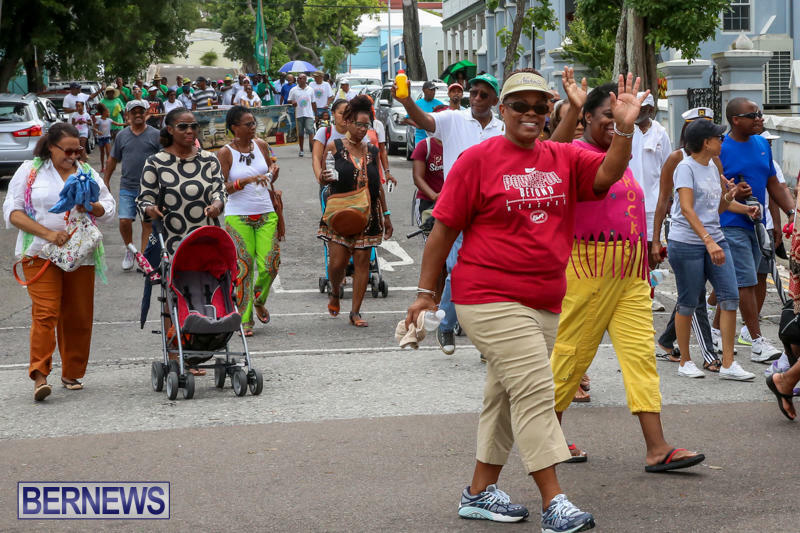 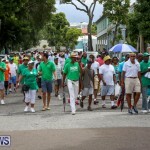 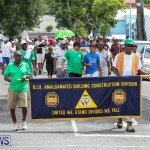 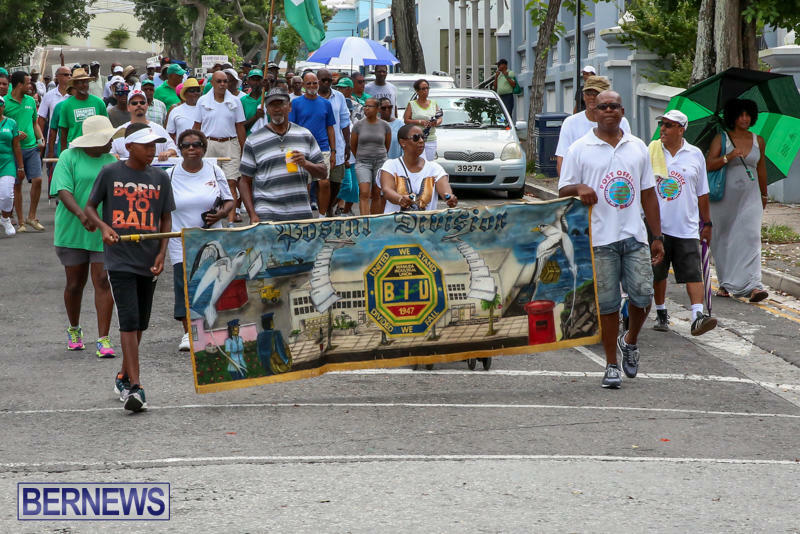 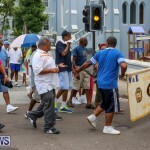 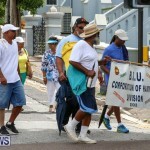 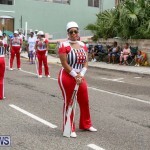 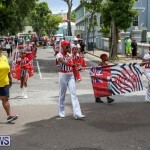 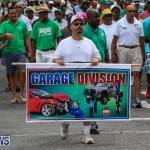 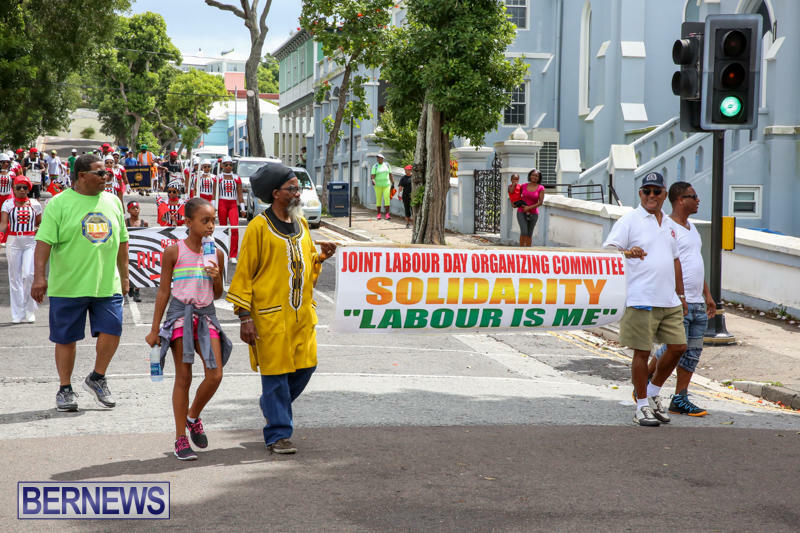 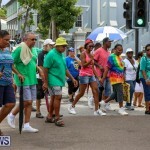 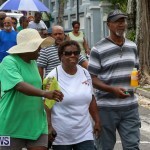 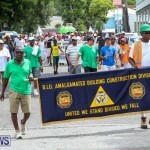 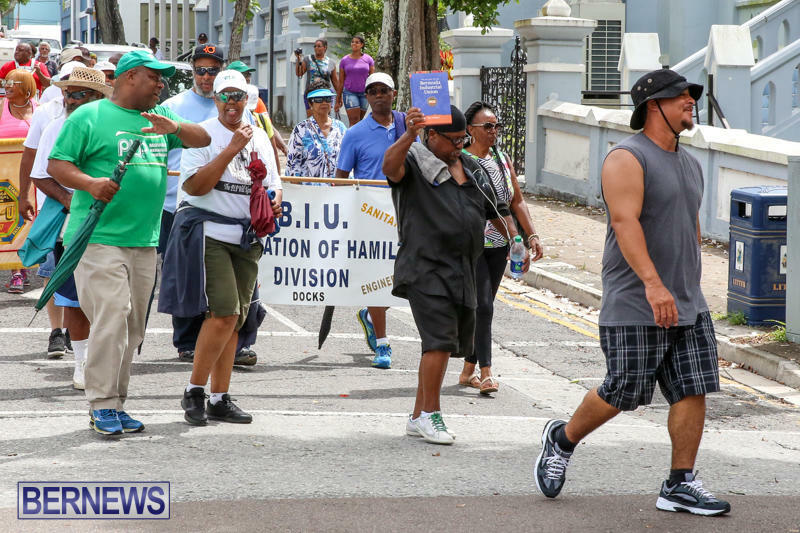 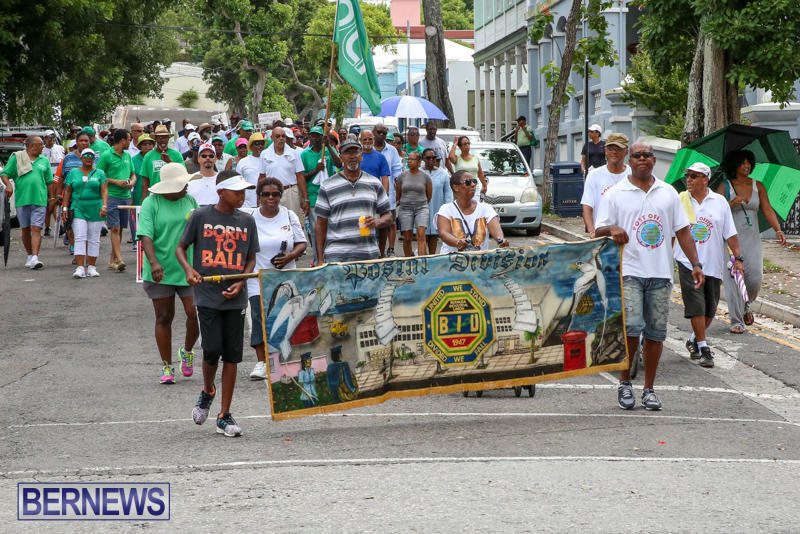 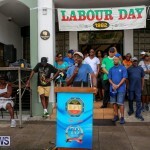 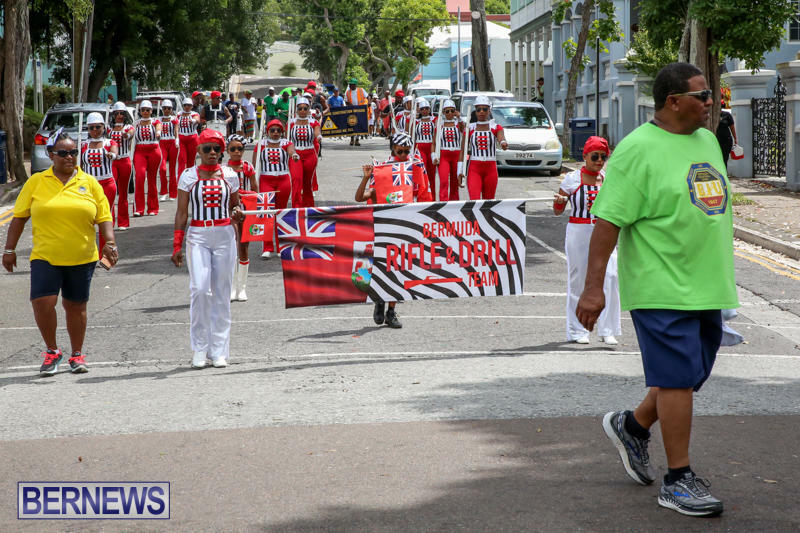 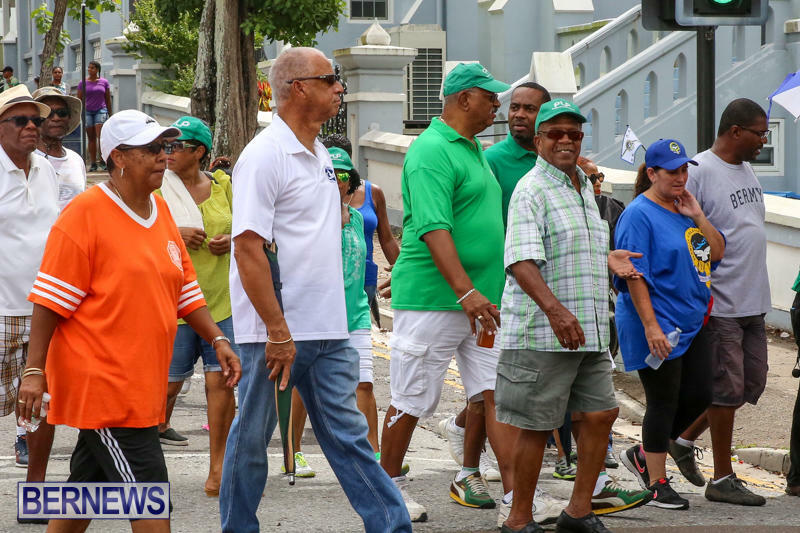 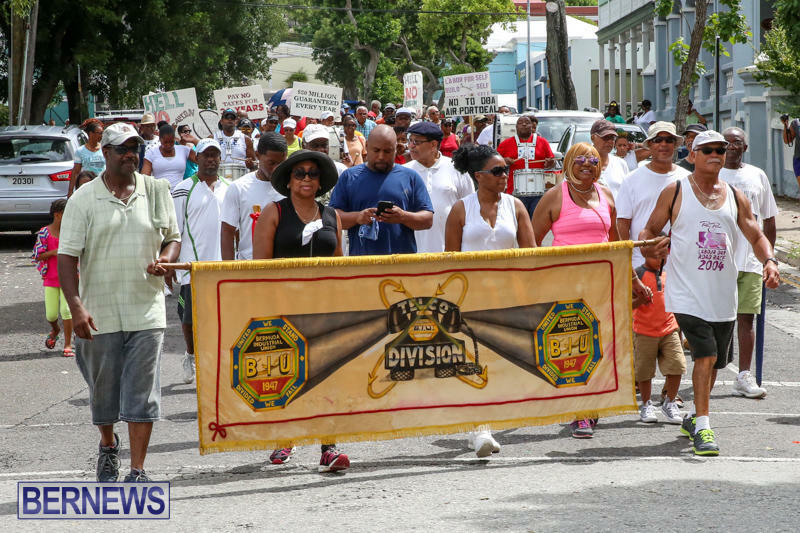 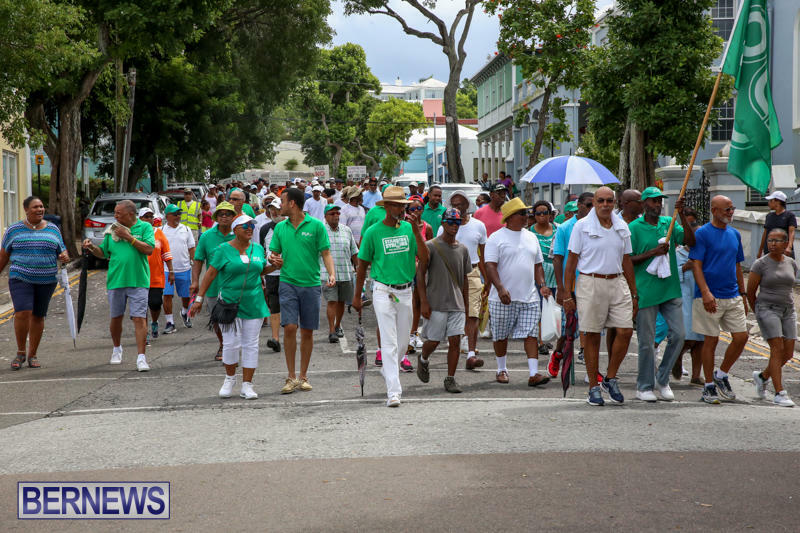 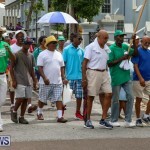 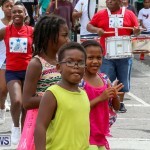 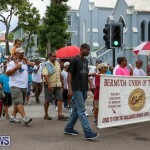 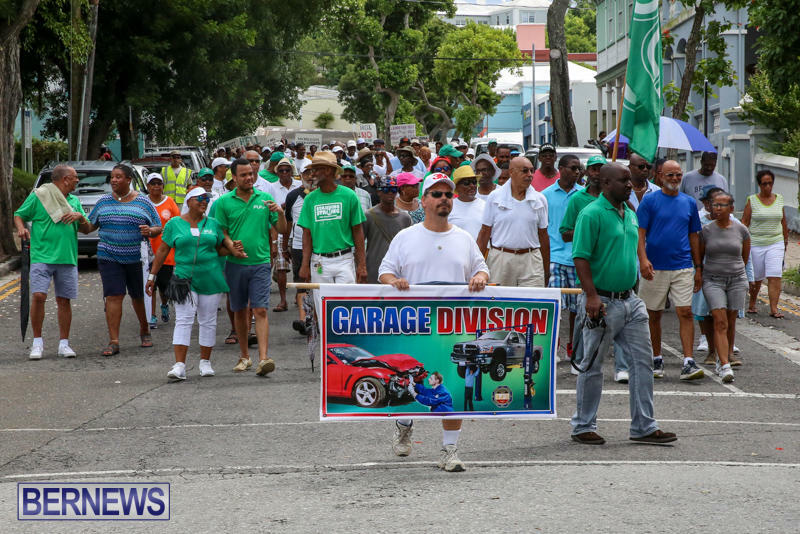 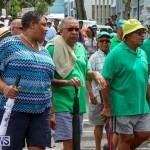 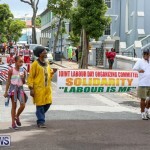 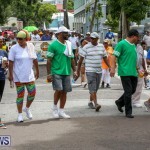 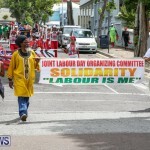 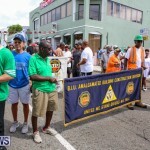 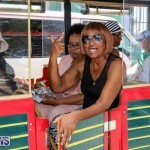 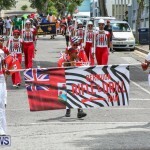 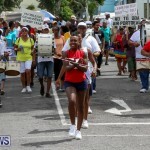 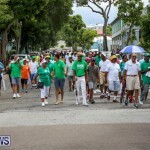 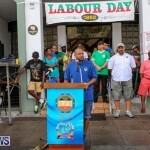 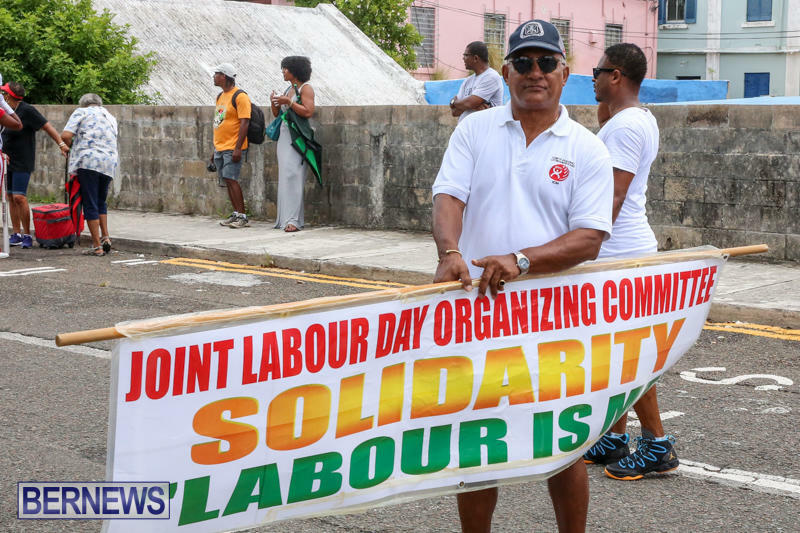 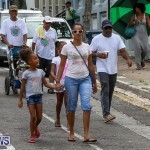 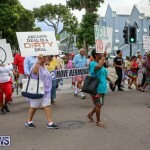 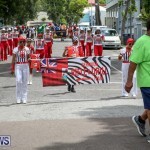 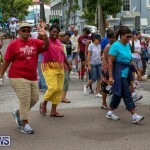 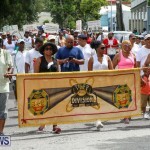 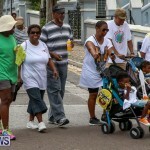 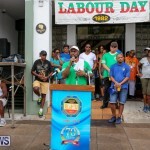 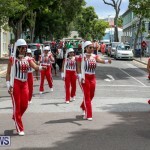 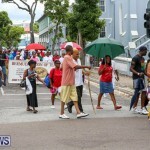 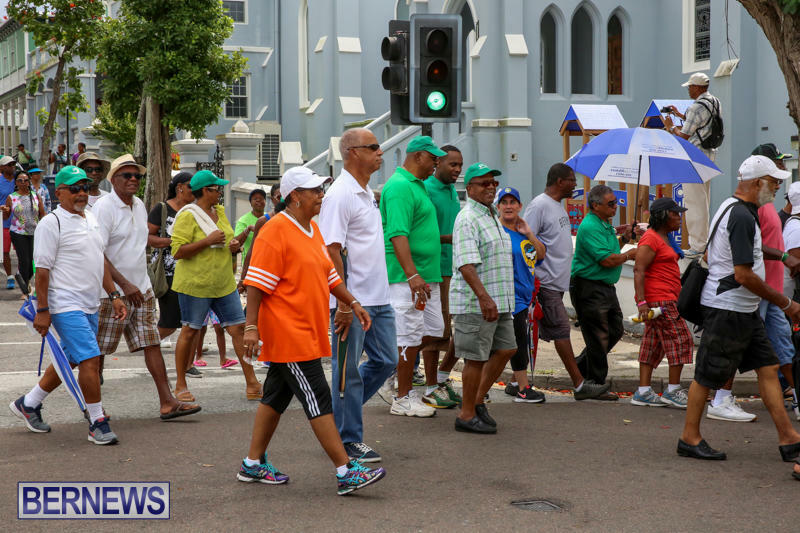 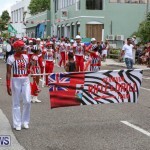 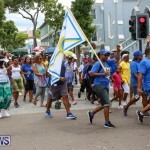 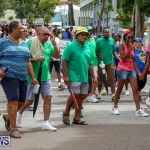 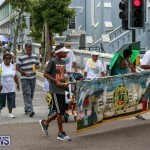 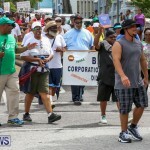 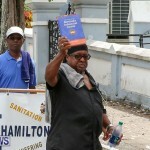 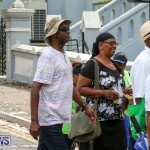 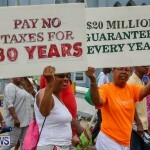 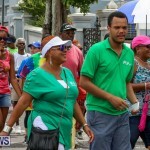 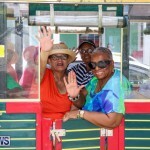 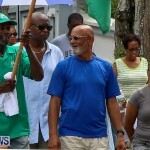 The day’s proceedings then continued with the annual Labour Day march through the streets of Hamilton, with the various Unions represented. 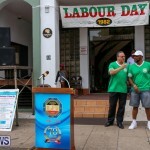 A day that is celebrated in many countries. 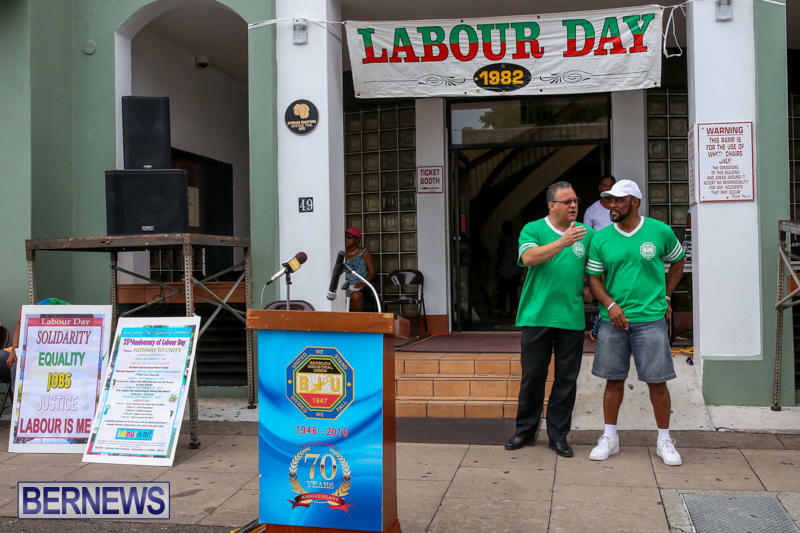 Do you have any words of wisdom on why ” Tweed” is still here after his work permit expired in July? 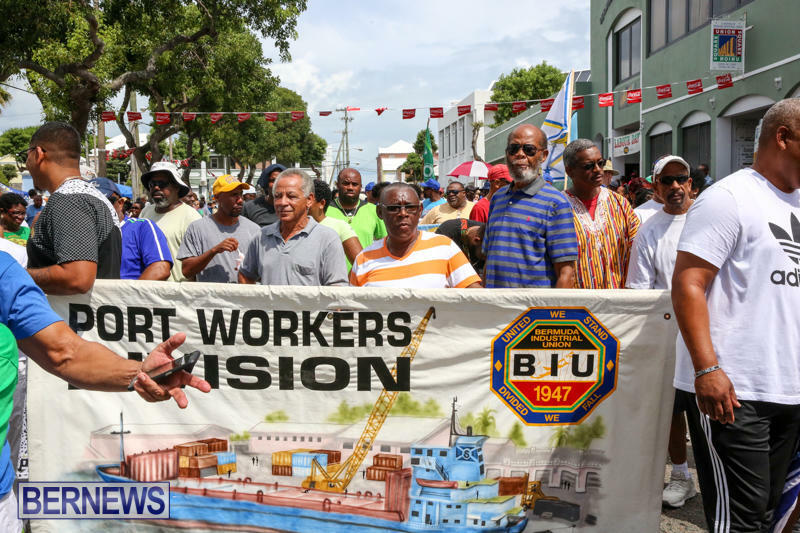 Is it now ok that ALL work permit holders can stay,as long as they like until they find a new job? 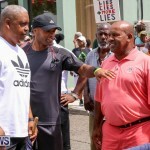 Not suprised to see de Trump supporters pressing dislike. 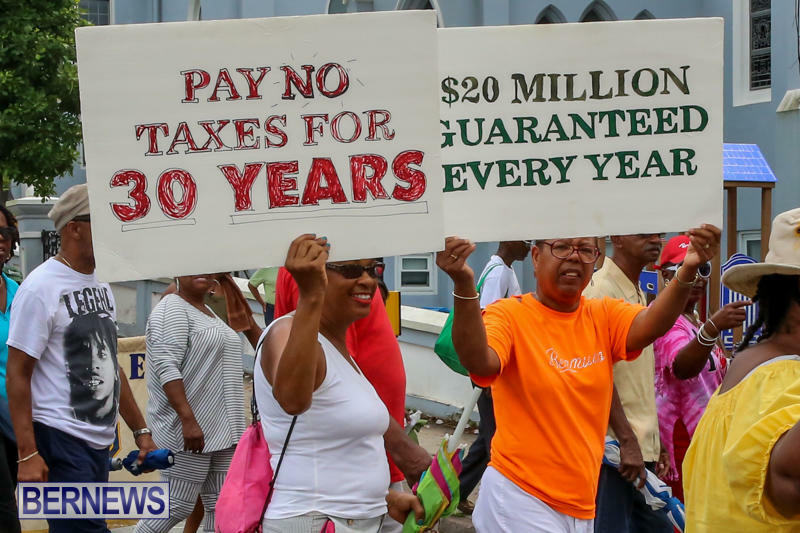 Our forefathers sacificed and we are benefitting, like your forefathers did their thing and you’re benefitting for generations. 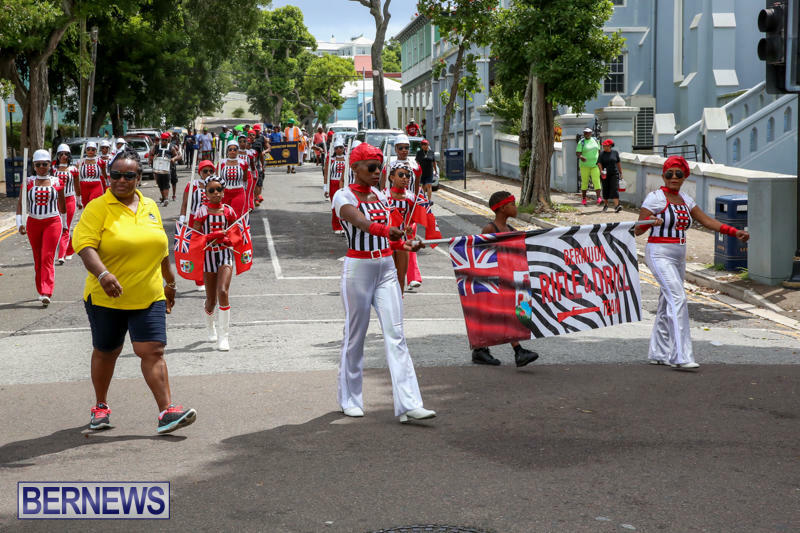 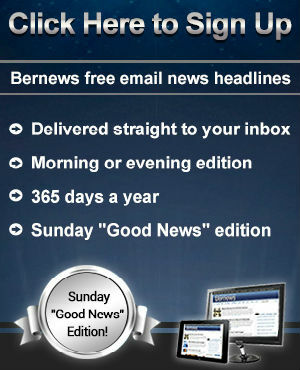 Very Sad that the color representing the cause of the biggest un-employment in Bermudian history was paraded in praise and harmony today ! 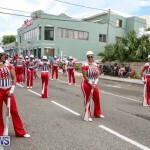 A day that is celebrated in many countries as a show of freedom and prosperity. 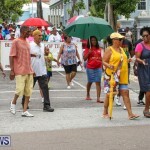 Sparse crowds, can’t blame a few drops of rain. 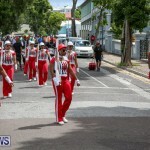 This is a parade that time forgot, it isn’t a patch on what it used to be. 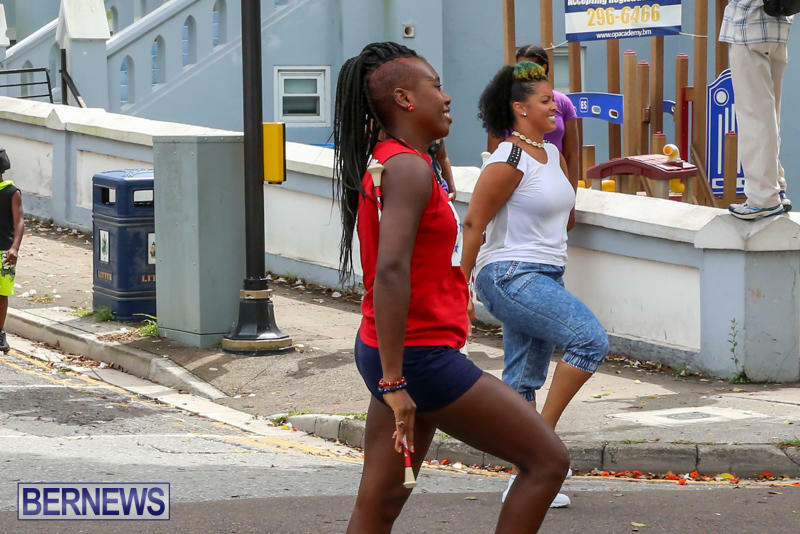 Most people are comfortable to know that they xan chill and get paid.